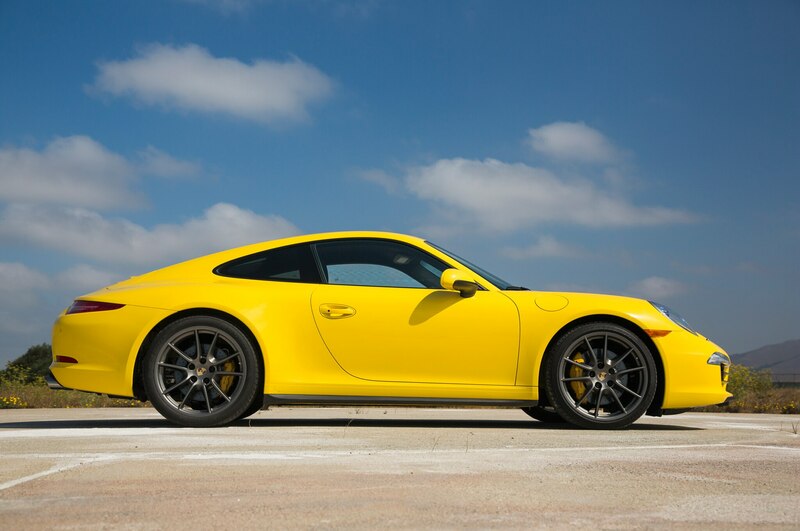 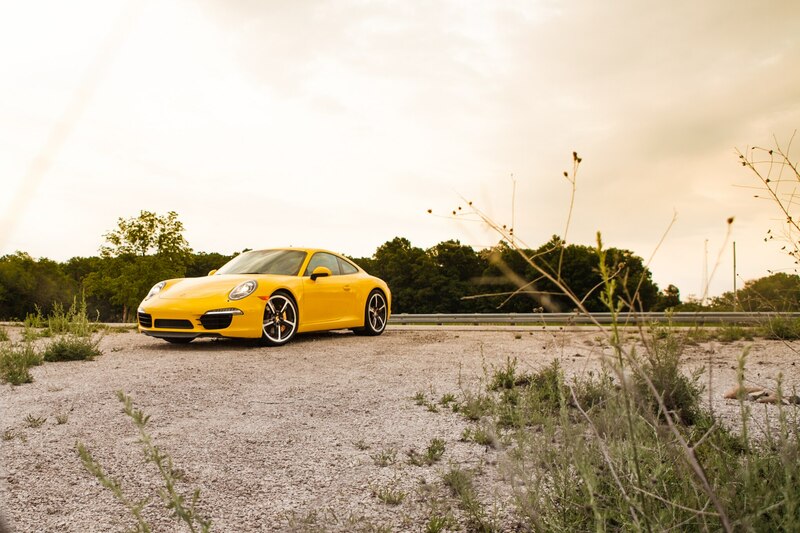 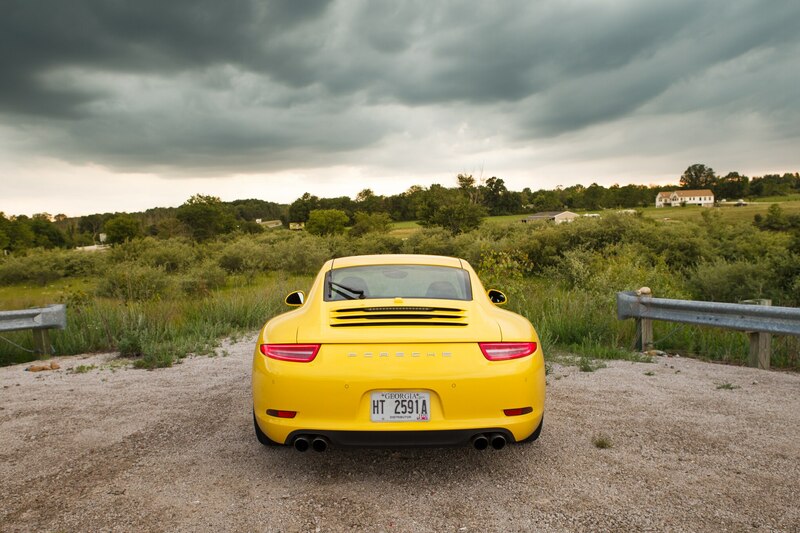 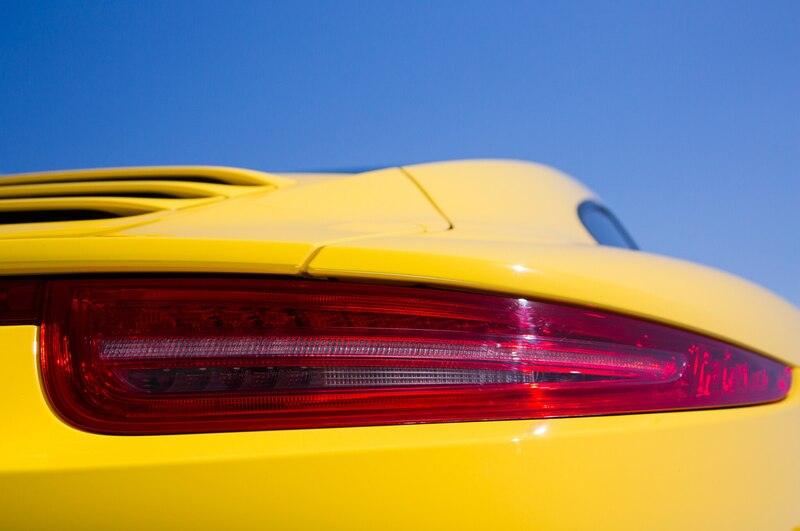 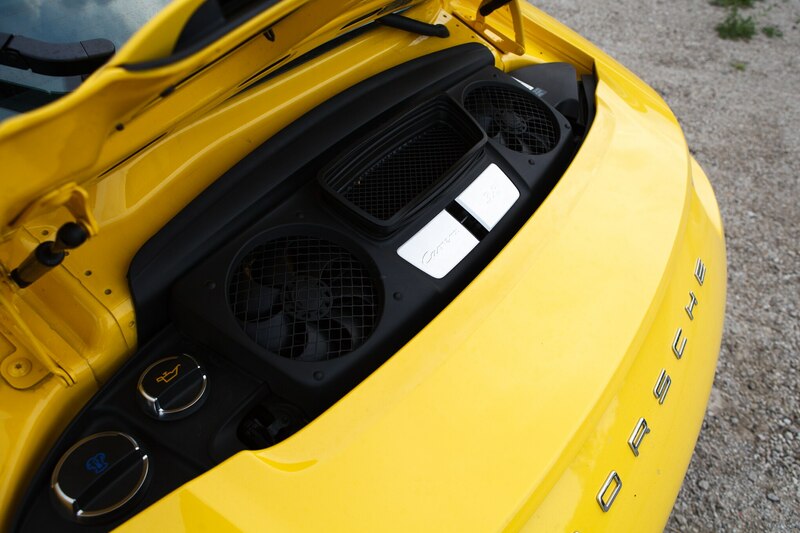 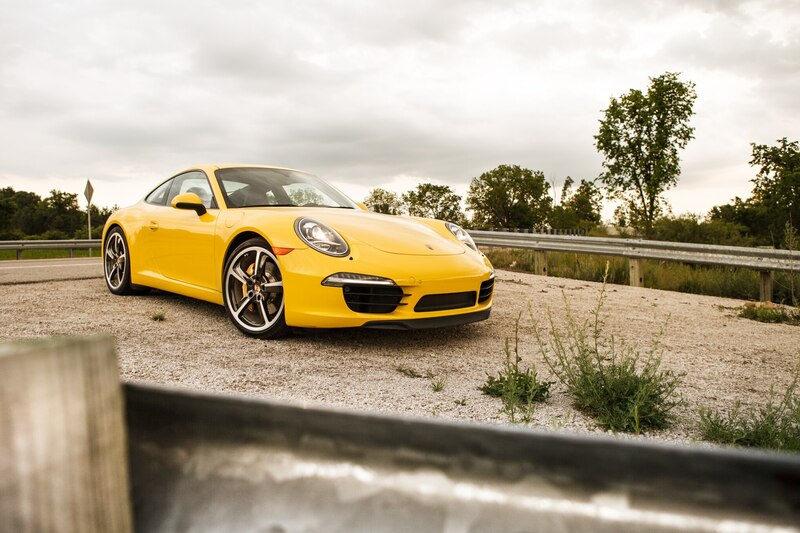 Few cars make as a statement quite like a bright yellow Porsche 911, especially when you push the button marked with an exhaust-tip graphic. 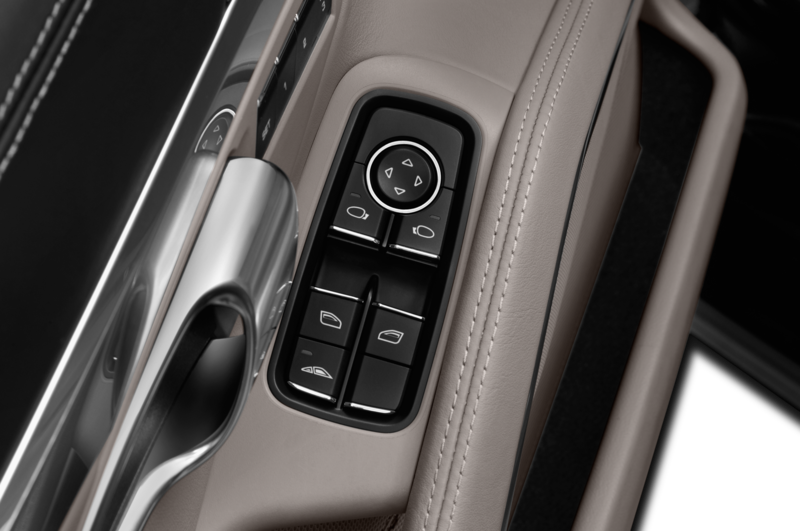 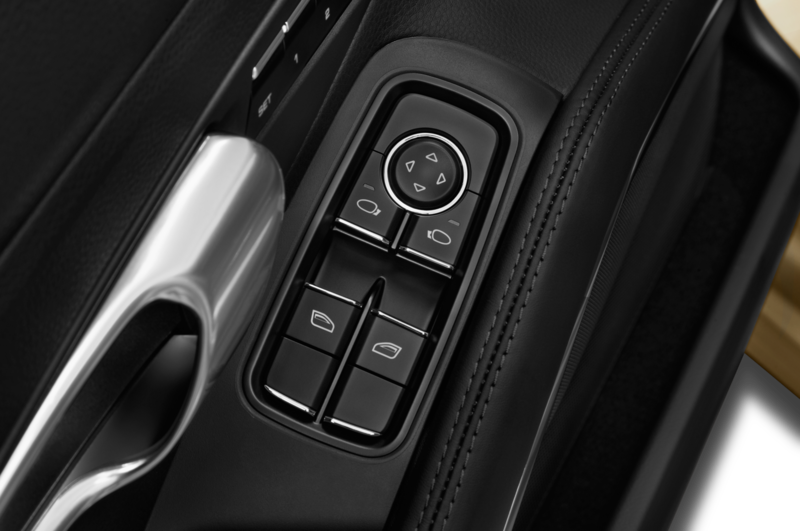 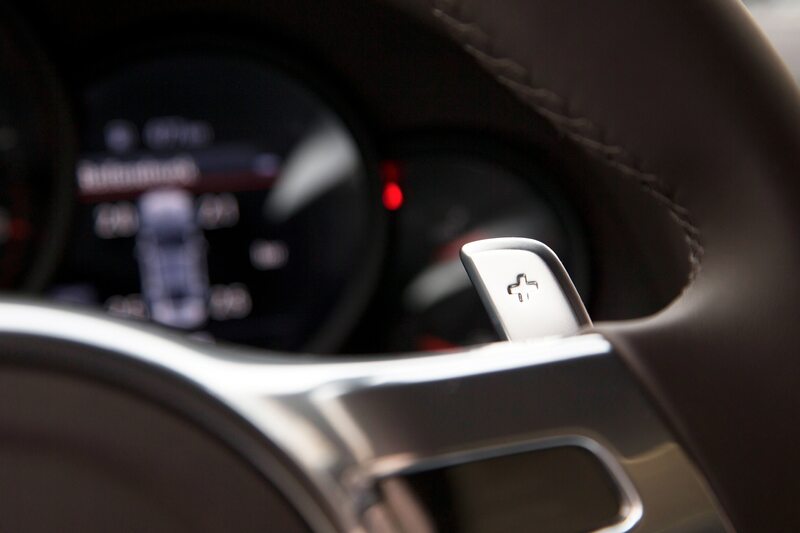 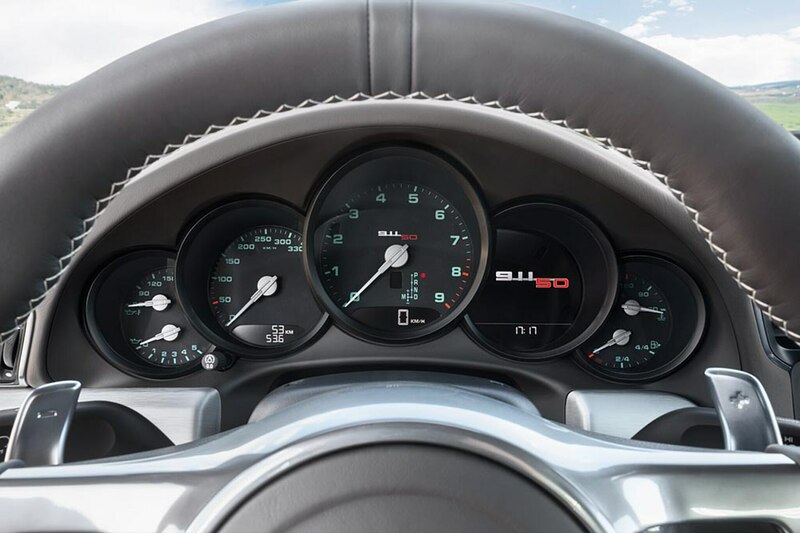 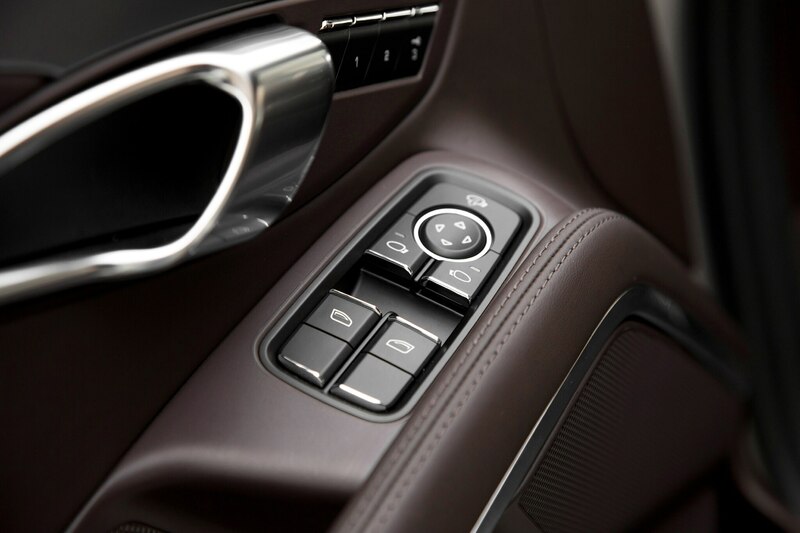 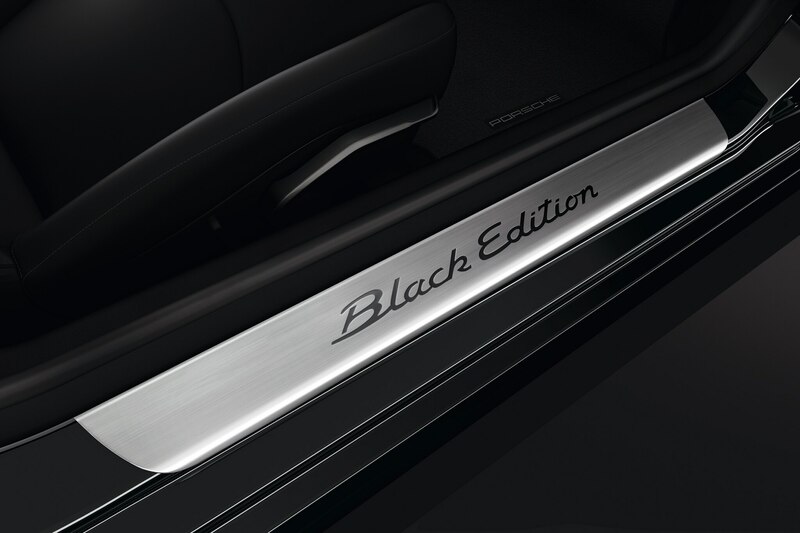 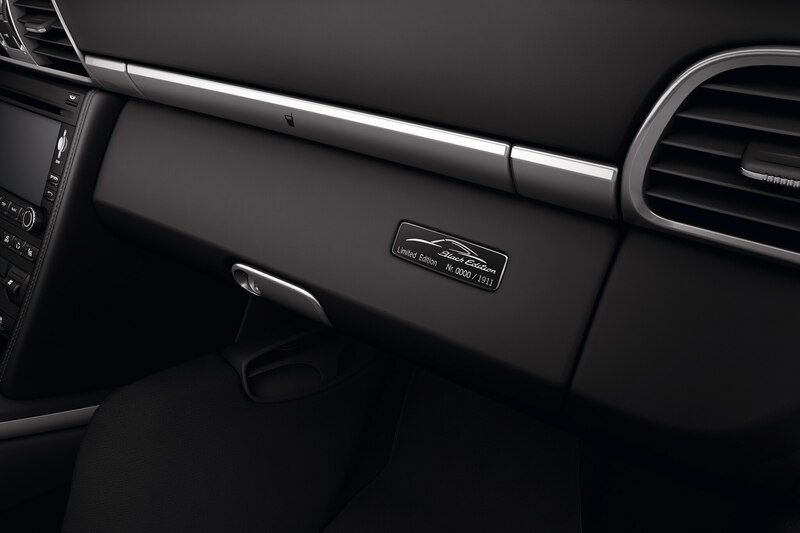 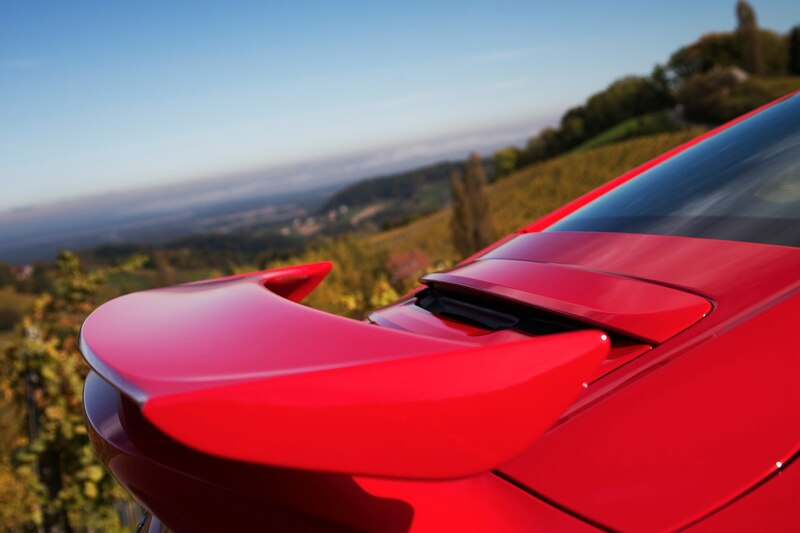 This switch makes the car even louder, and once you also engage the high-performance Sport Chrono mode, an already fast car turns into a real monster. 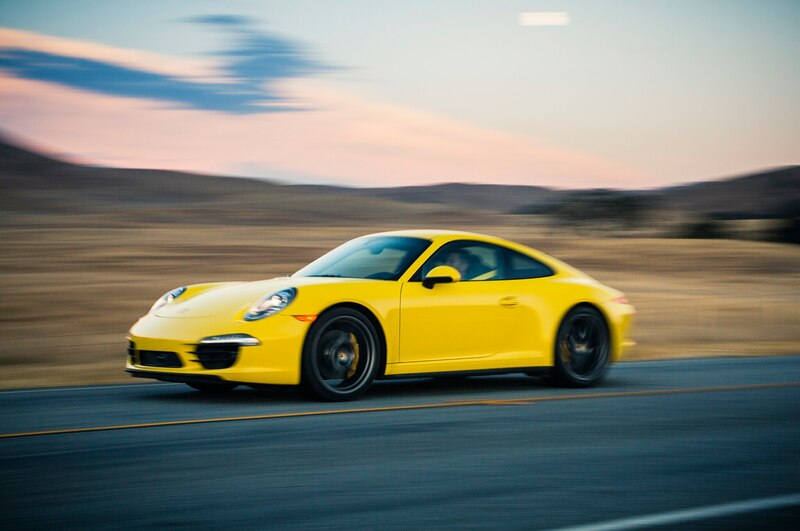 The combination of furious sound and the incessant tug of gravity during full-bore acceleration is absolutely addicting, as is the ease with which big speed can be achieved. 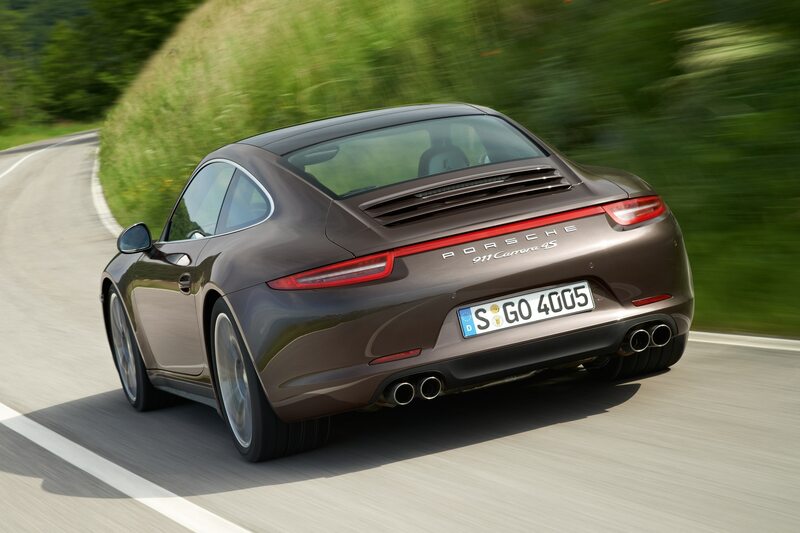 In fact, I wonder if the Porsche 911 is too fast for public roads. 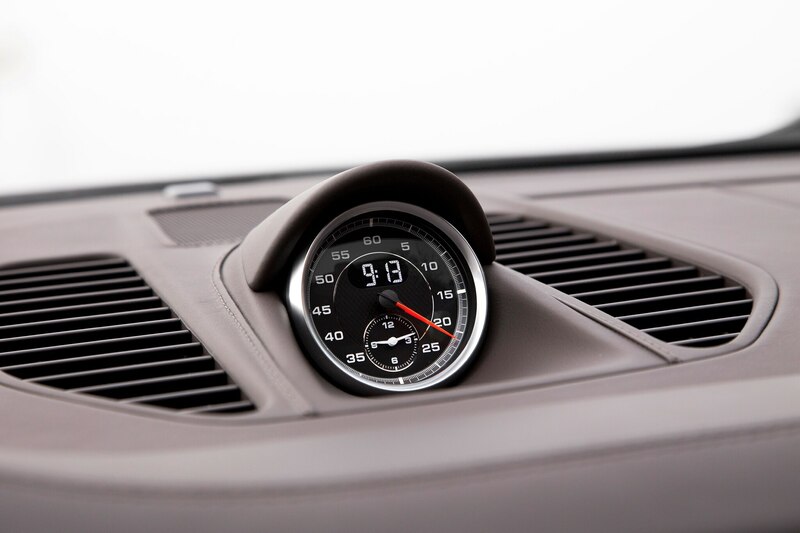 Several times I glanced at the speedometer only to realize – good grief! 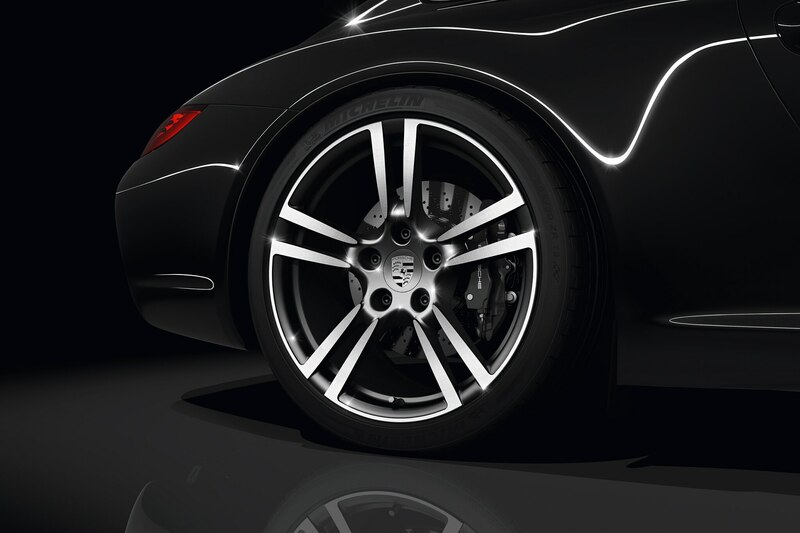 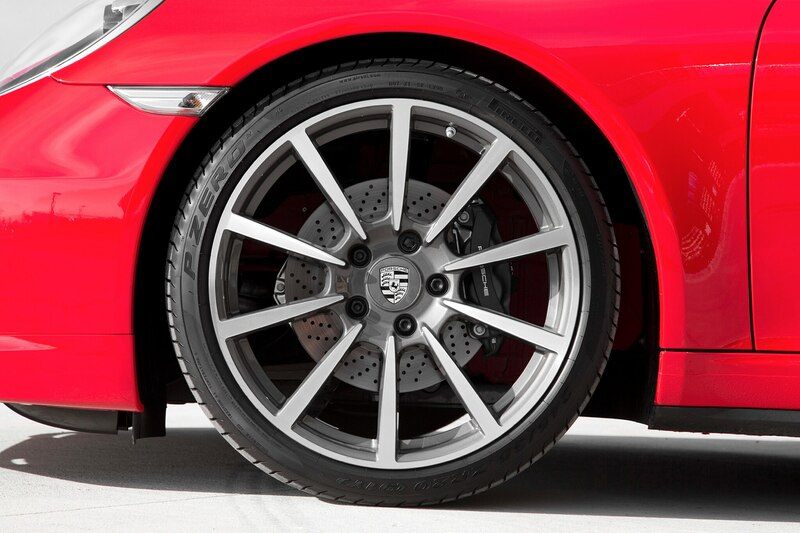 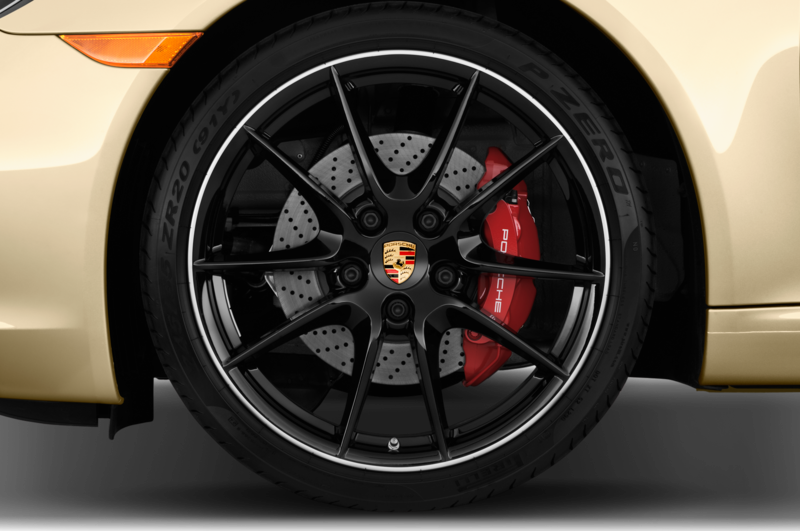 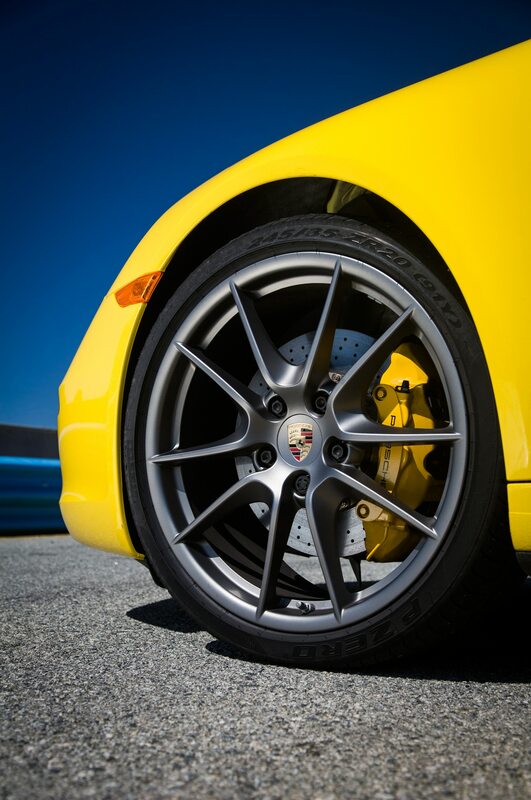 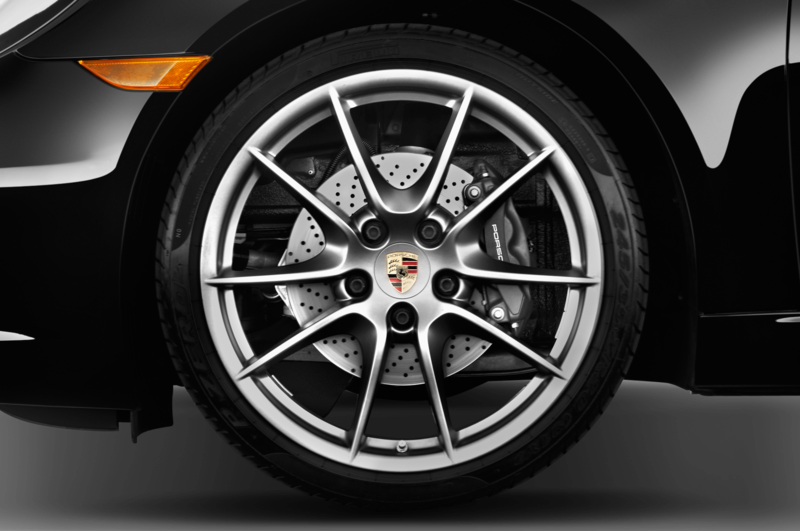 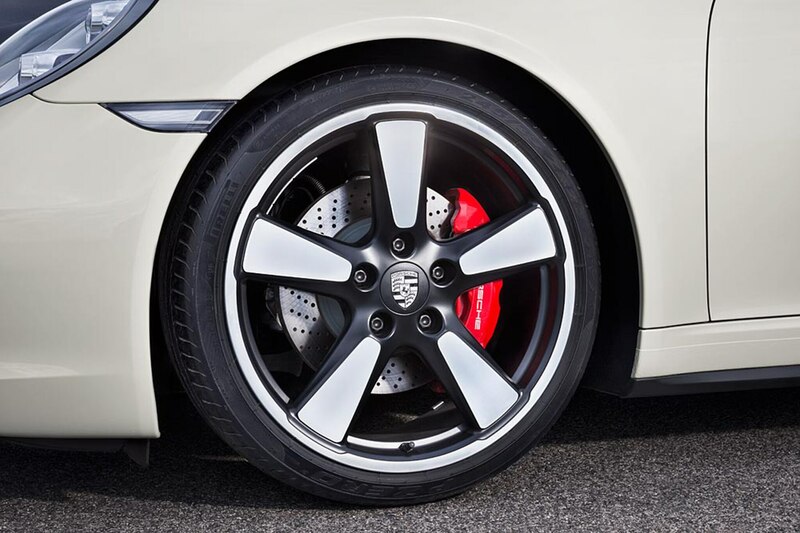 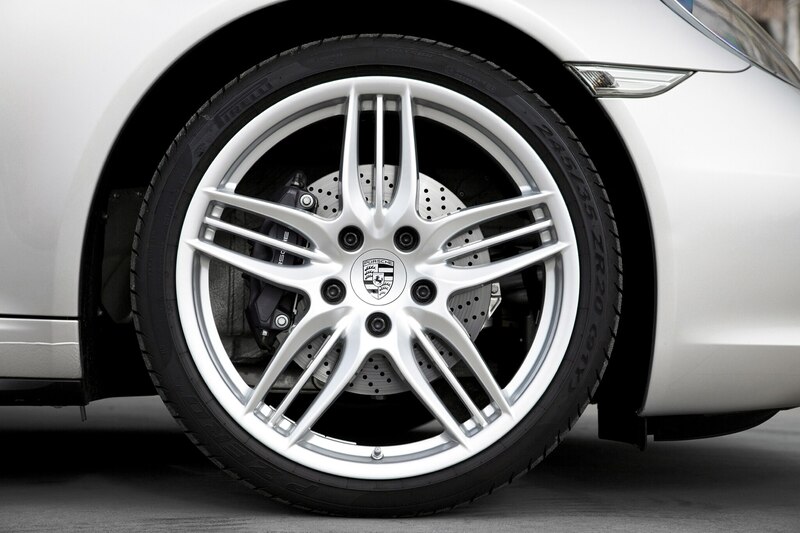 – I’d better stand on the carbon-ceramic brakes and seek a more prudent velocity. 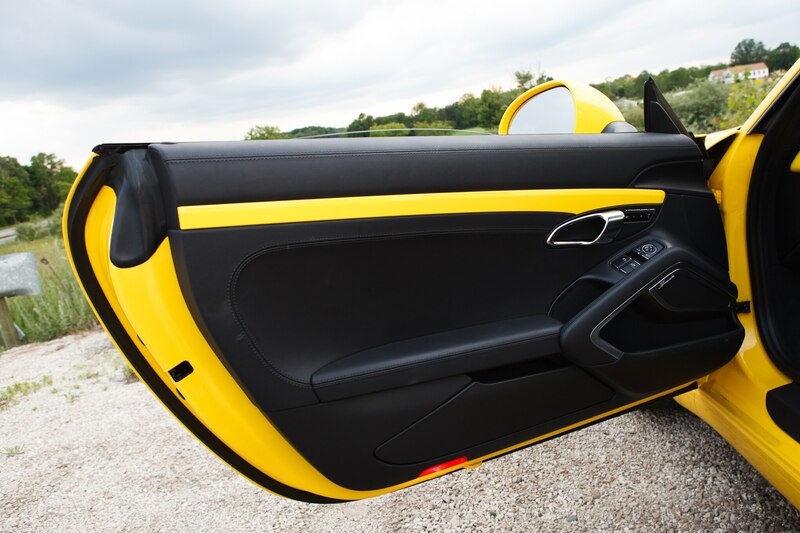 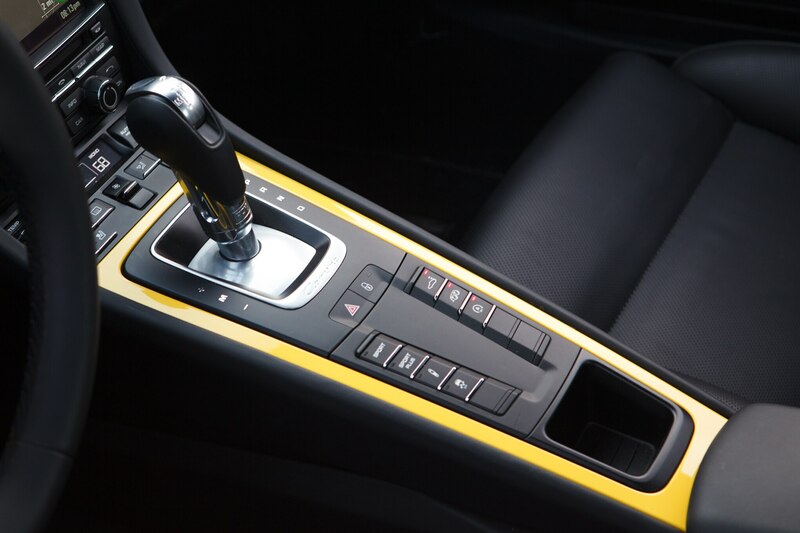 There’s far too much yellow on and in this car for my liking. 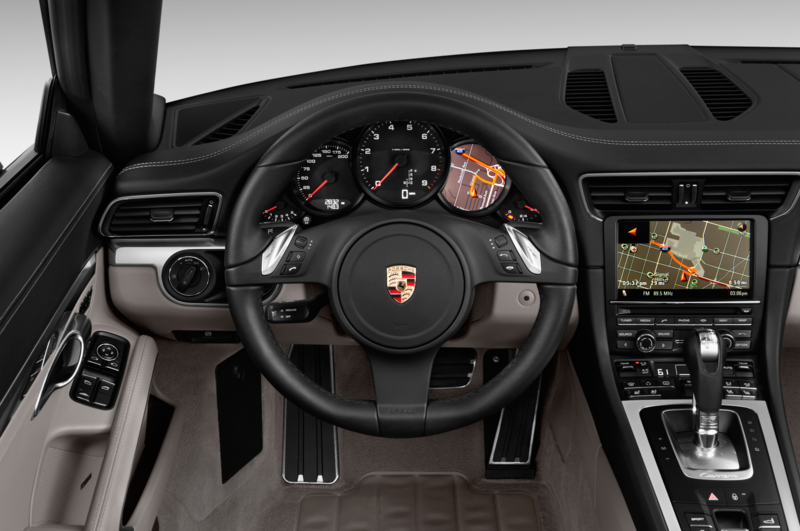 Still, I love the driving experience, even though there’s no clutch pedal. 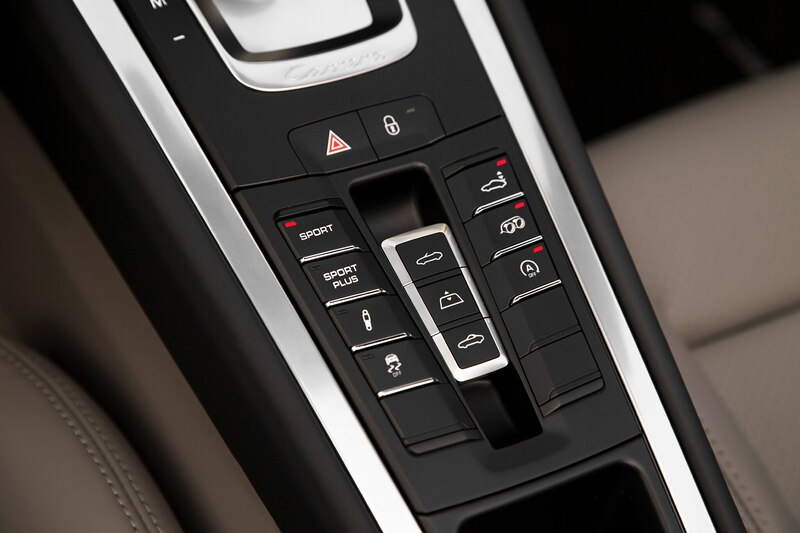 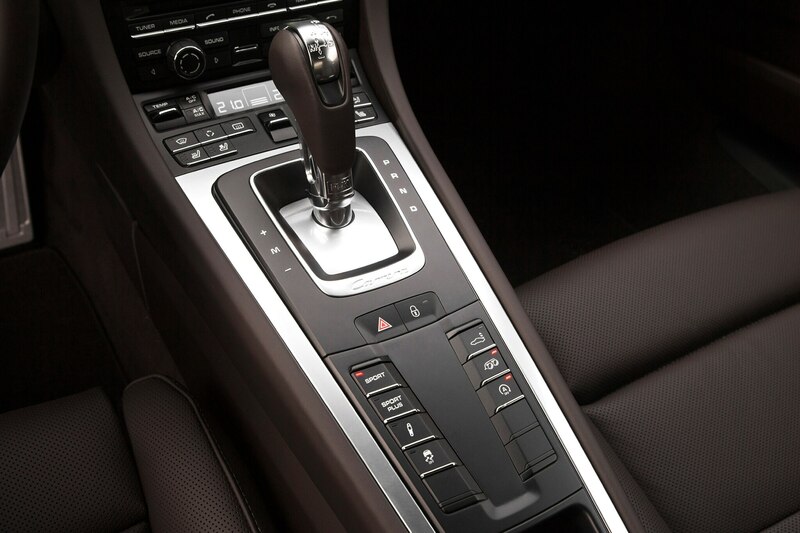 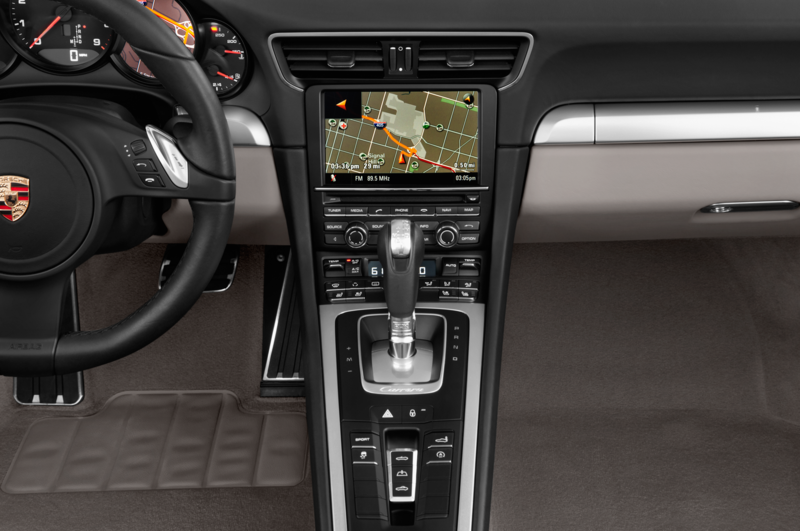 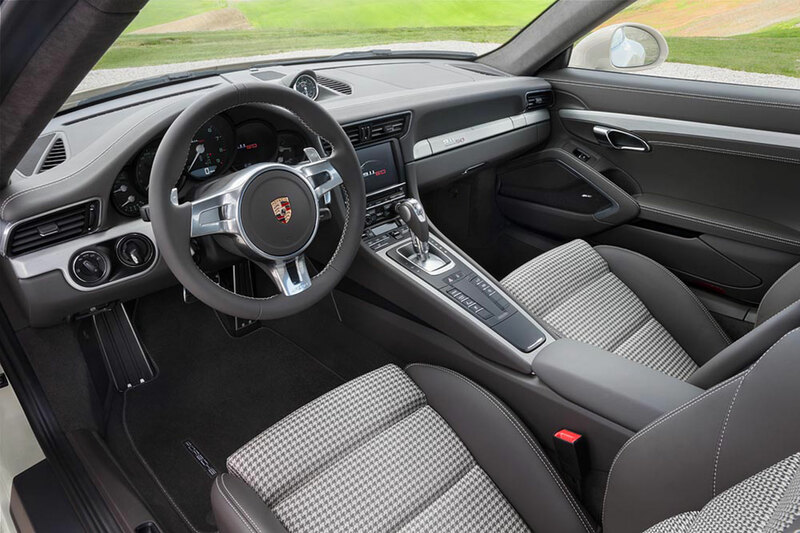 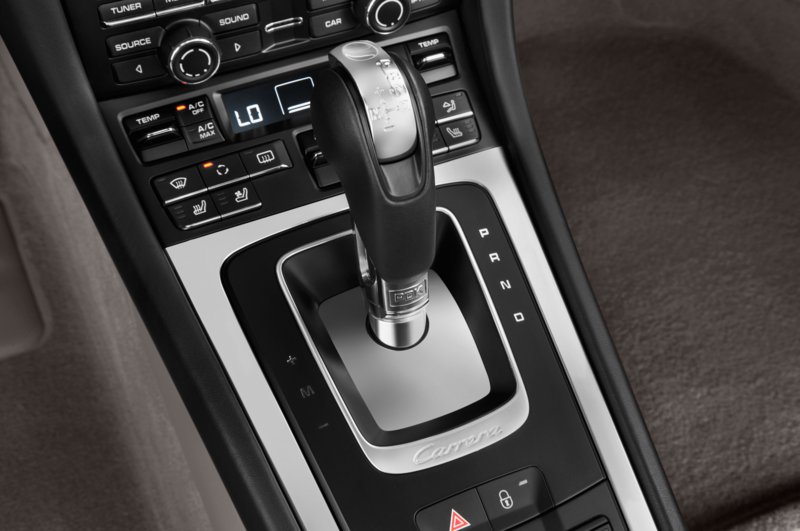 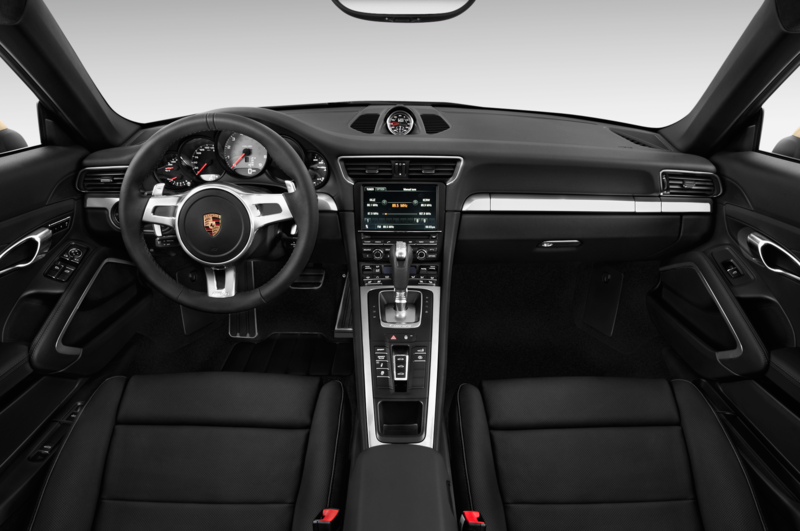 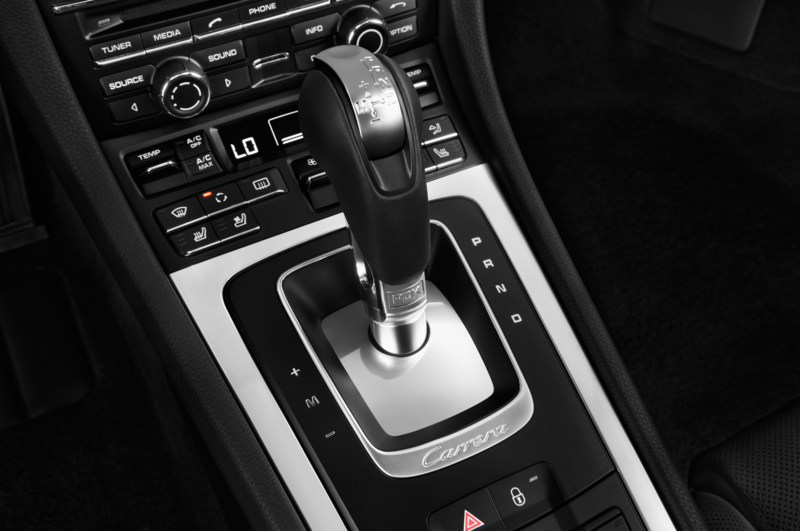 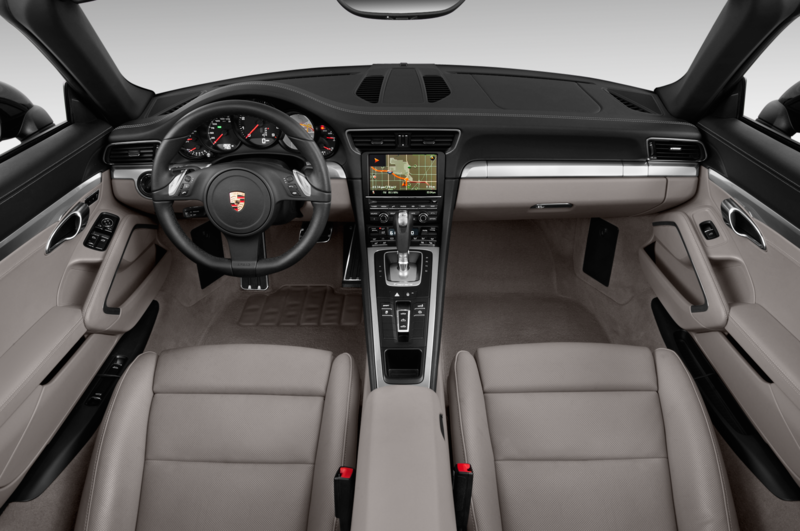 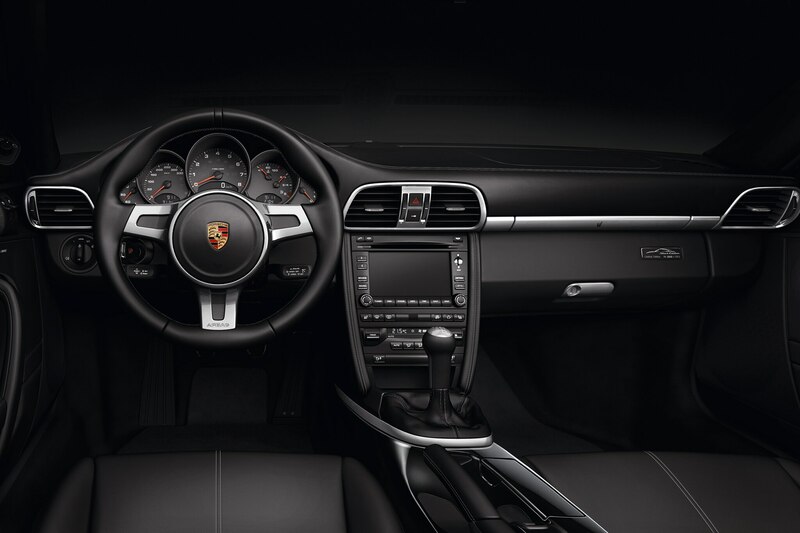 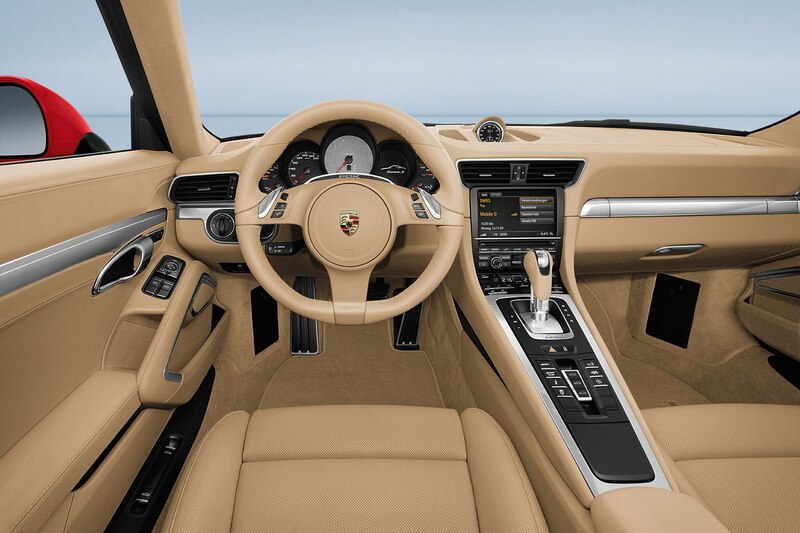 This automatic transmission is extremely good, but I can’t see myself ever wanting to order PDK in a Porsche, unless my left leg no longer functioned or my life depended on setting consistently quick lap times. 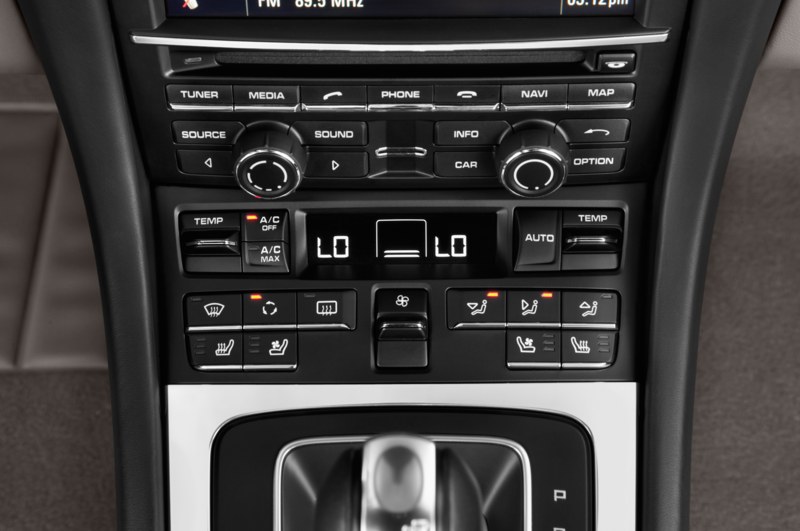 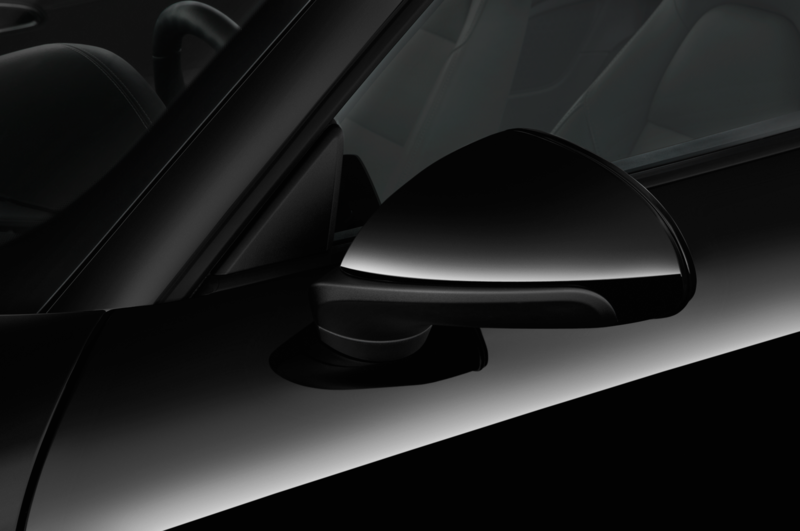 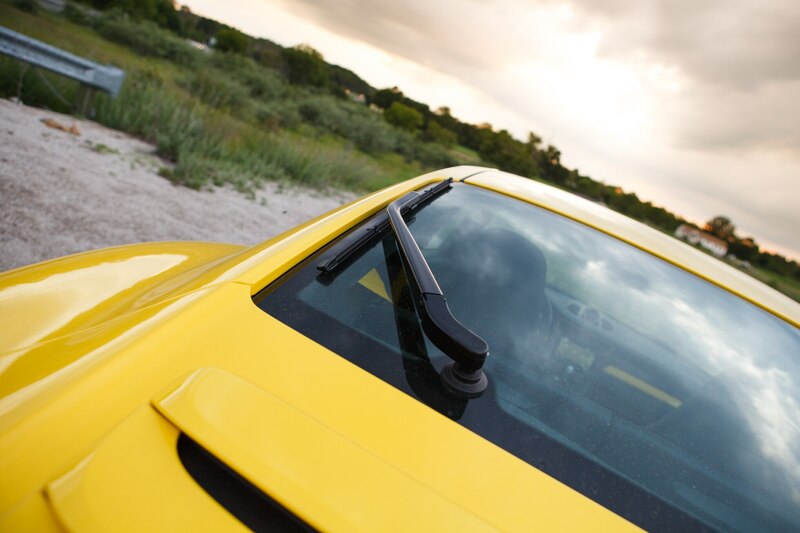 I hit the wipers once or twice when I did try to paddle an upshift, but at least this car doesn’t have the dumb shift buttons that come as the stock complement to the PDK, which remind you even more insistently that you’re driving a car with an automatic transmission. 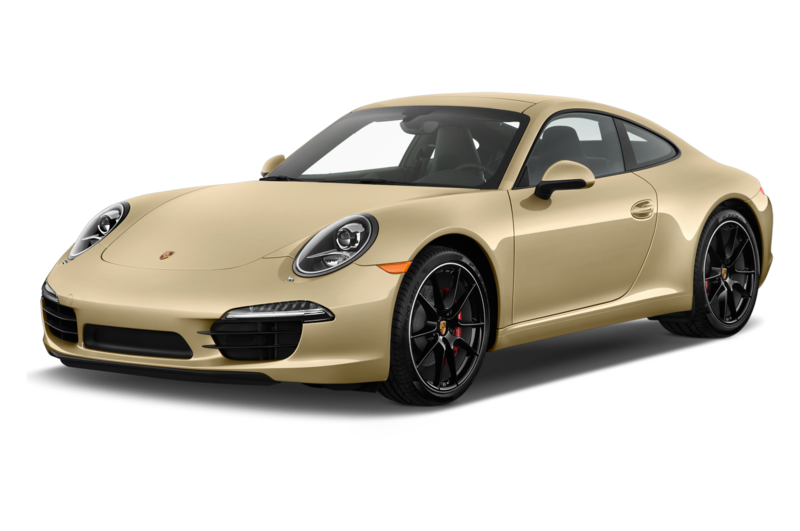 This is Porsche number two that I’ve driven in as many months that has had roughly $50K worth of options. 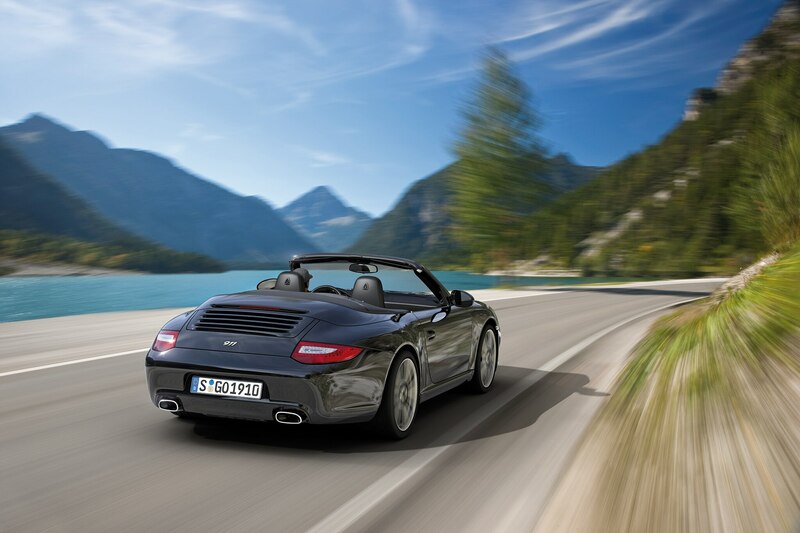 A nice life, huh? 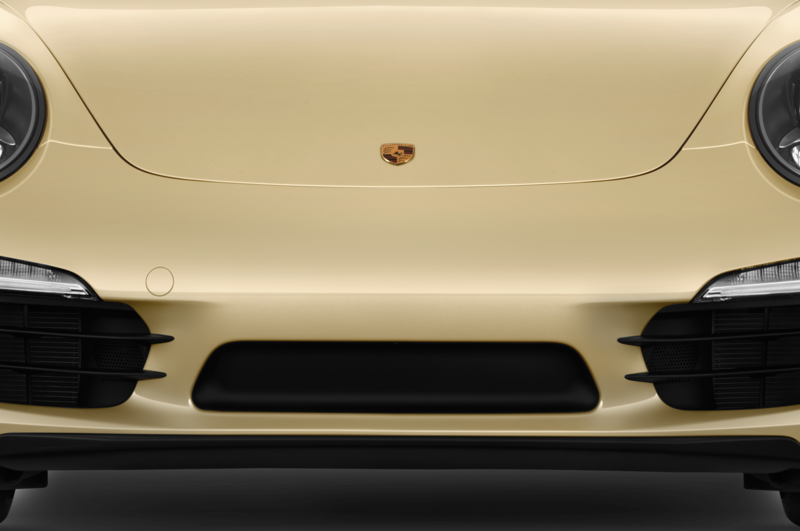 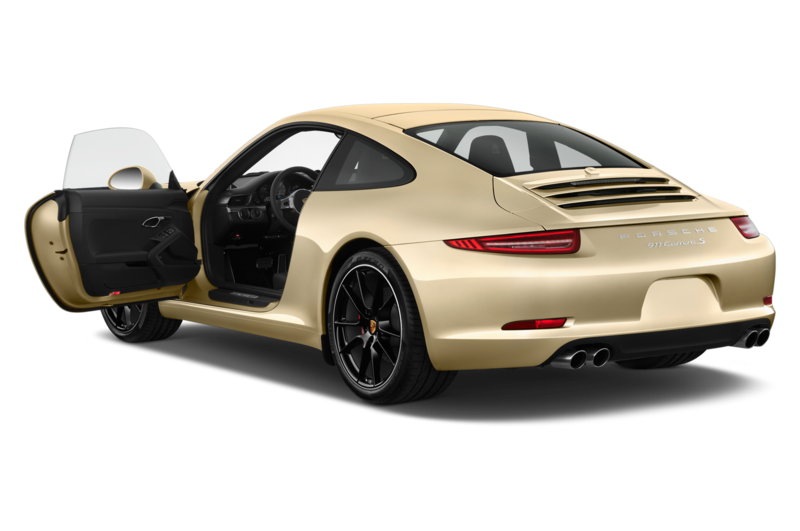 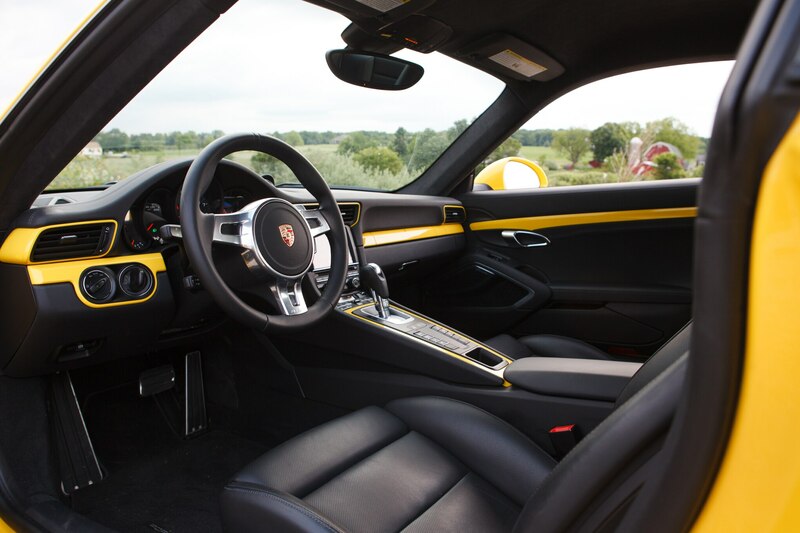 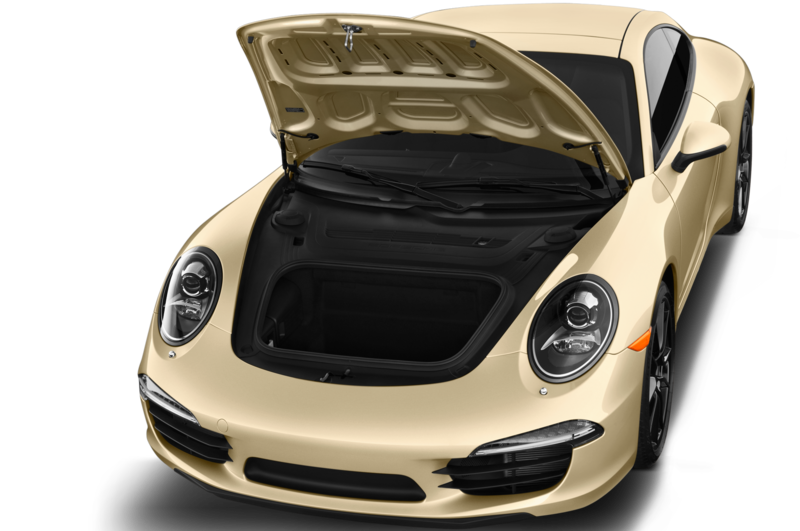 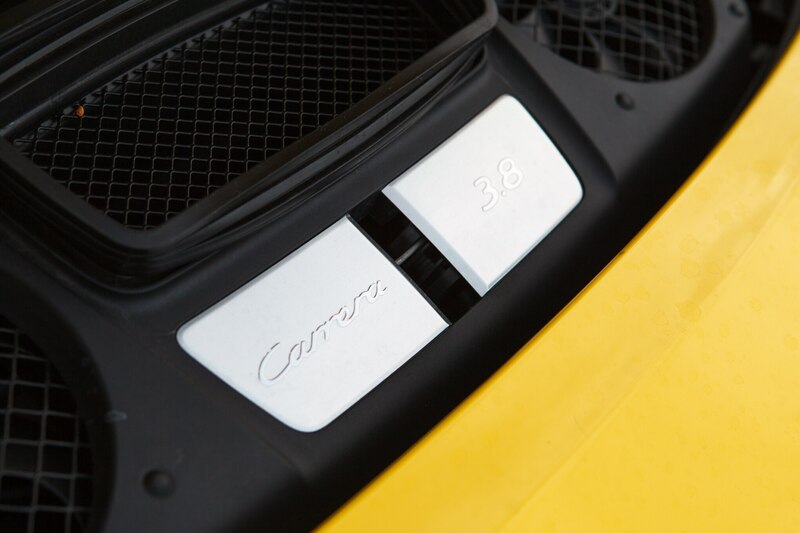 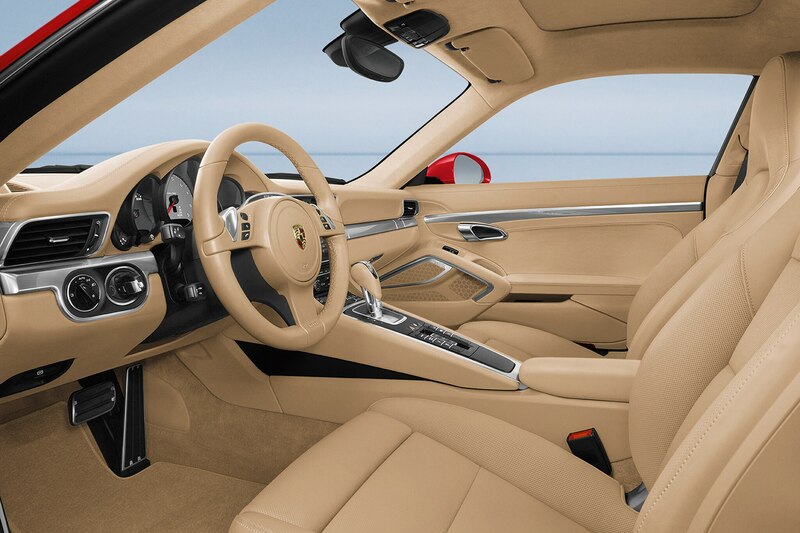 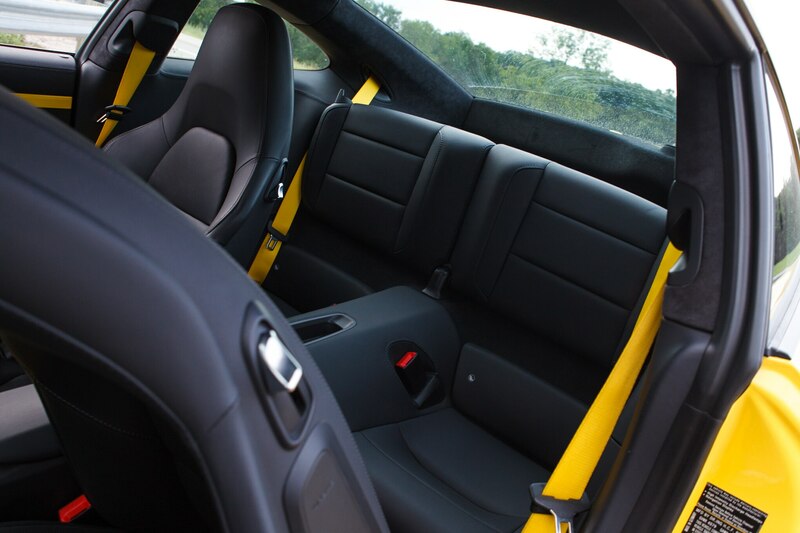 But where the $137,000, carmine-red Cayenne GTS looked tastefully flashy, this $144,350, racing-yellow 911 Carrera S and its matching racing yellow seatbelts and color-keyed accents on the dash and console strikes me as a little overdone in the cosmetics department. 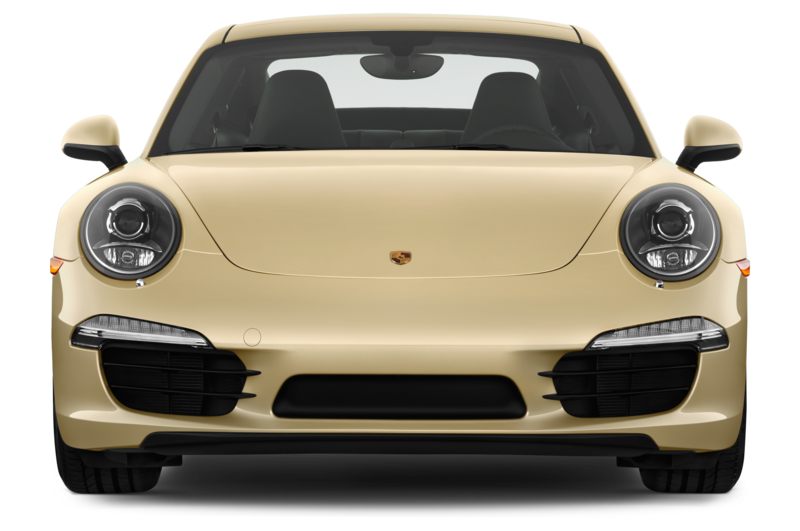 A Porsche 911 already stands out (in Detroit anyway), and it’s even more conspicuous when it’s covered in a retina-searing paint that can be seen a mile away. 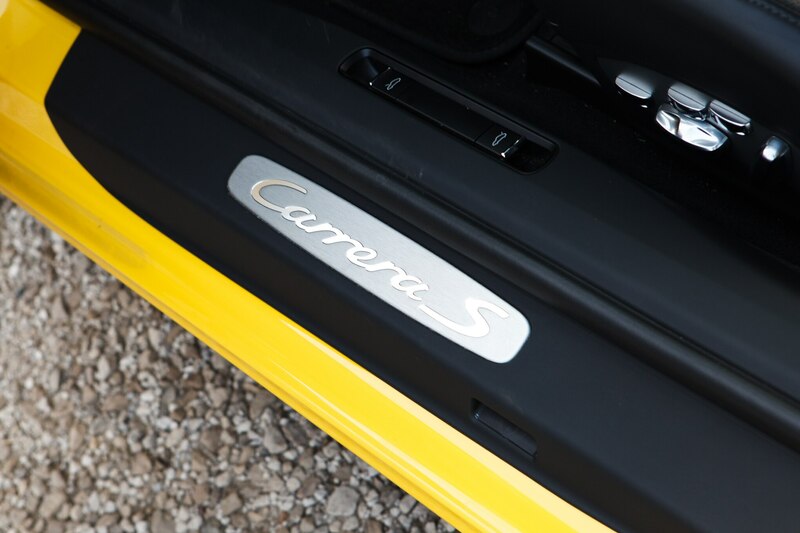 Well, it’s a press fleet special meant to impress the uninitiated, so I understand. 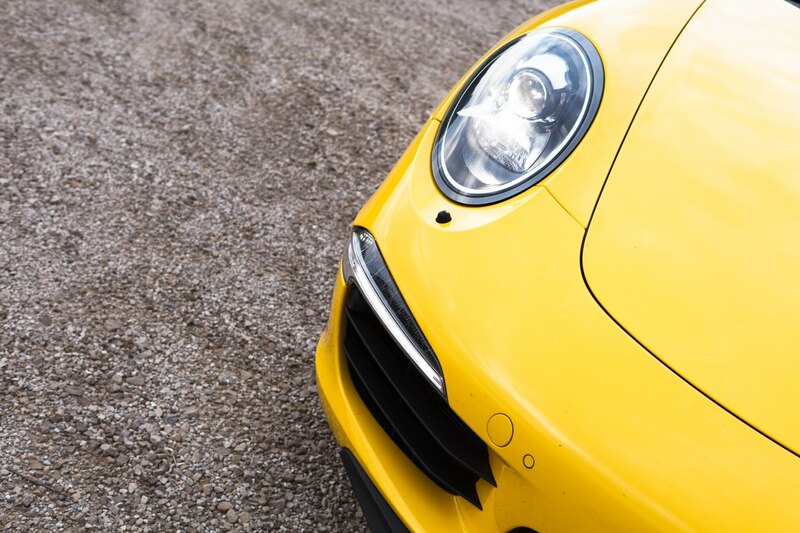 Fortunately, the bright paint has no negative effect on performance. 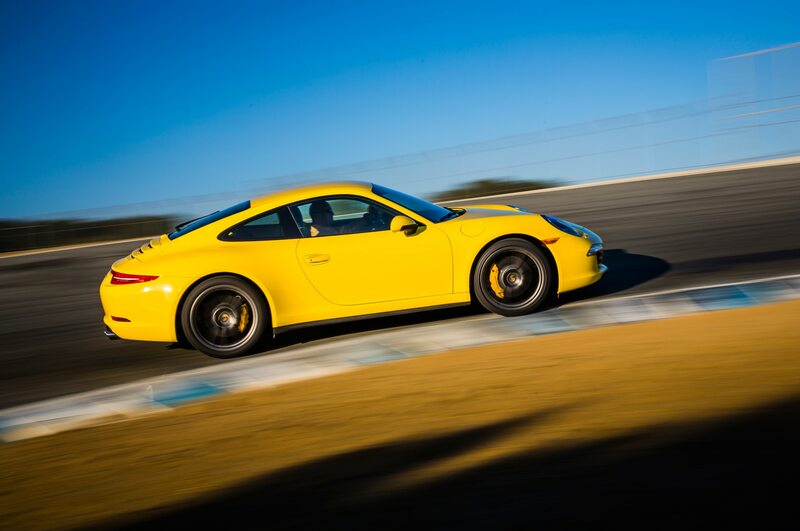 Braking, handling, and steering are all beyond reproach, while the acceleration is astonishing. 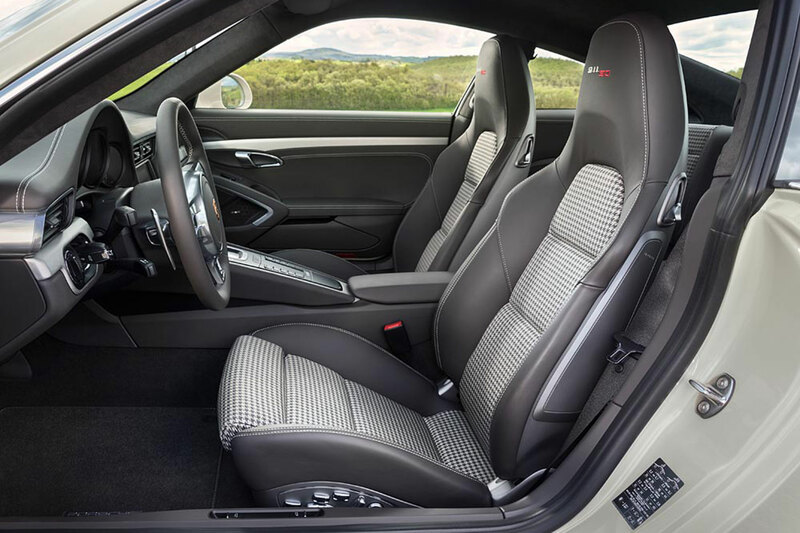 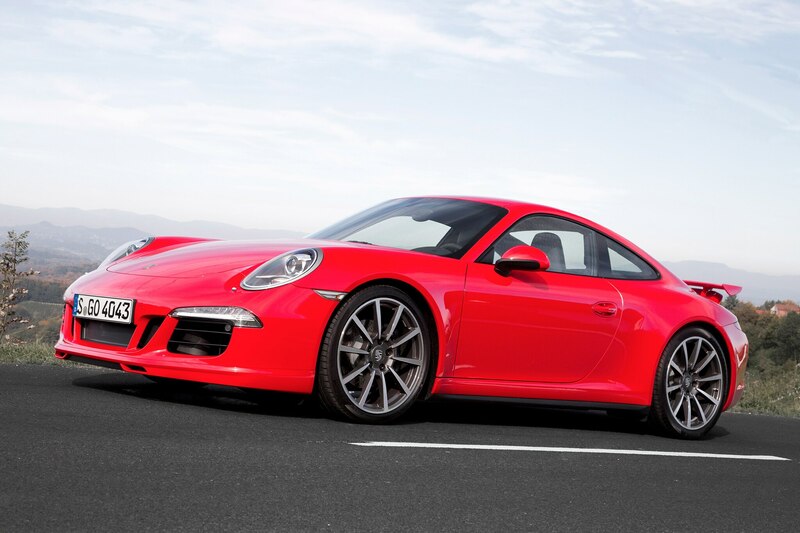 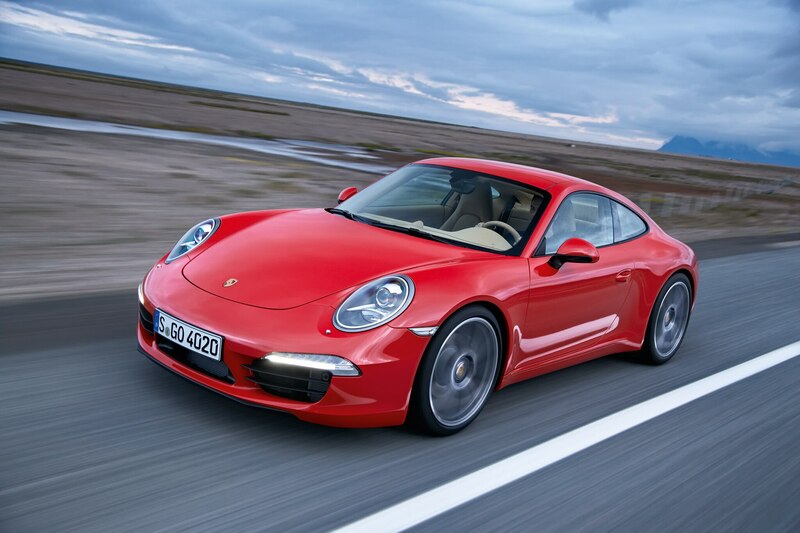 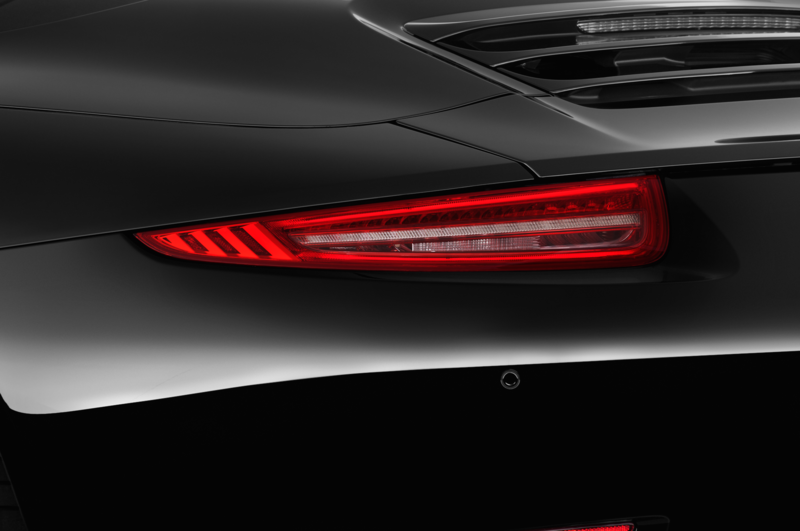 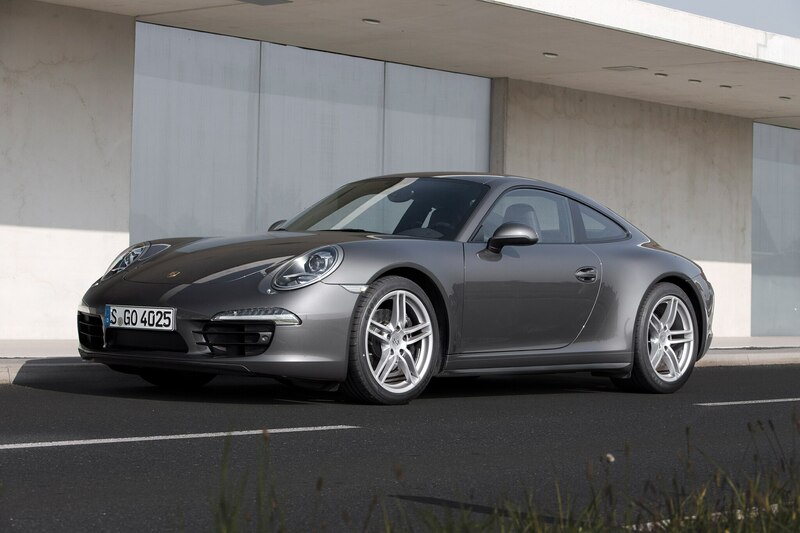 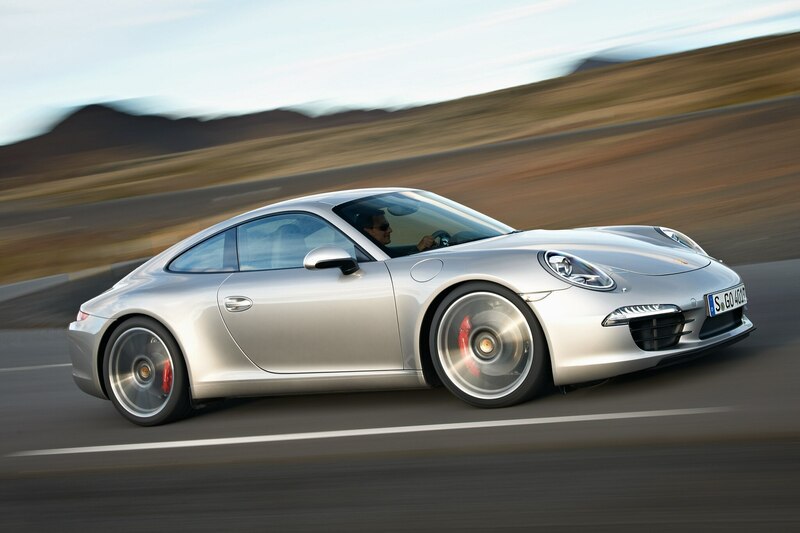 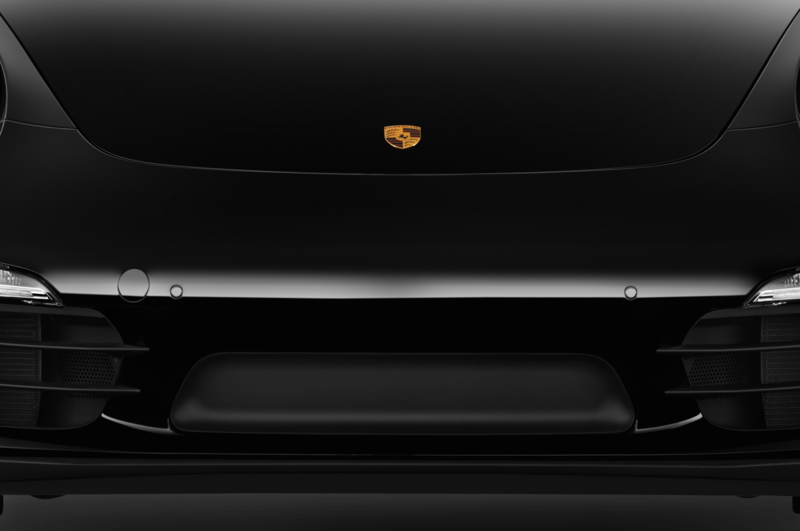 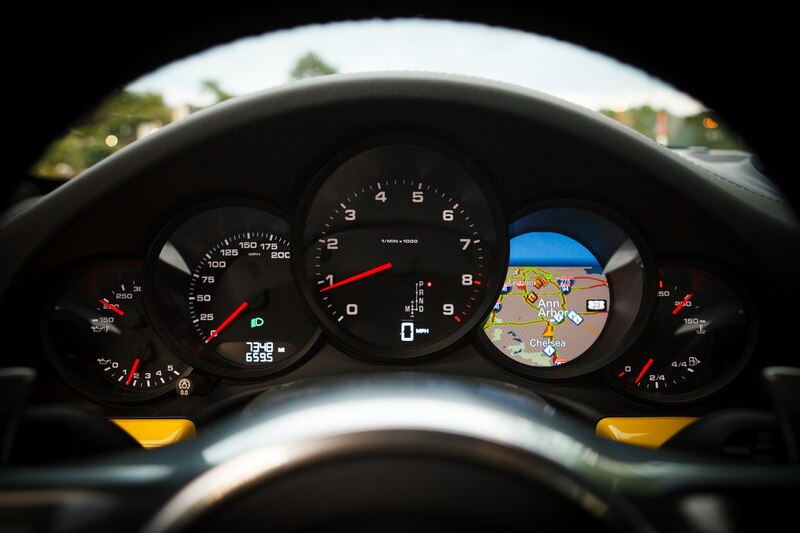 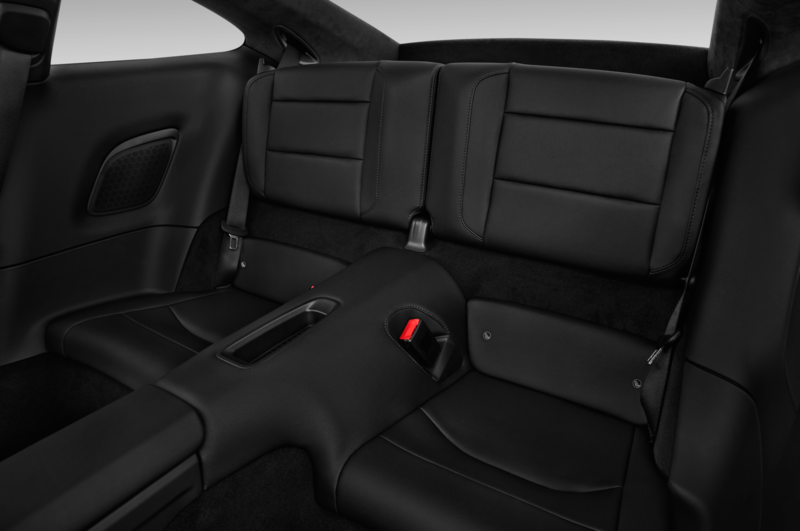 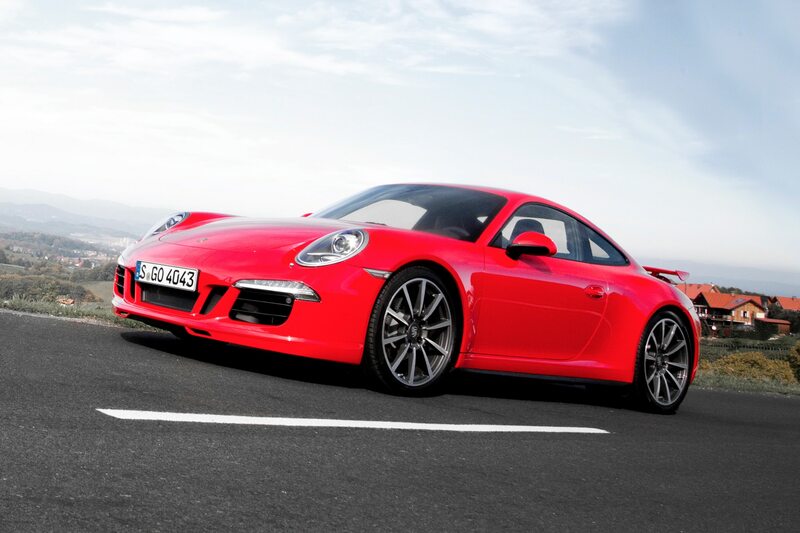 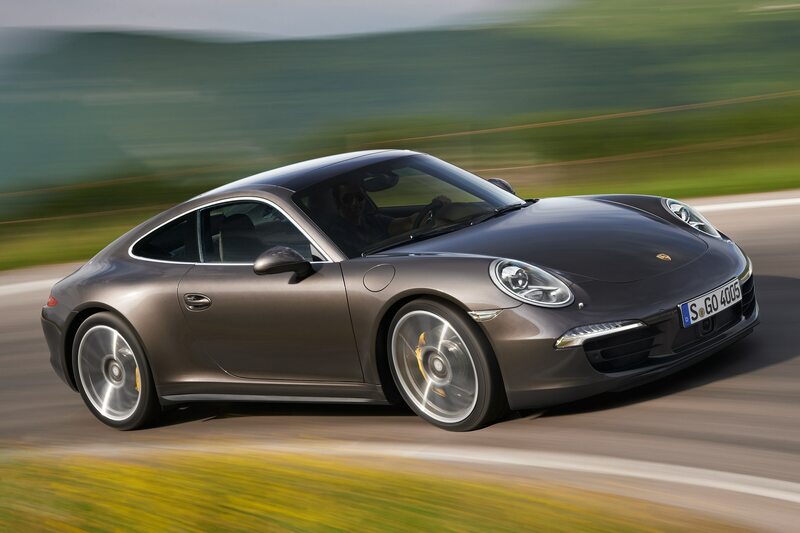 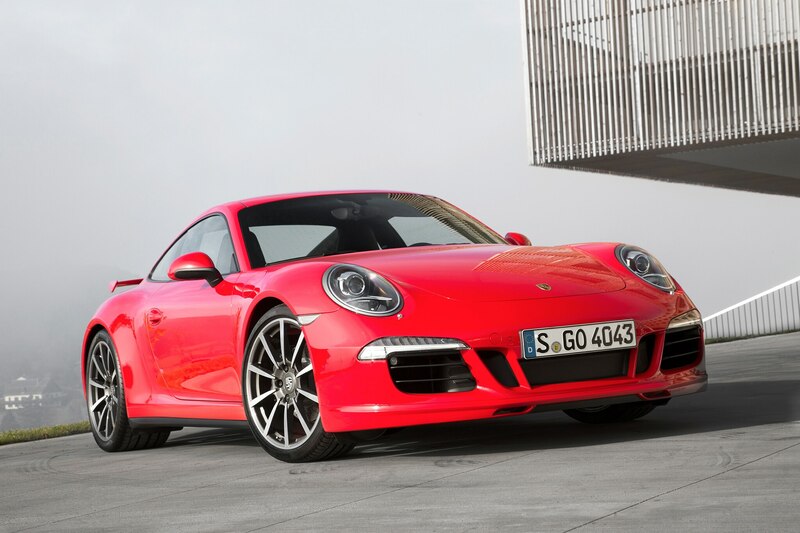 According to Porsche, this PDK-equipped 911 Carrera S will rocket from zero to 60 mph in 4.1 seconds. 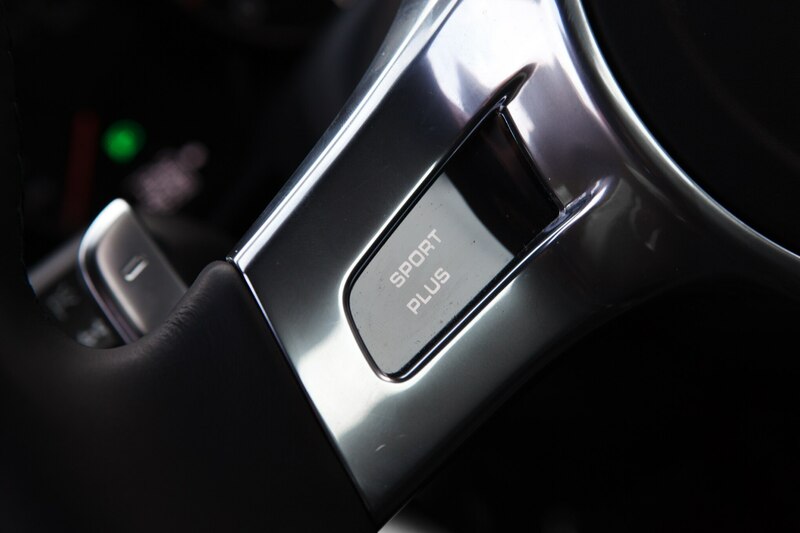 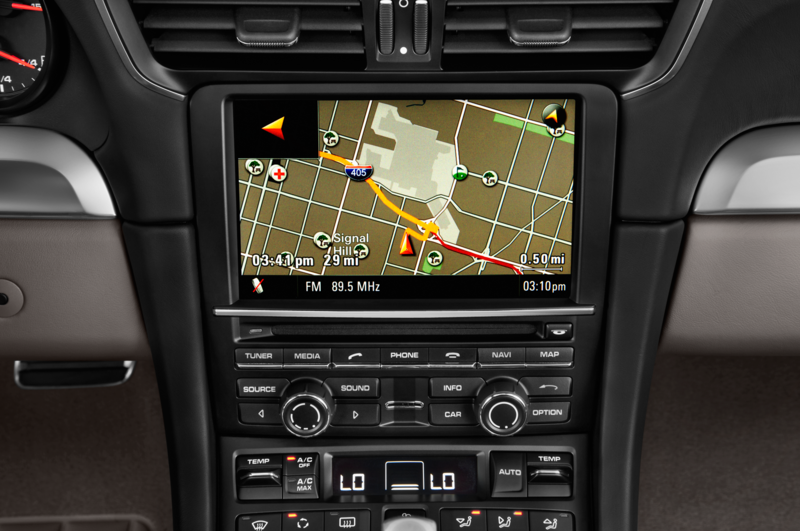 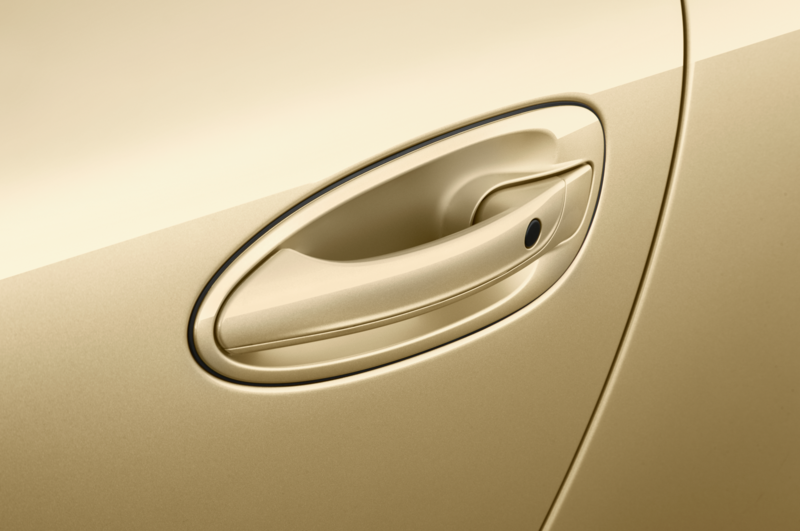 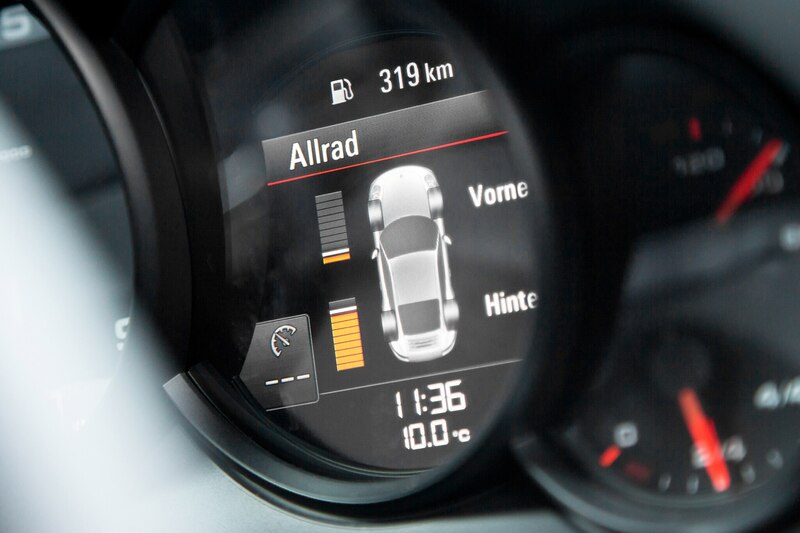 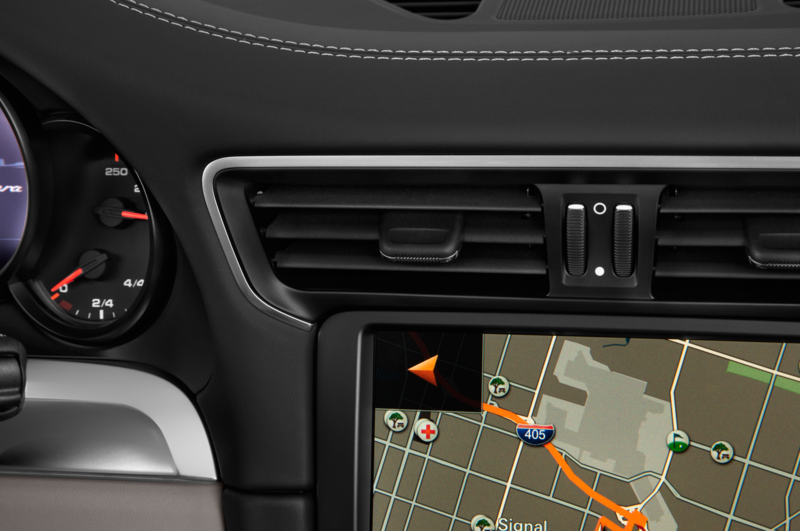 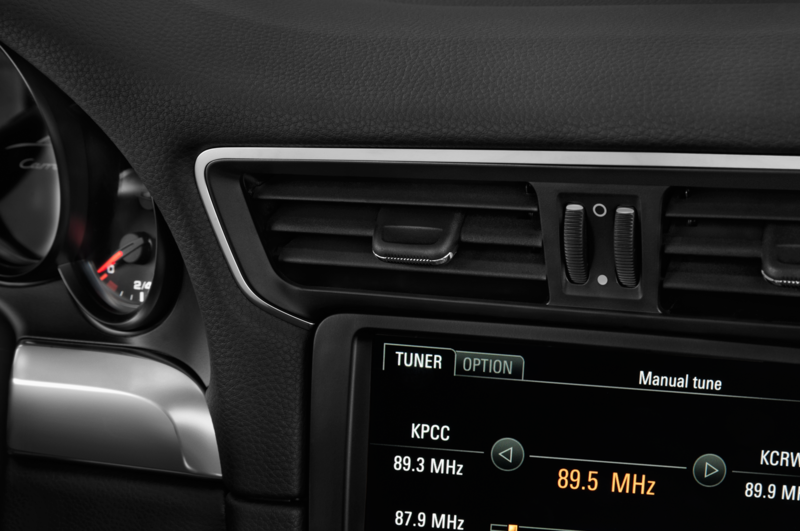 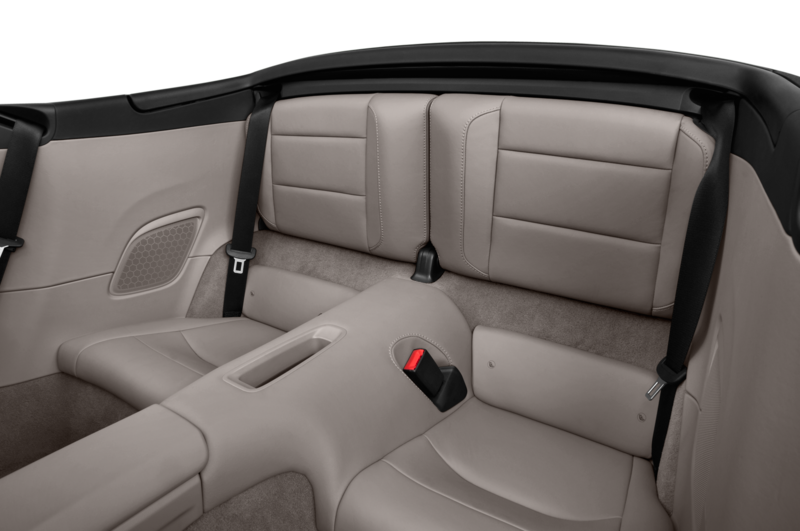 Hit the button for the Sport Plus mode and the time shrinks to 3.9 seconds. 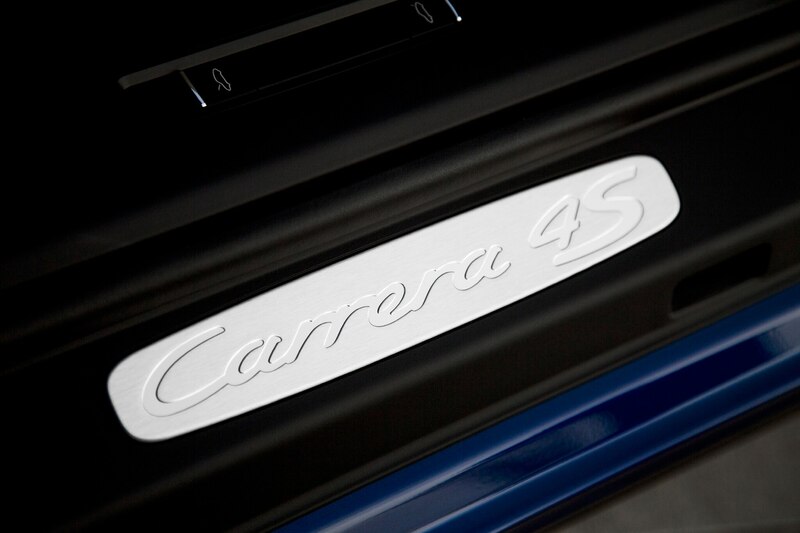 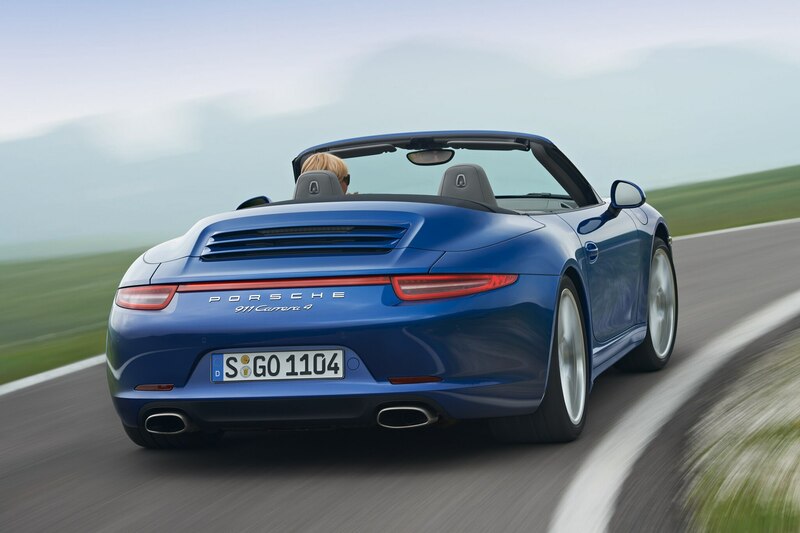 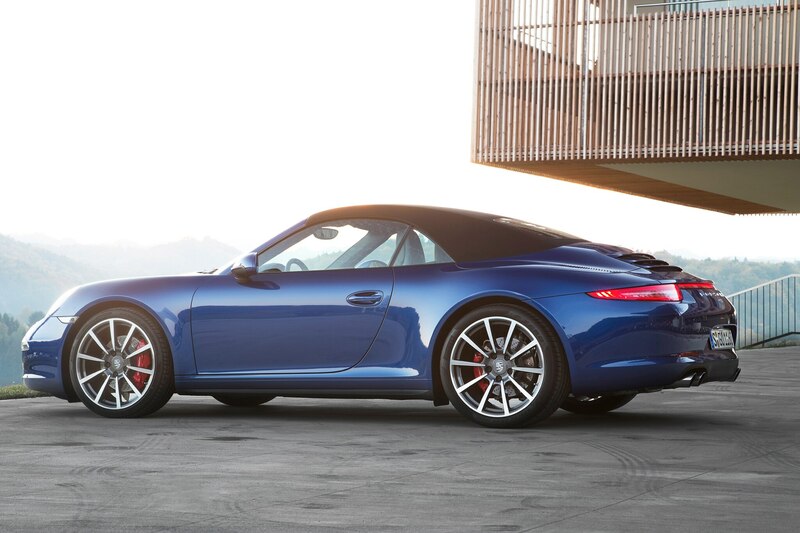 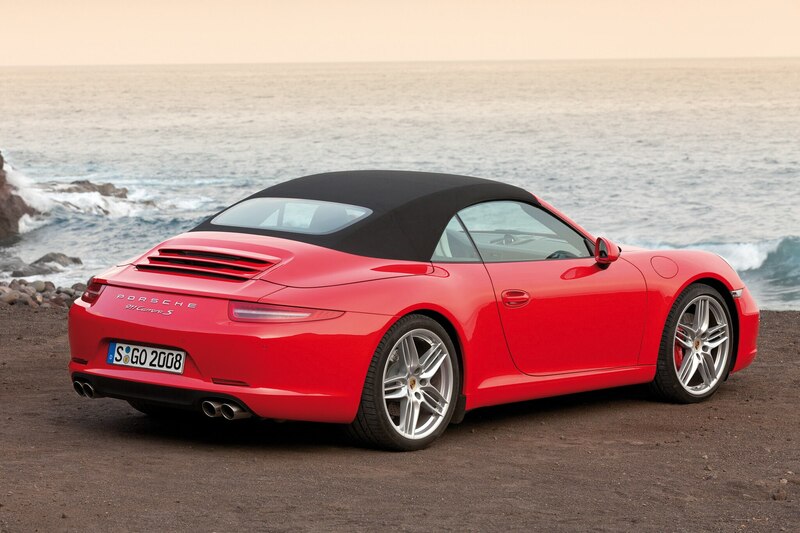 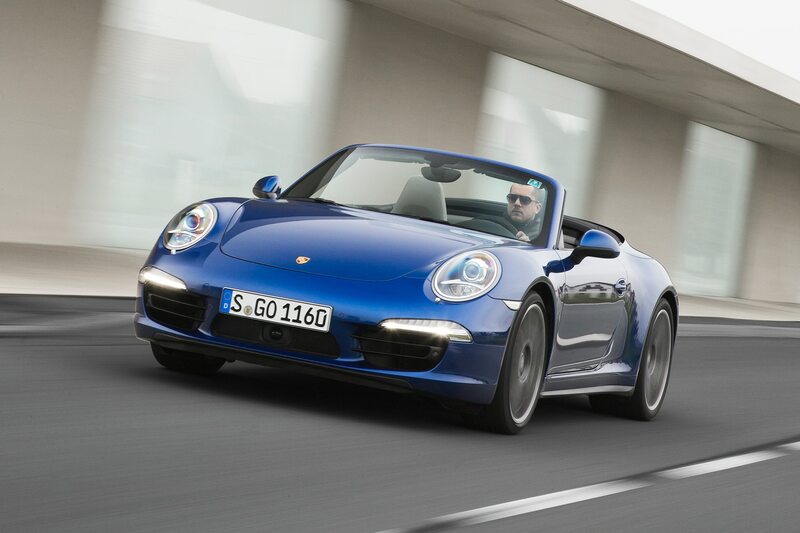 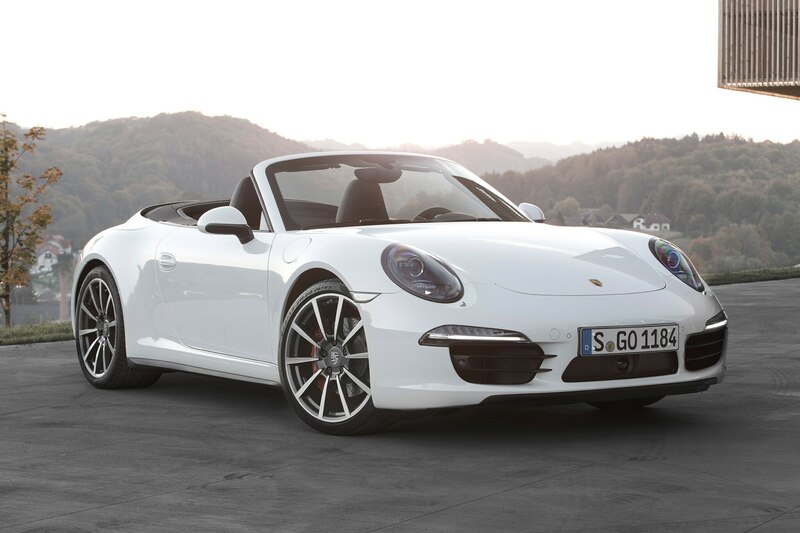 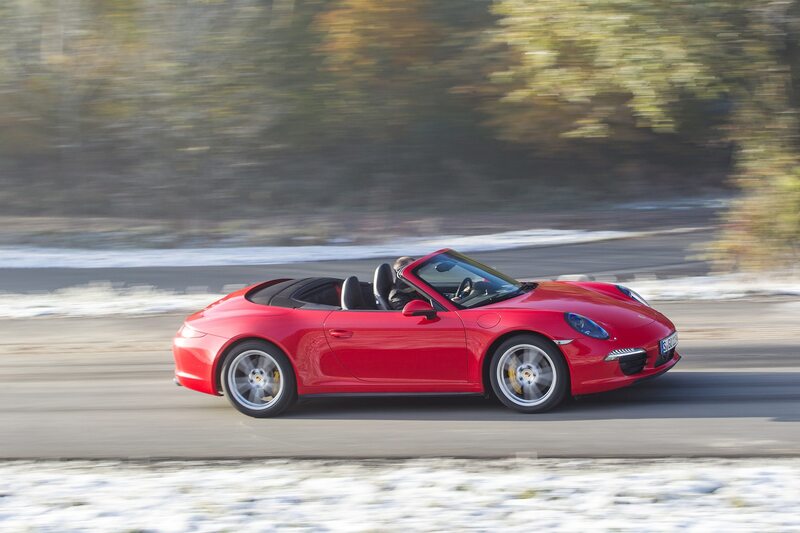 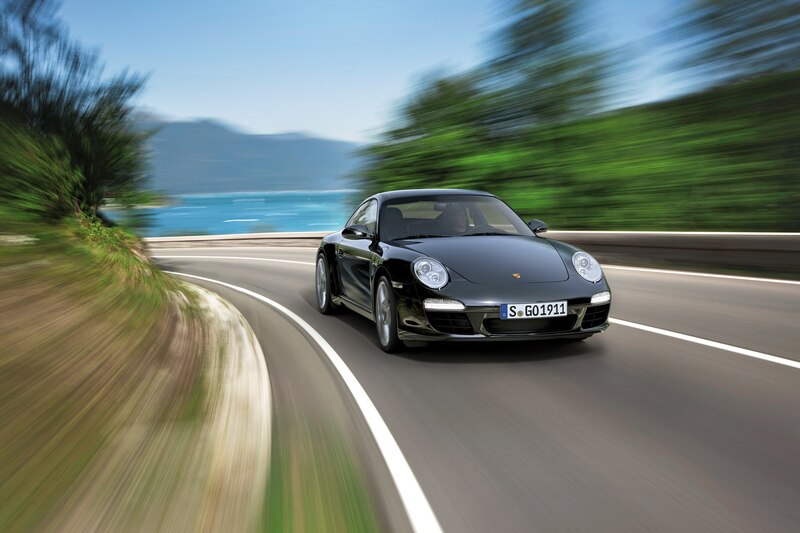 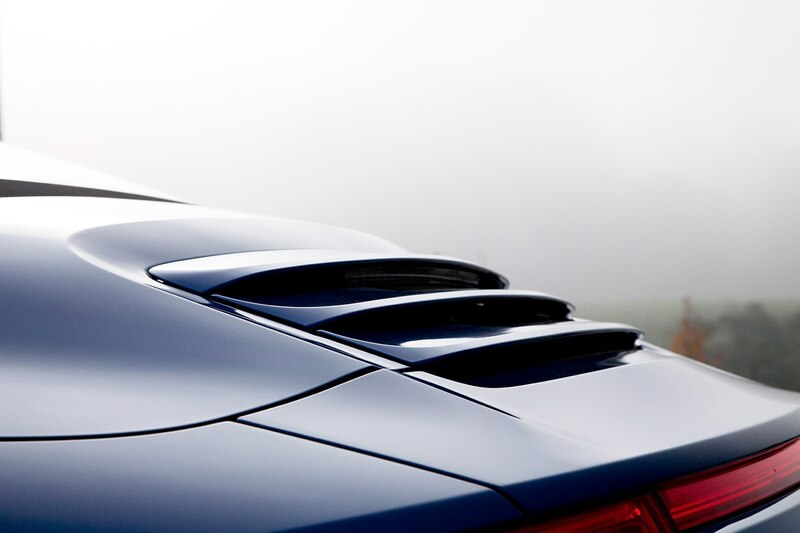 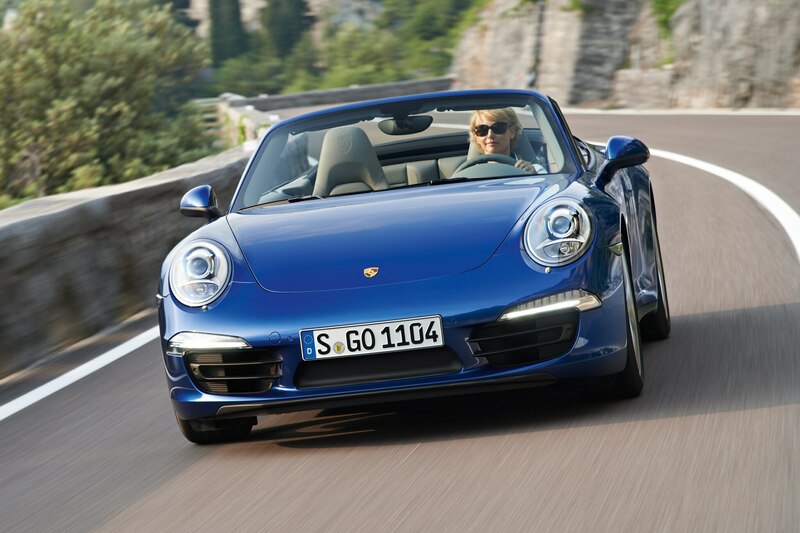 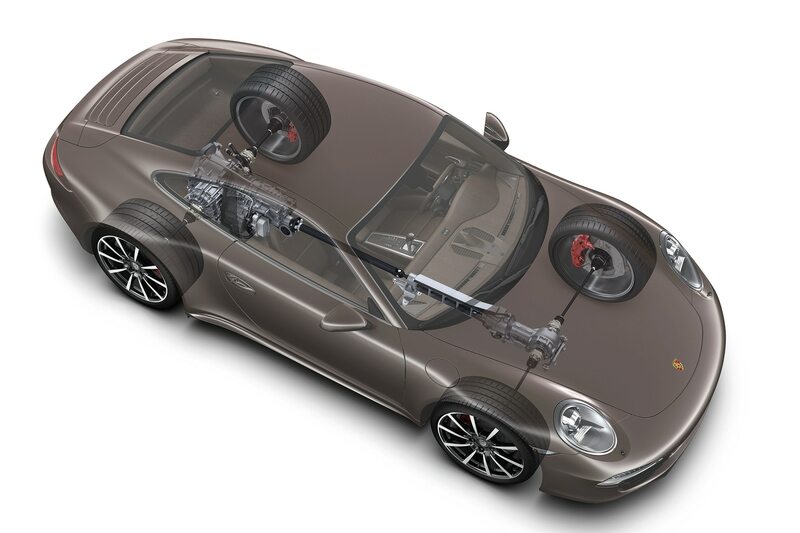 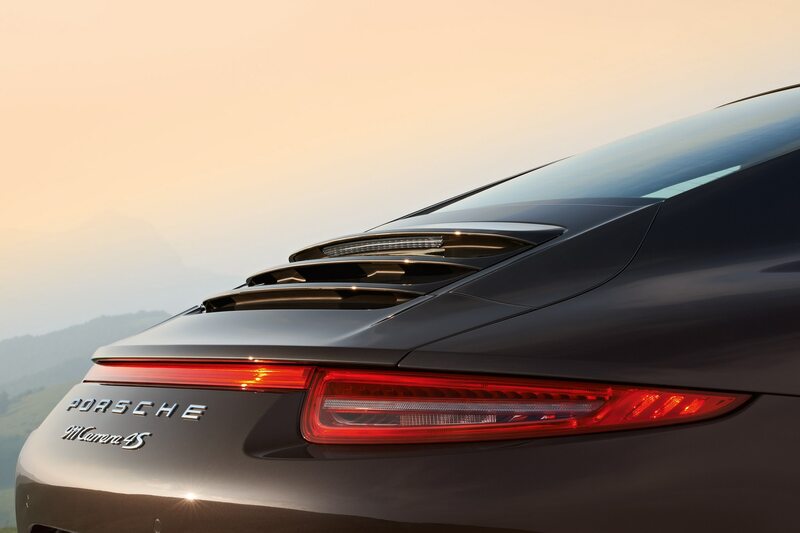 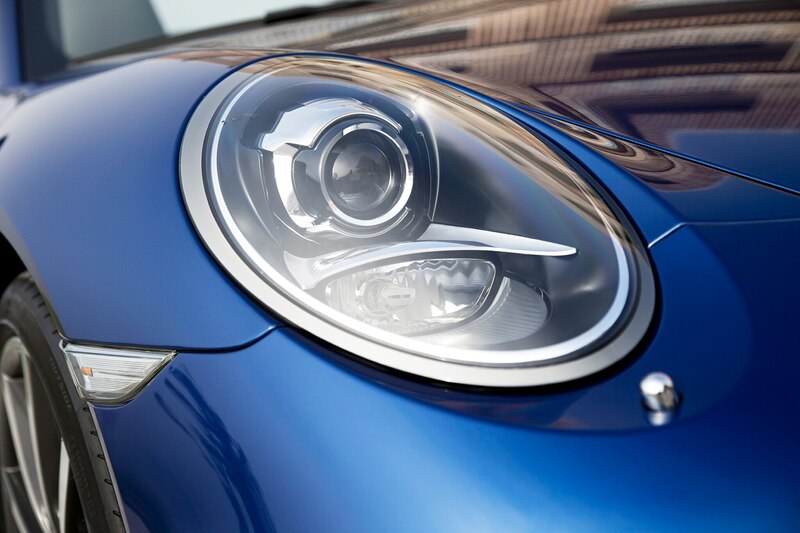 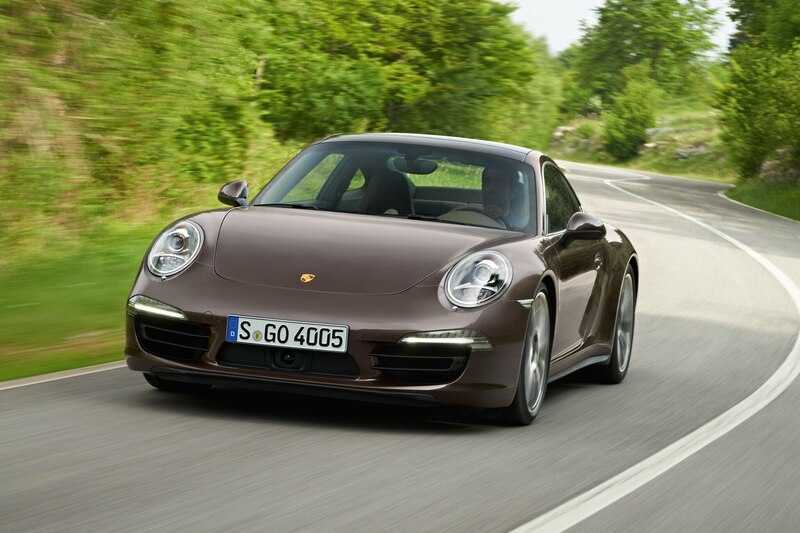 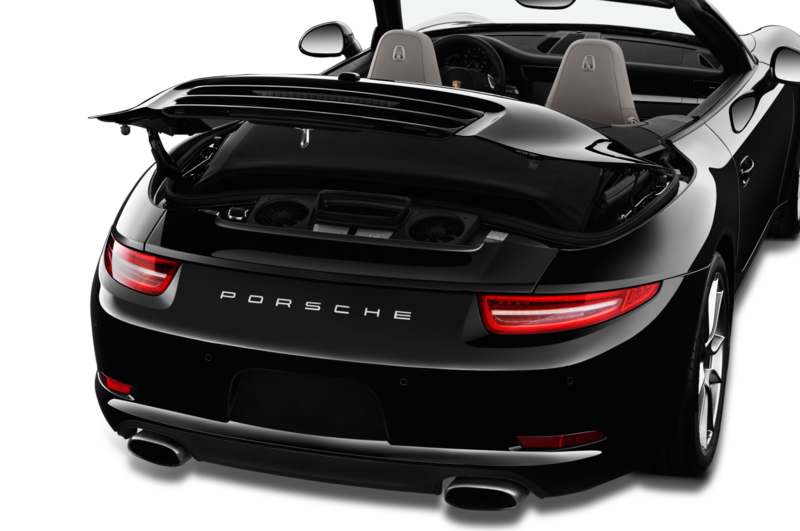 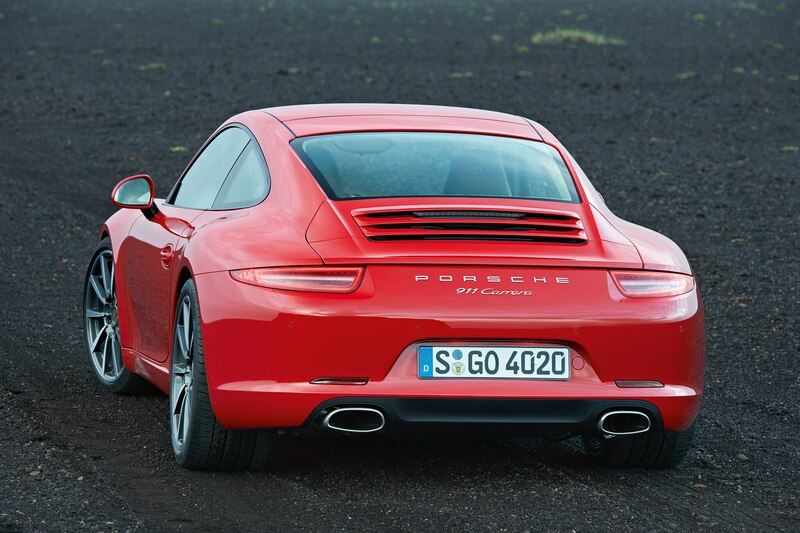 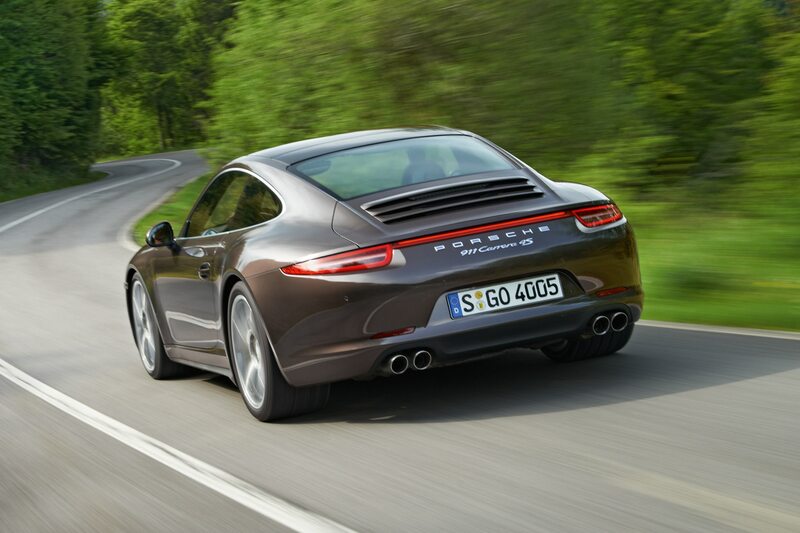 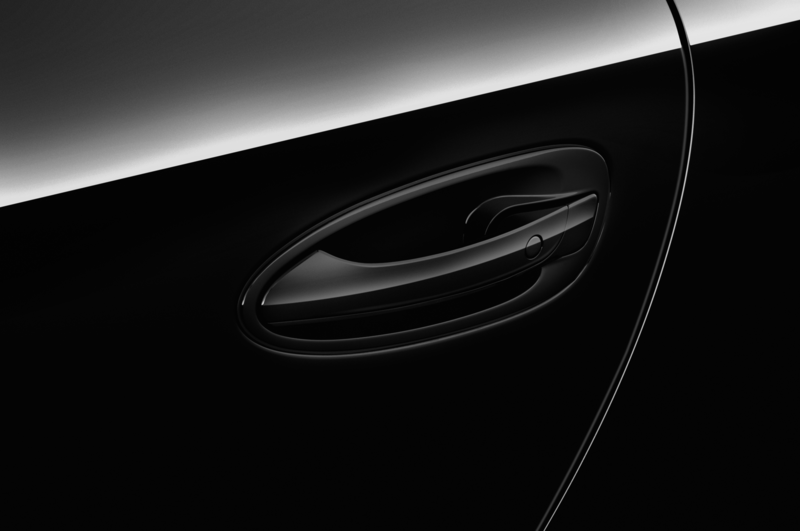 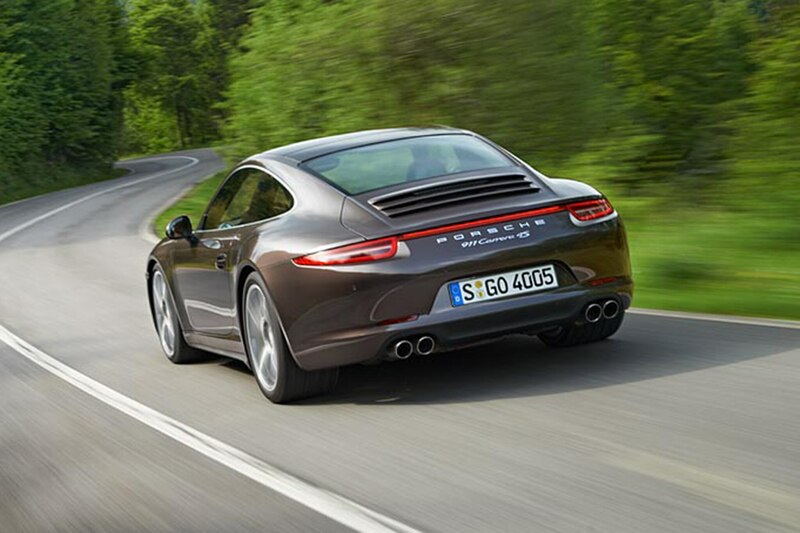 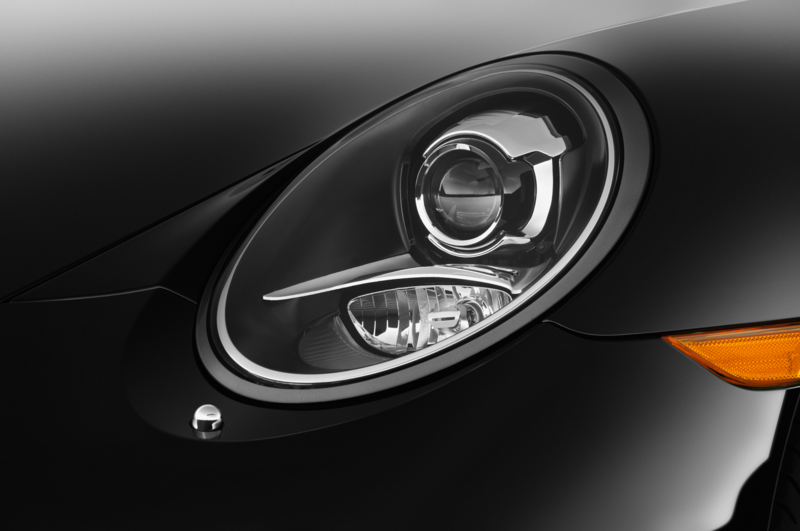 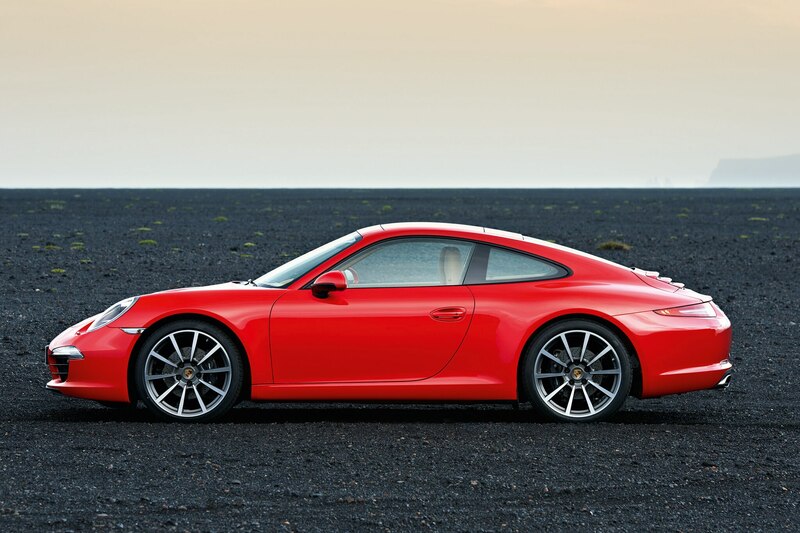 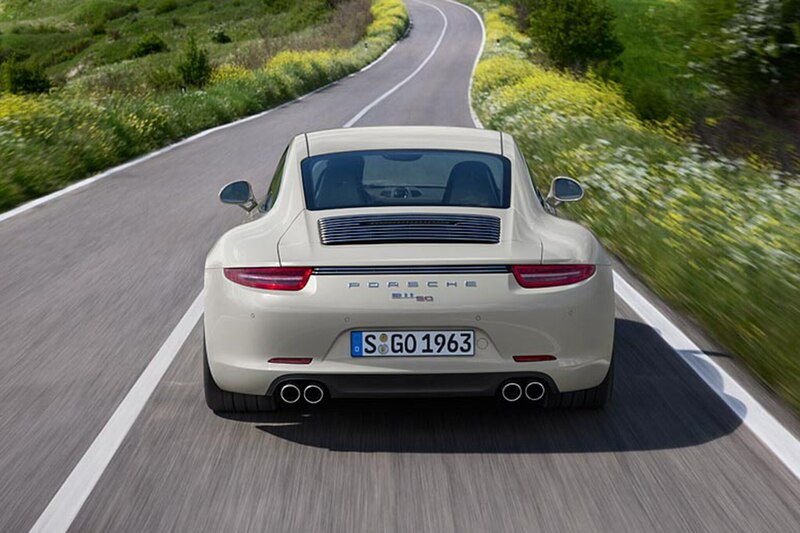 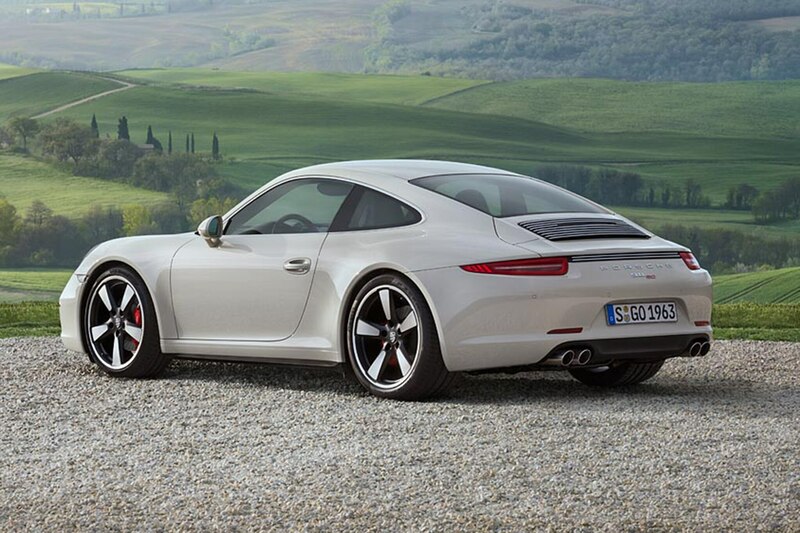 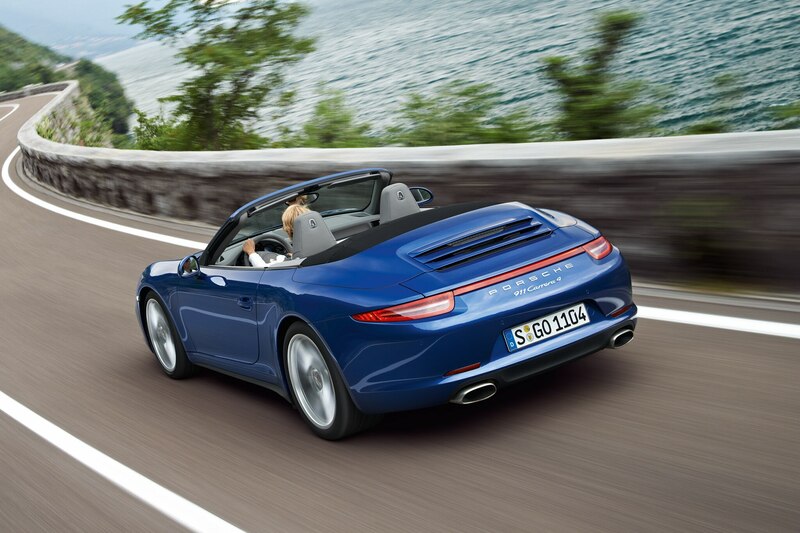 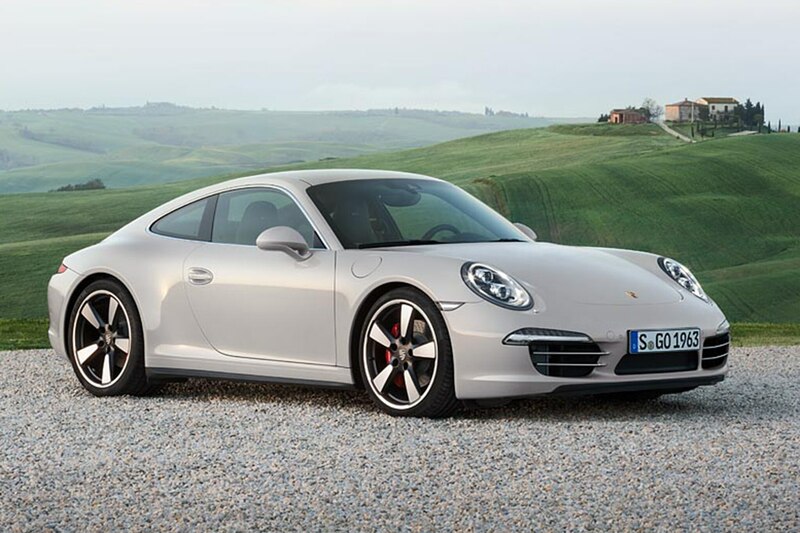 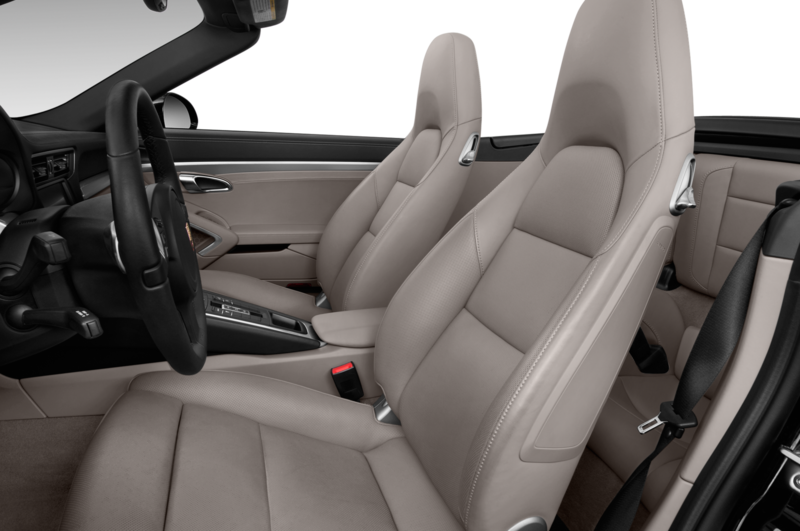 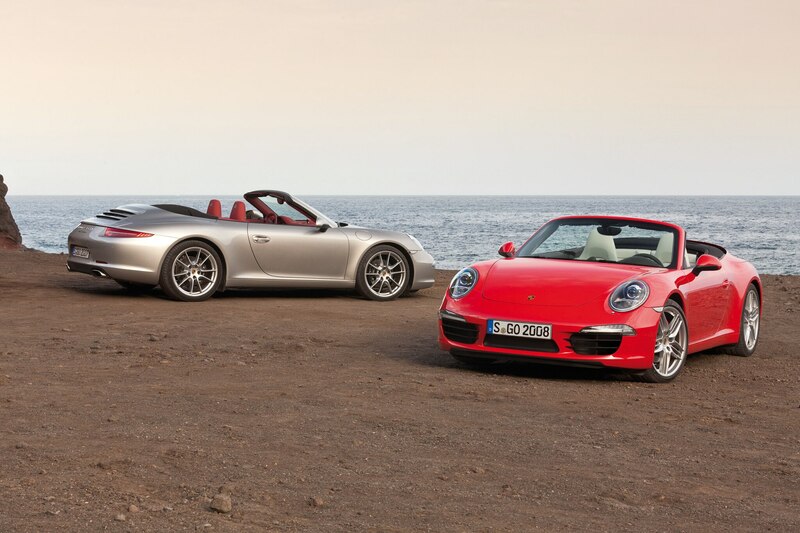 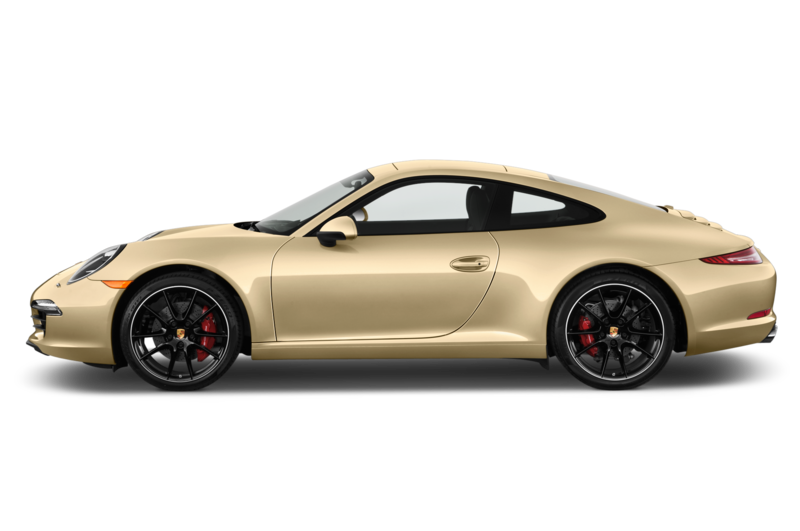 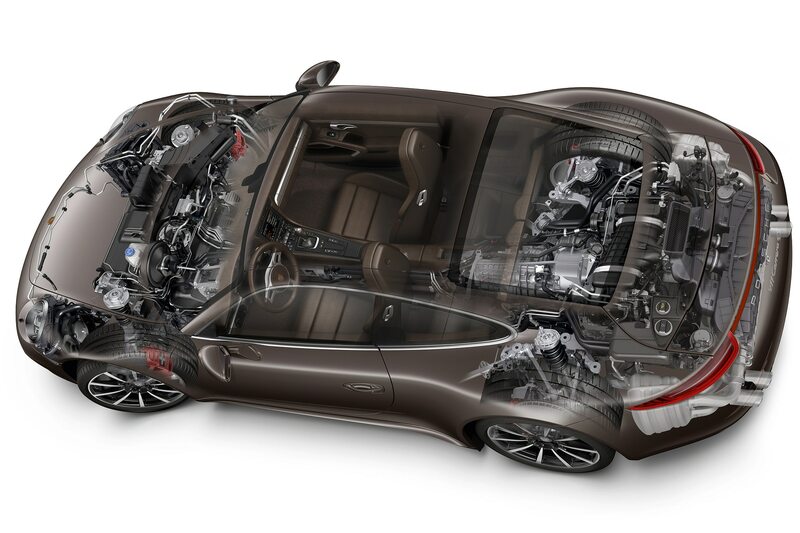 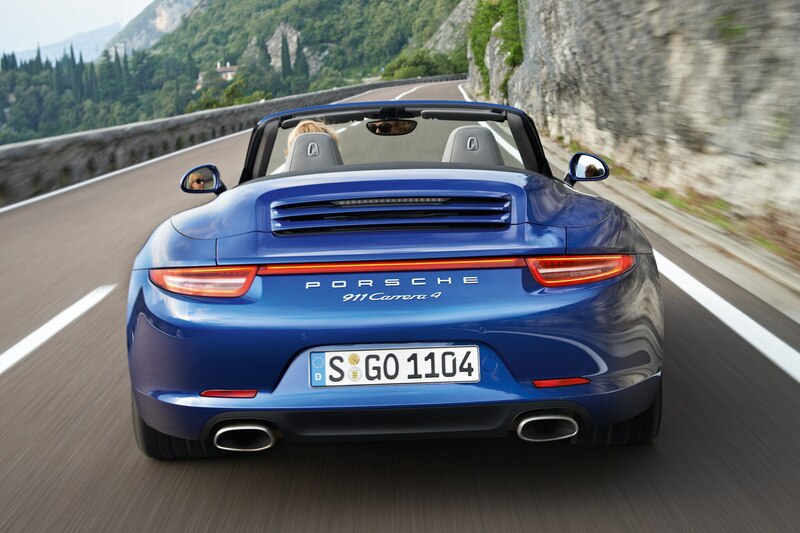 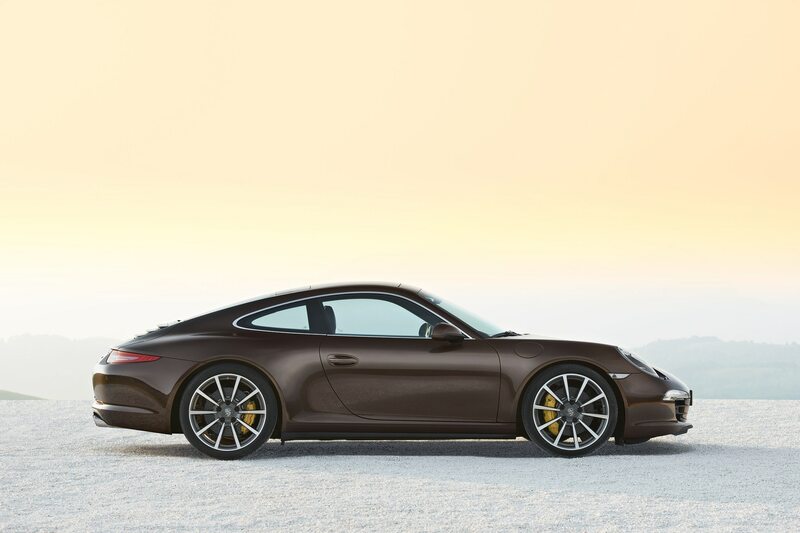 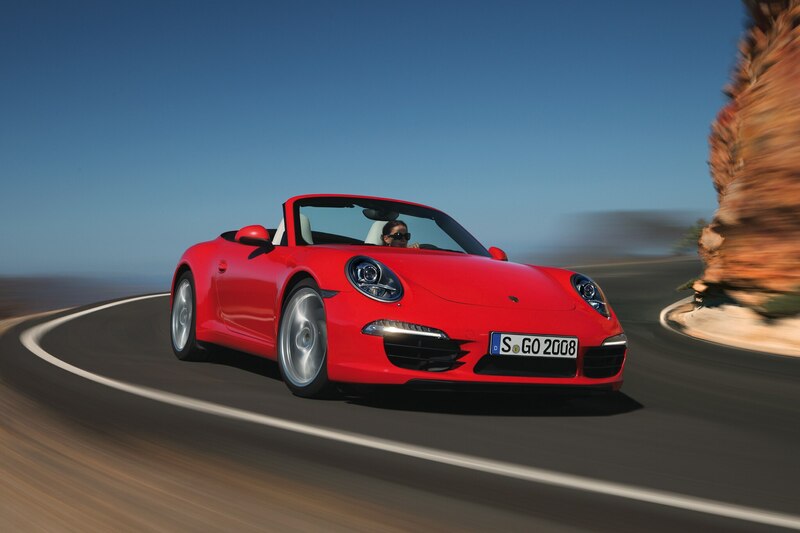 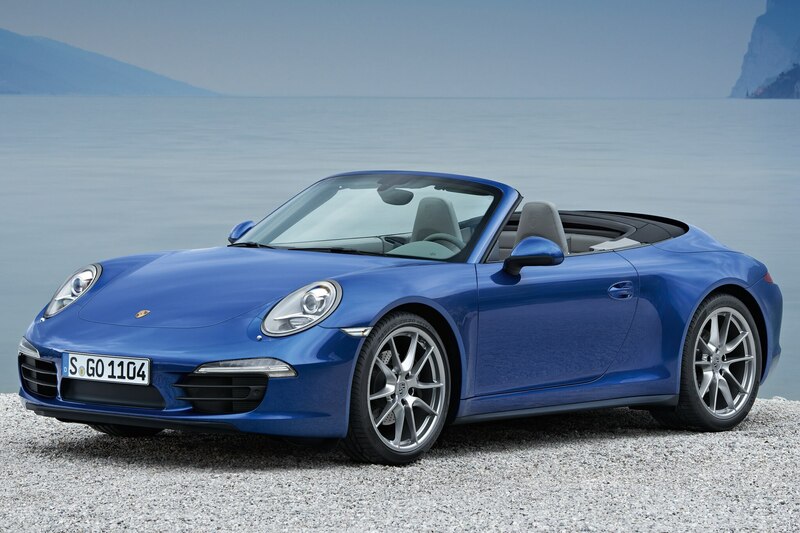 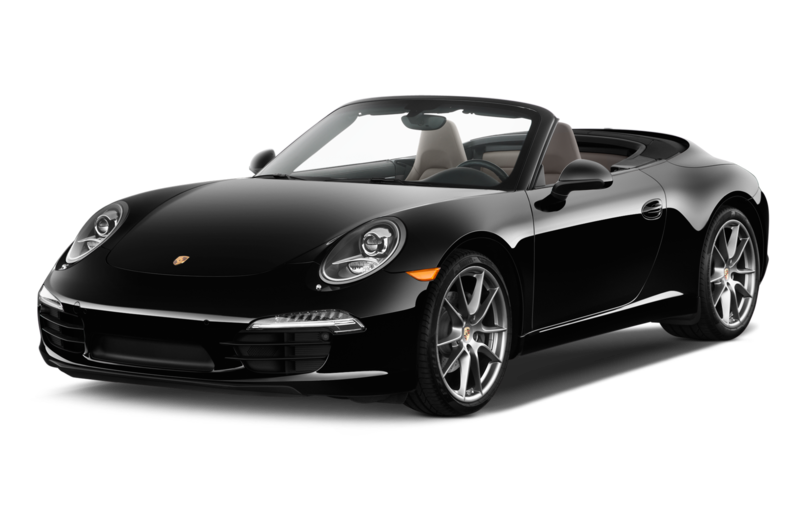 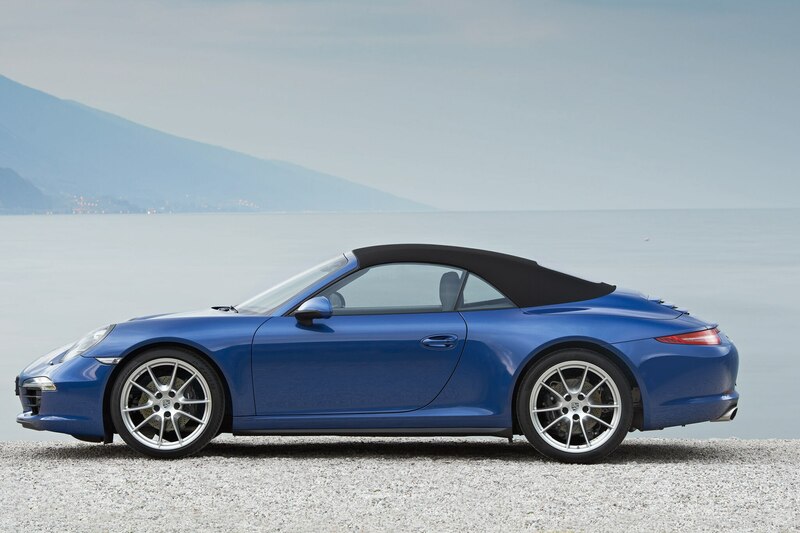 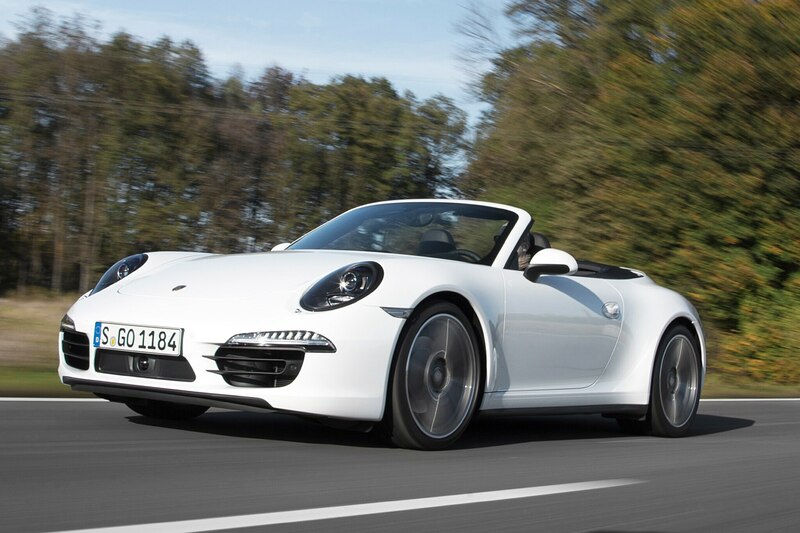 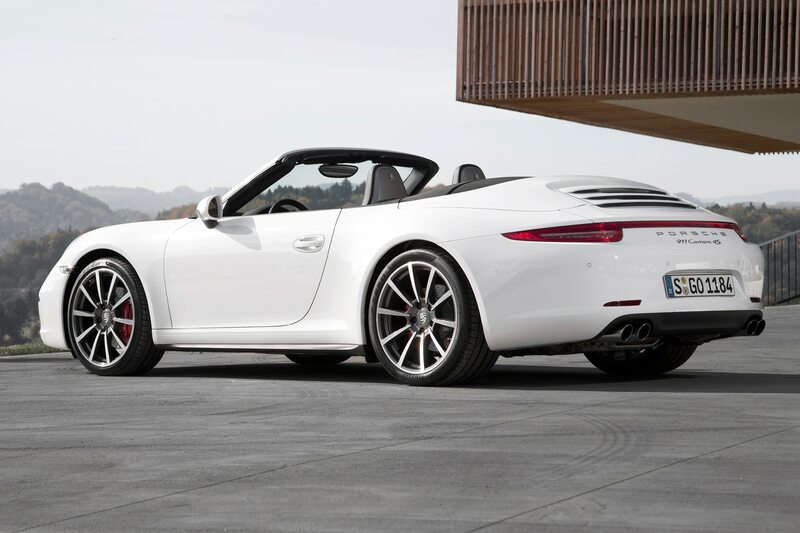 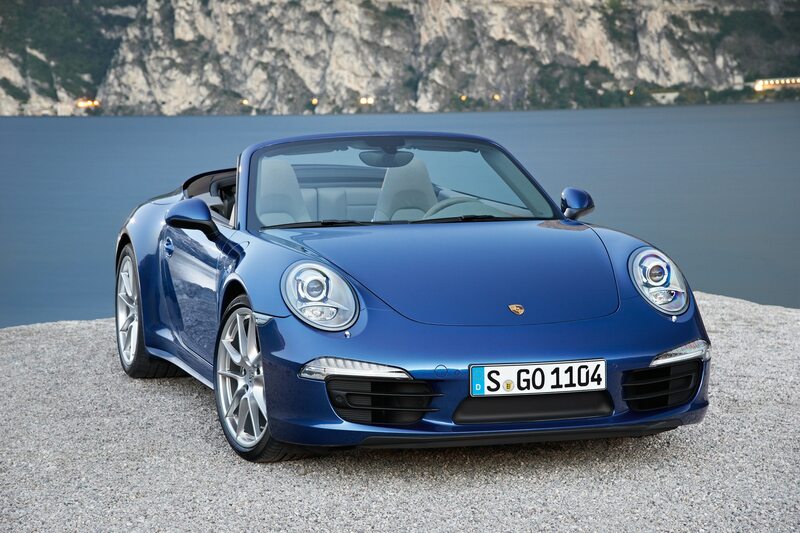 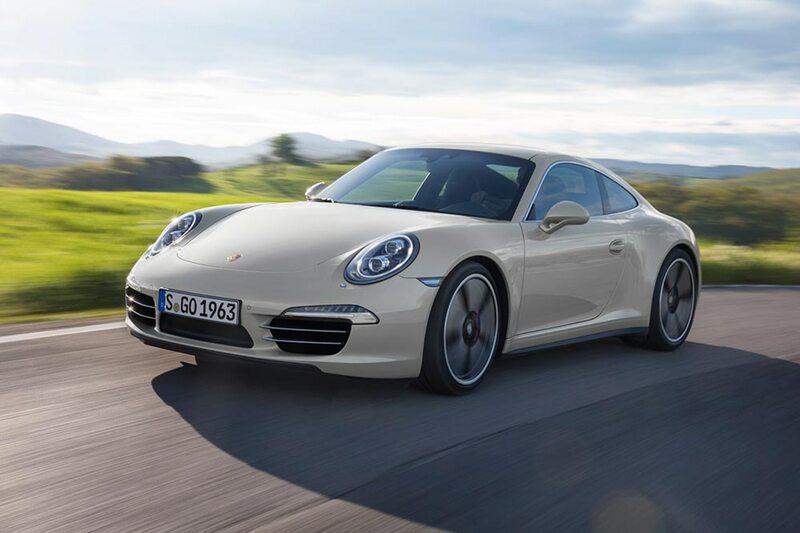 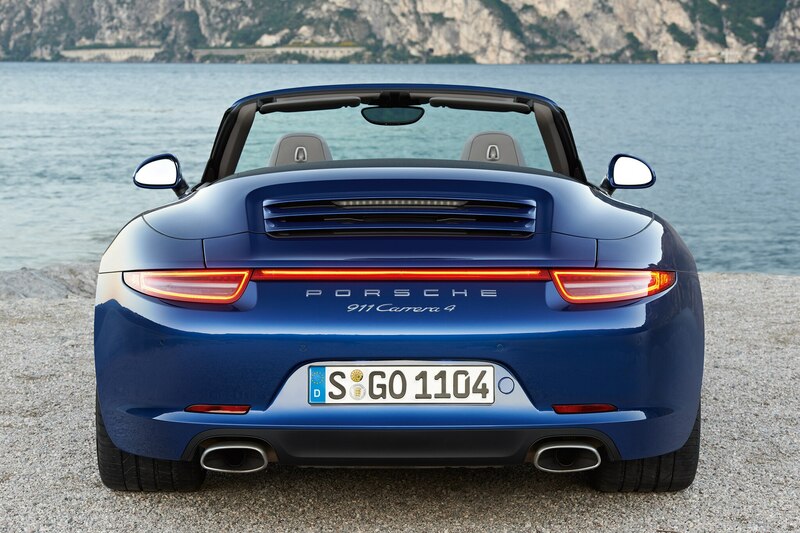 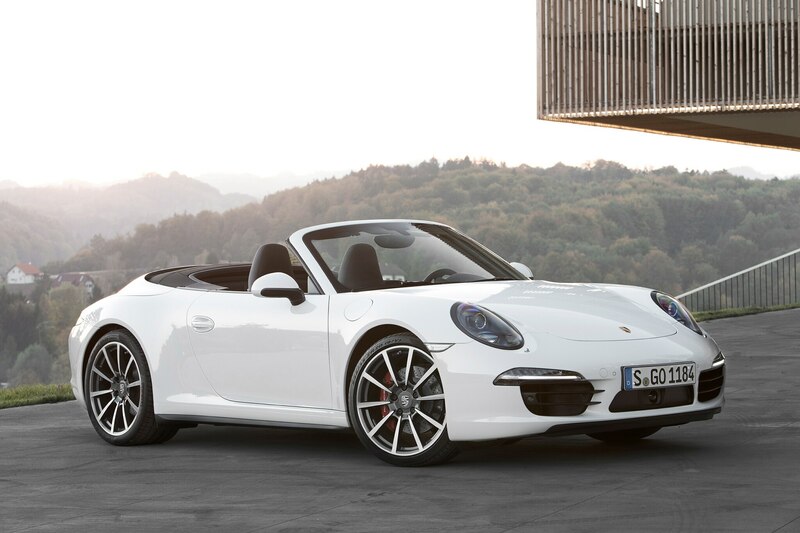 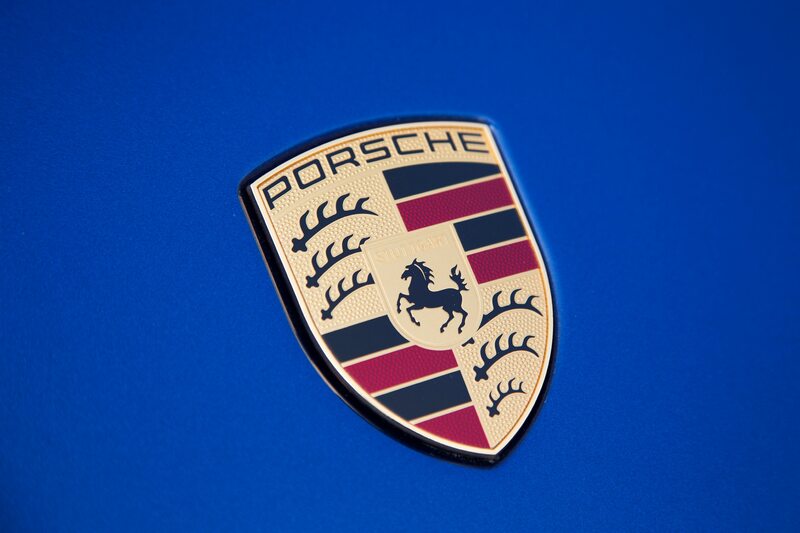 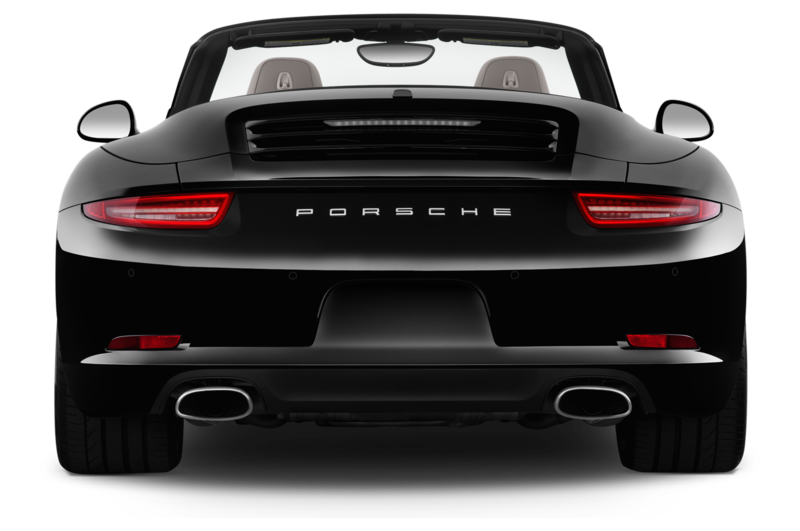 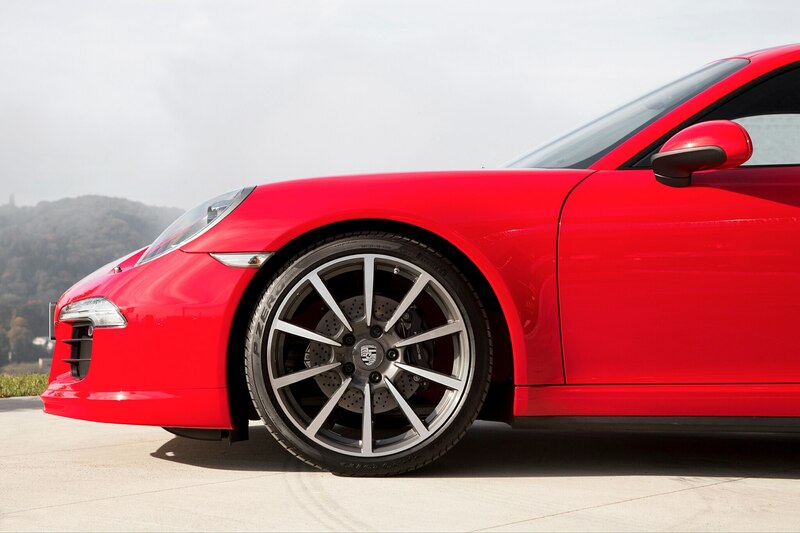 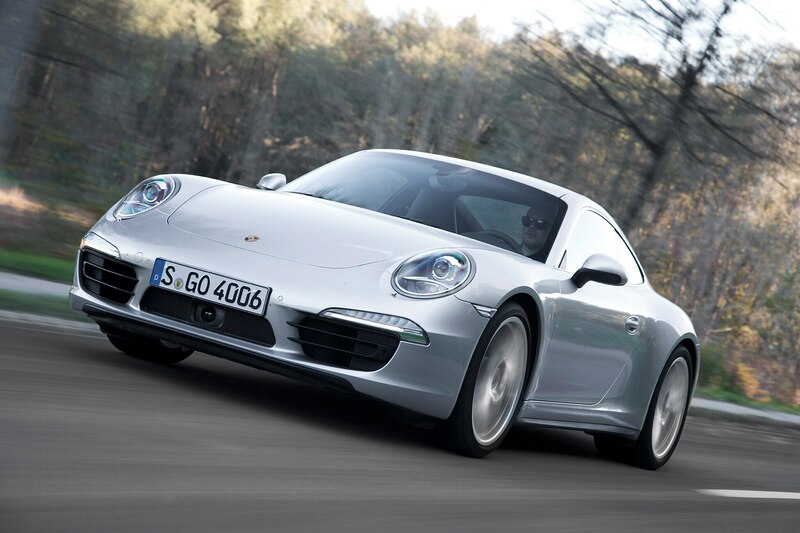 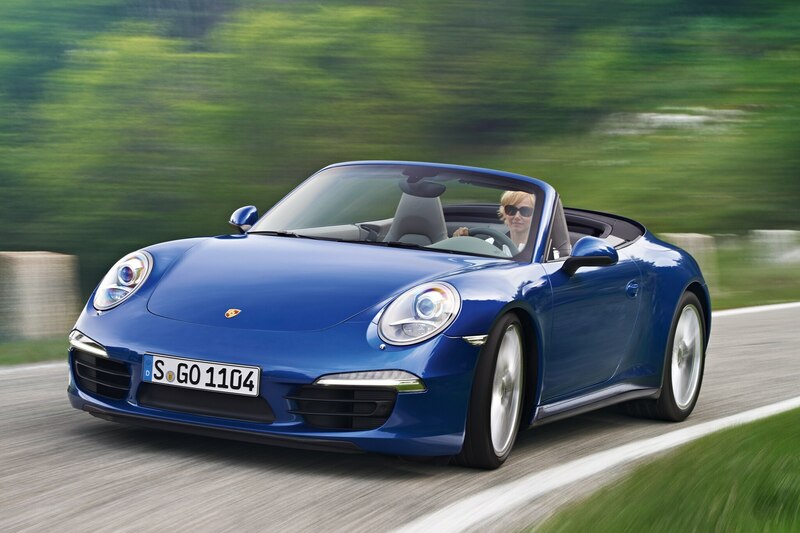 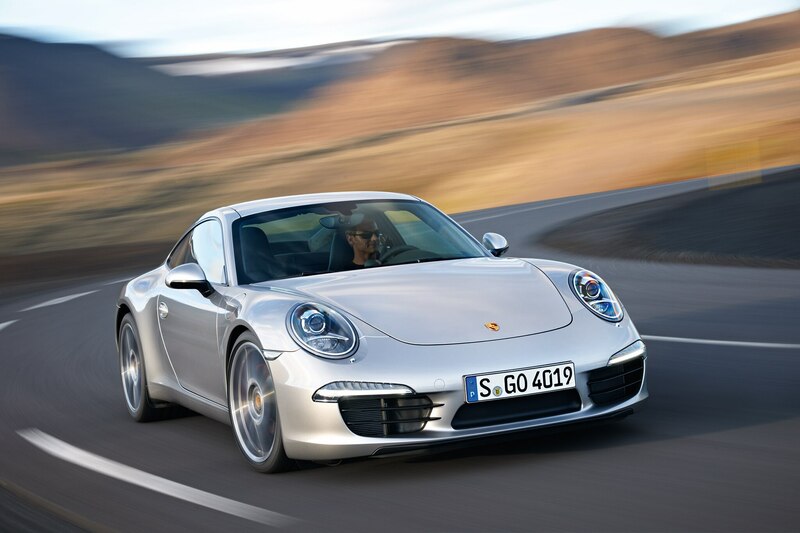 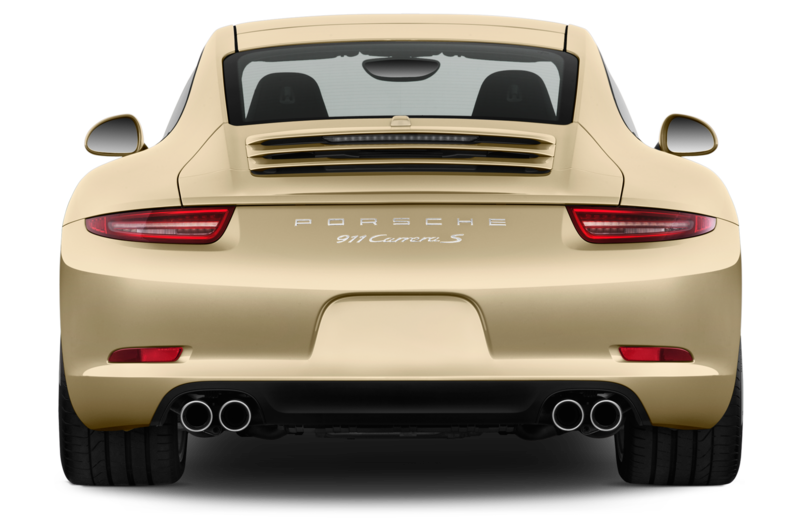 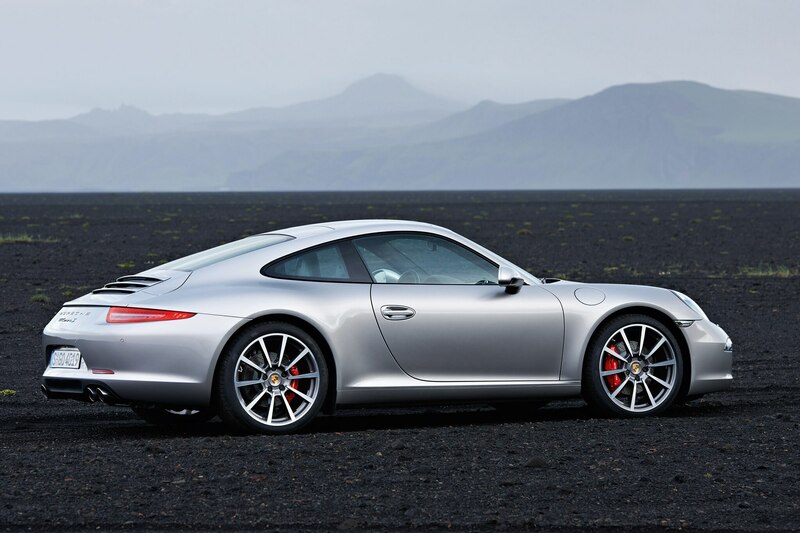 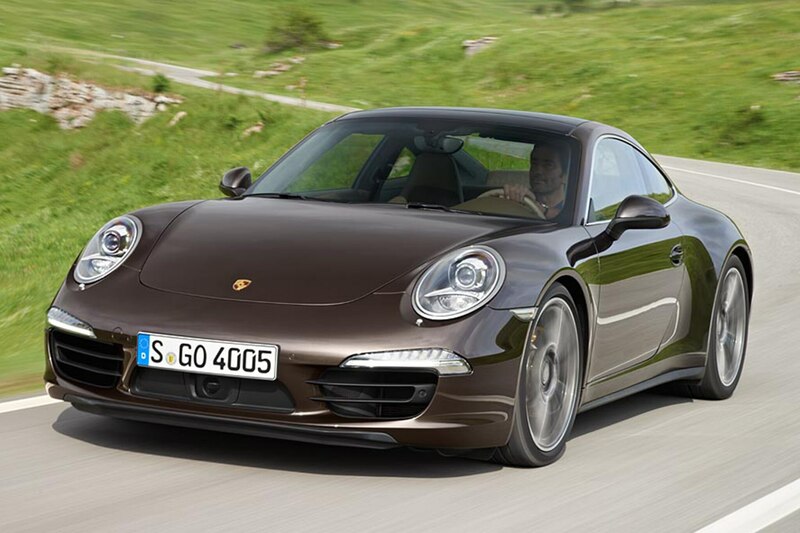 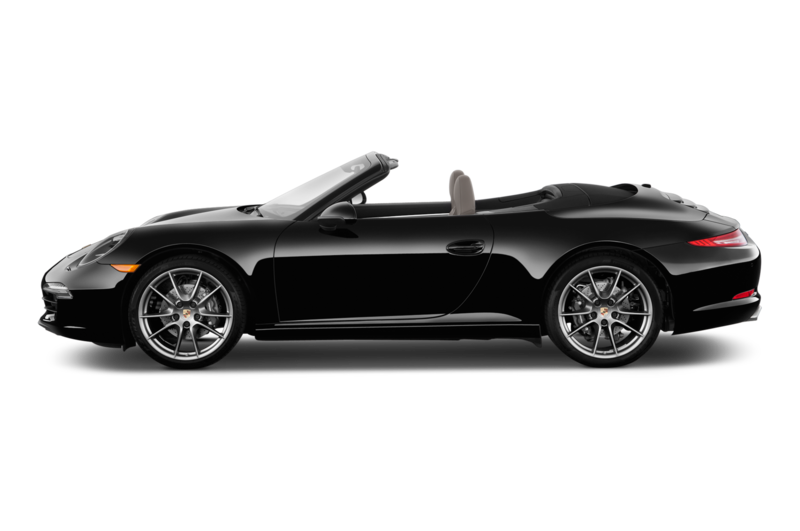 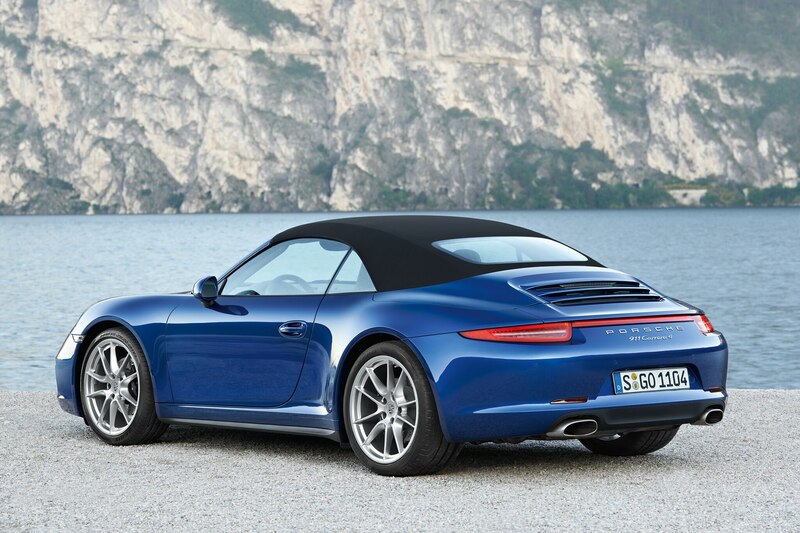 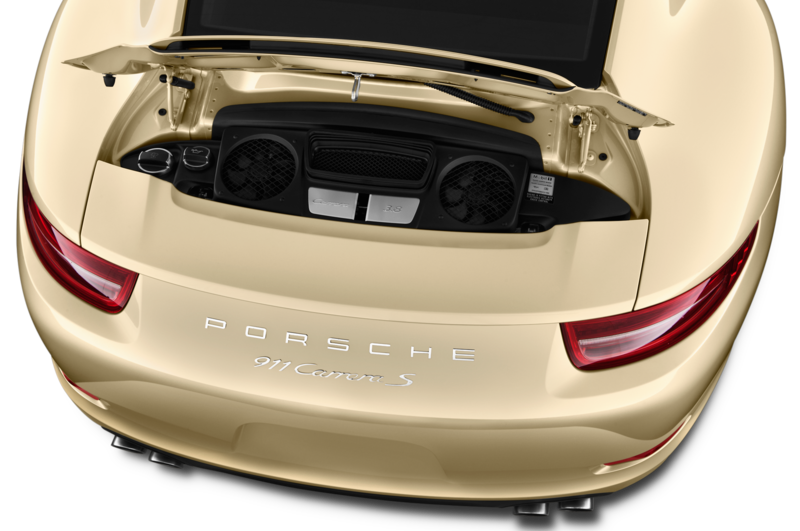 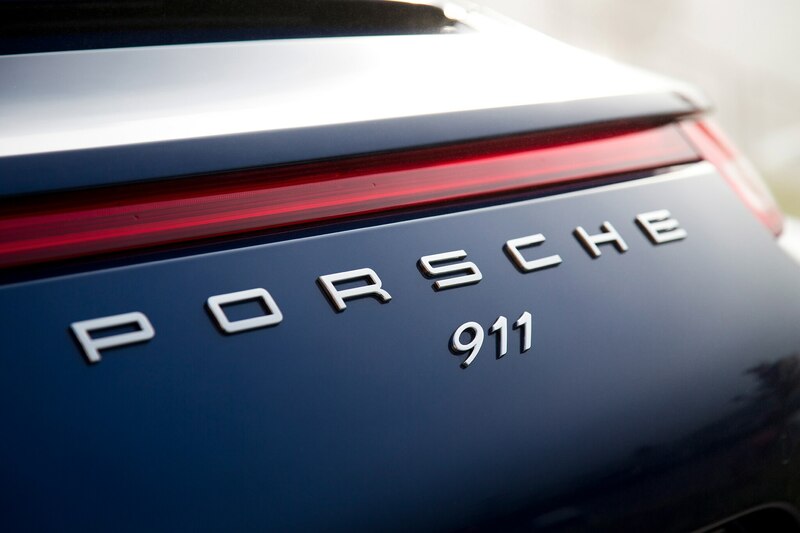 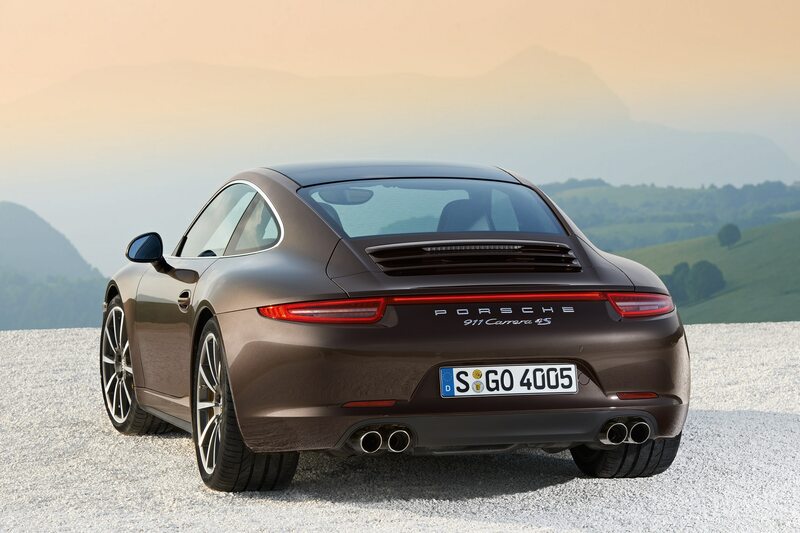 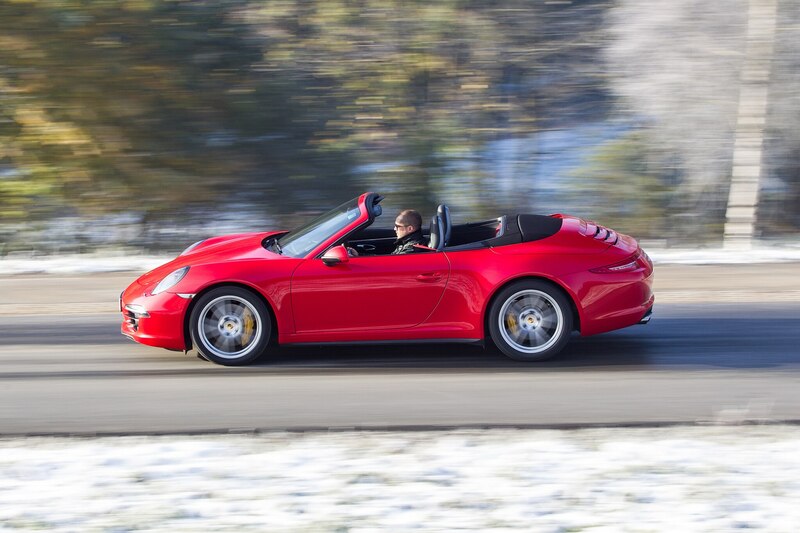 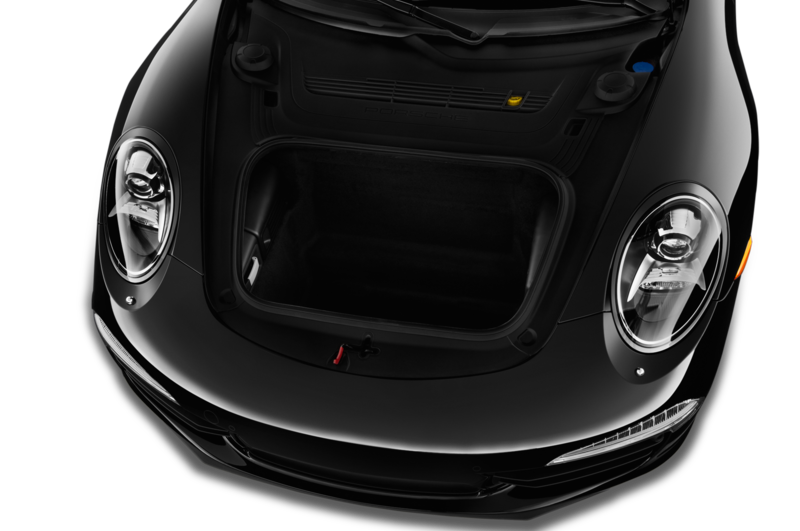 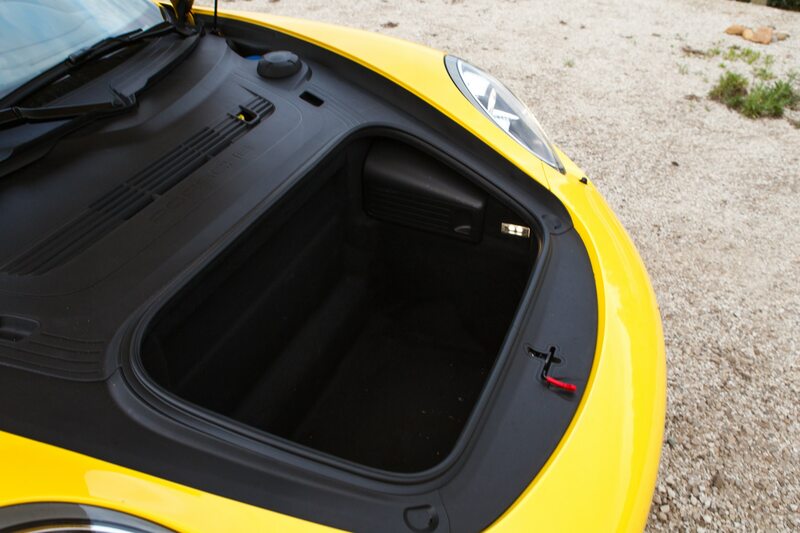 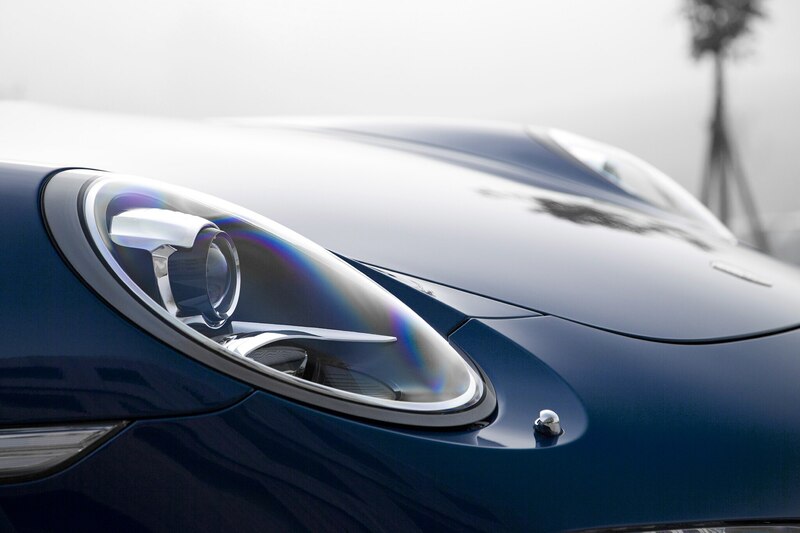 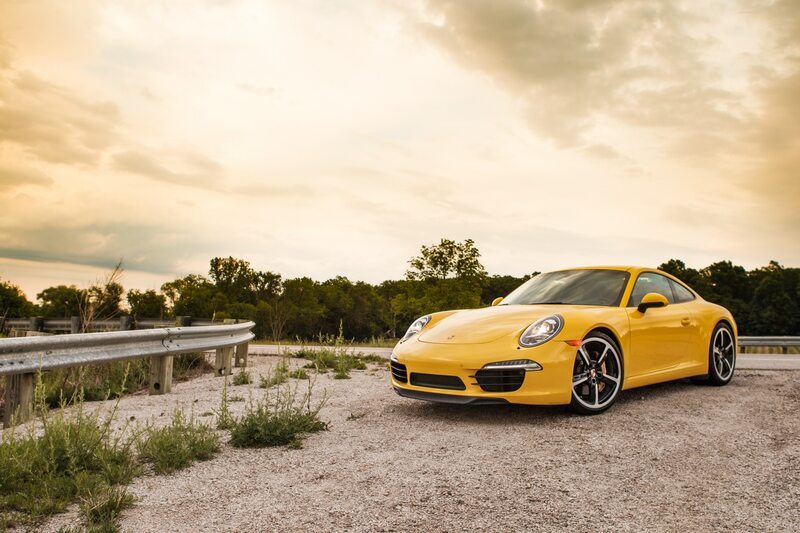 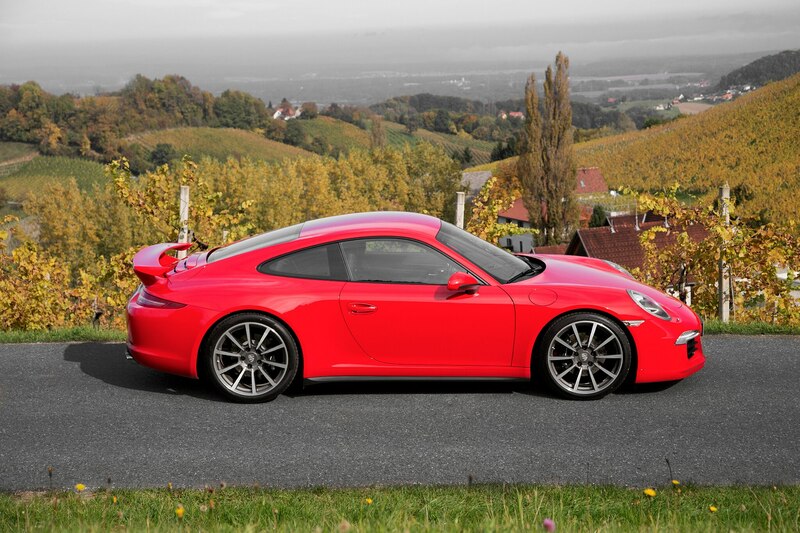 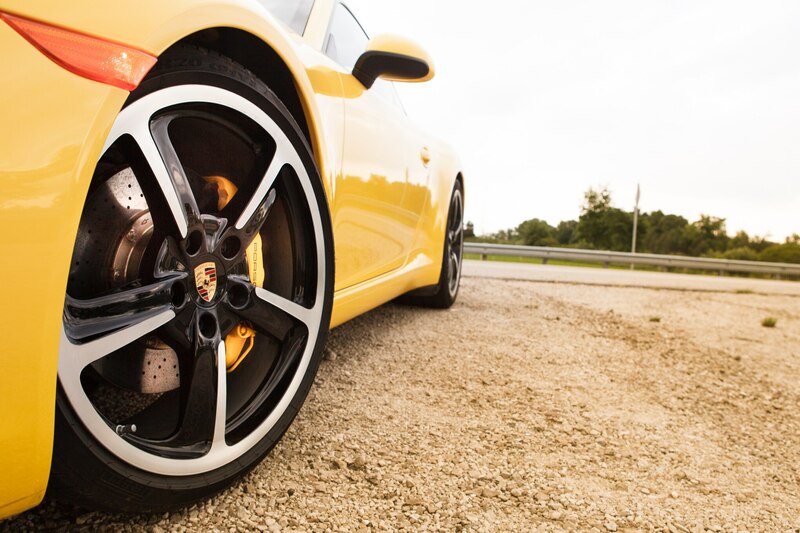 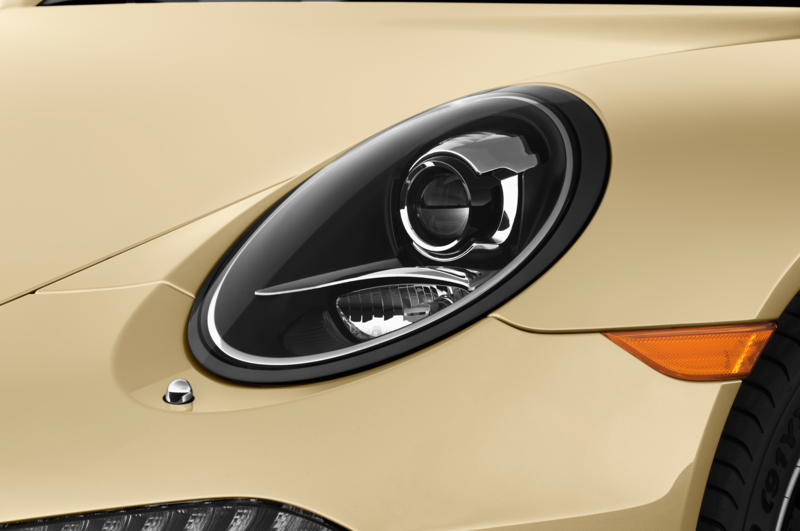 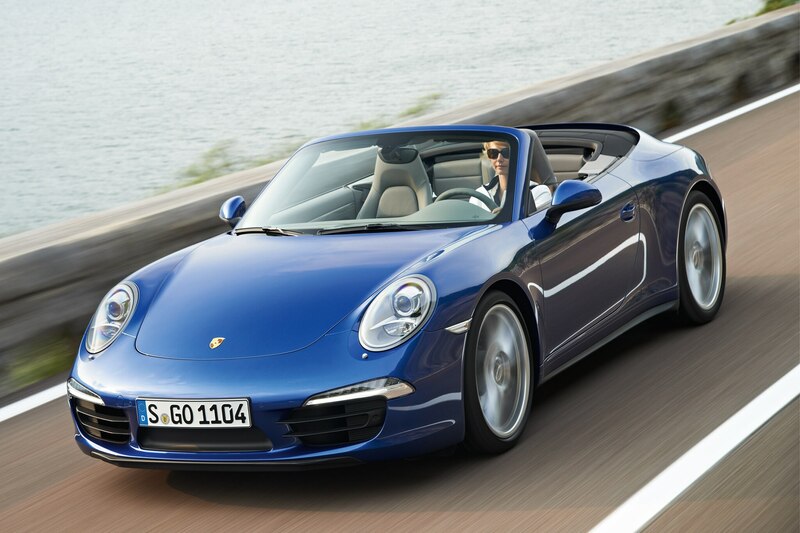 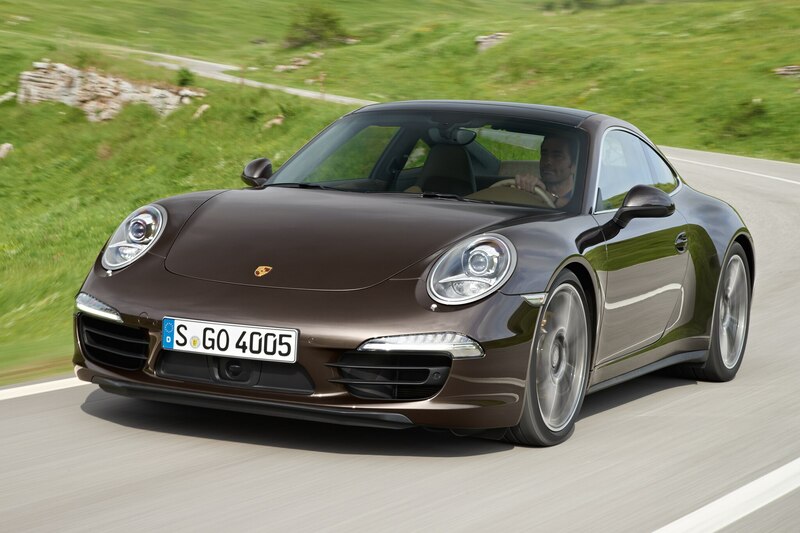 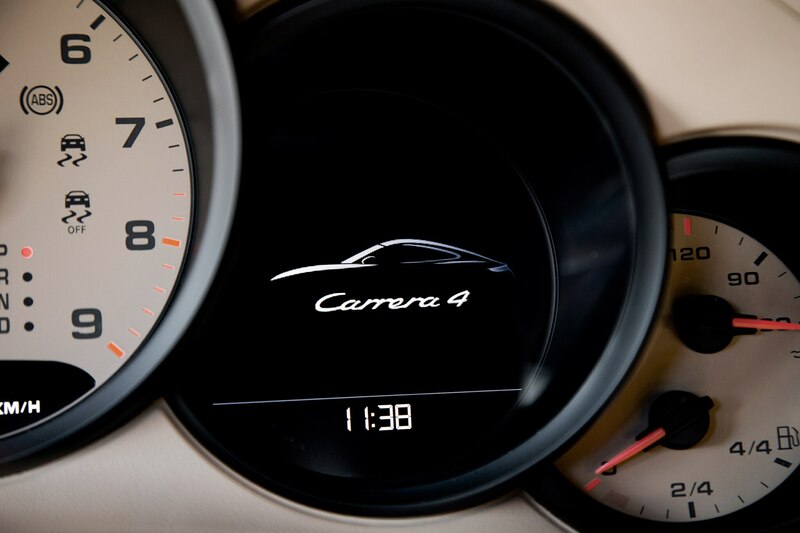 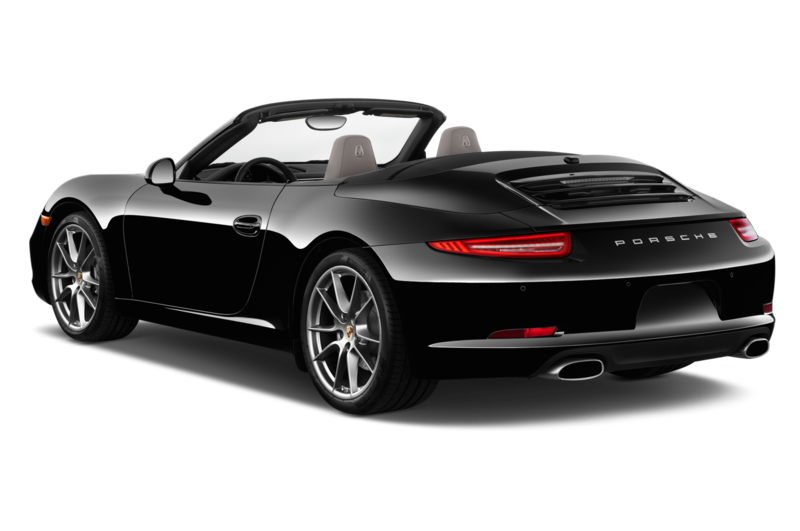 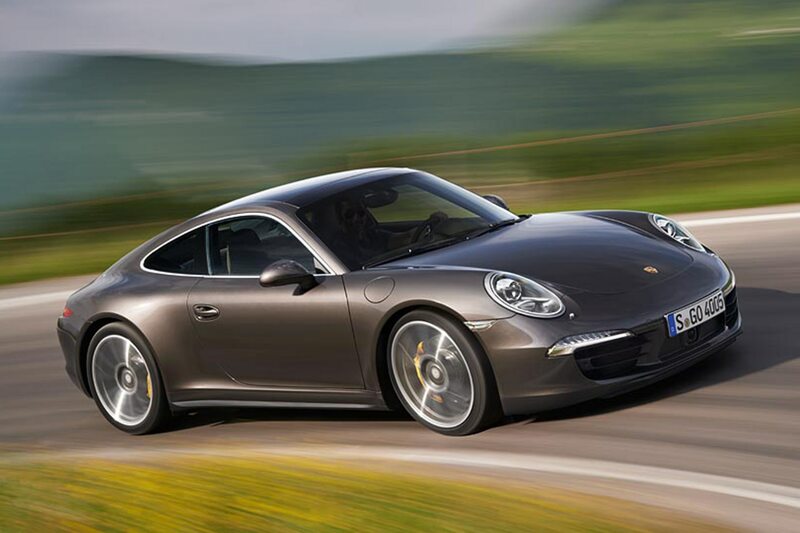 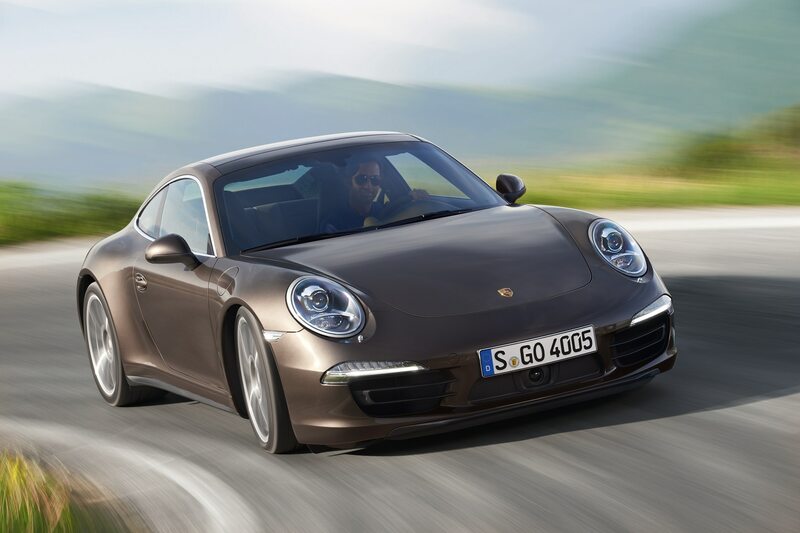 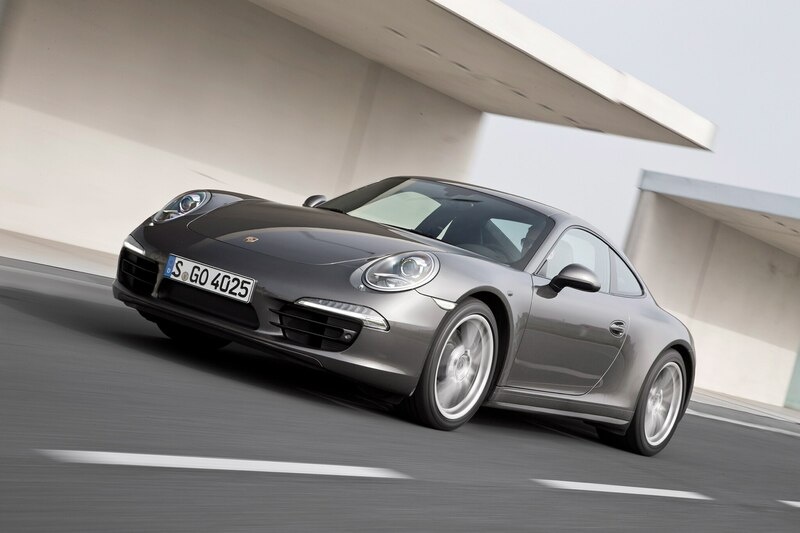 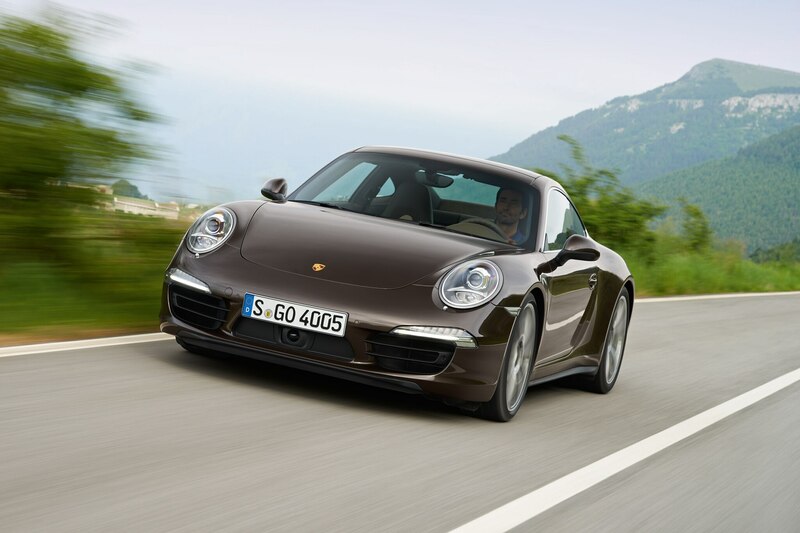 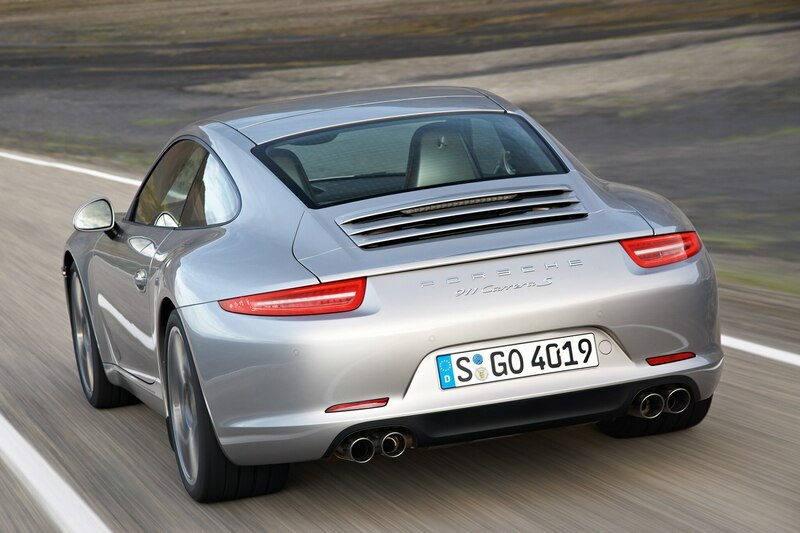 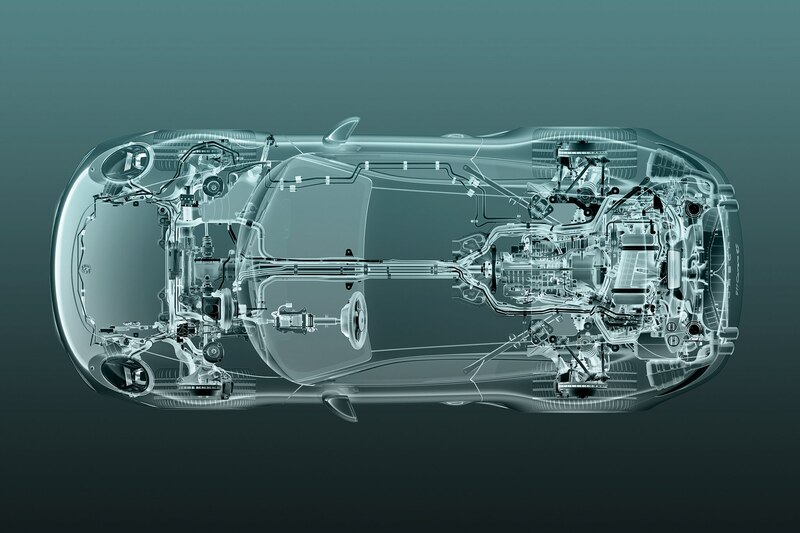 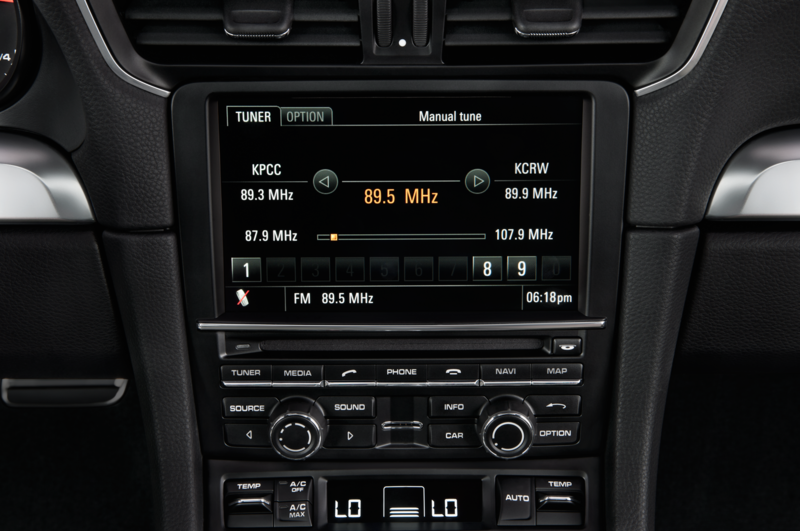 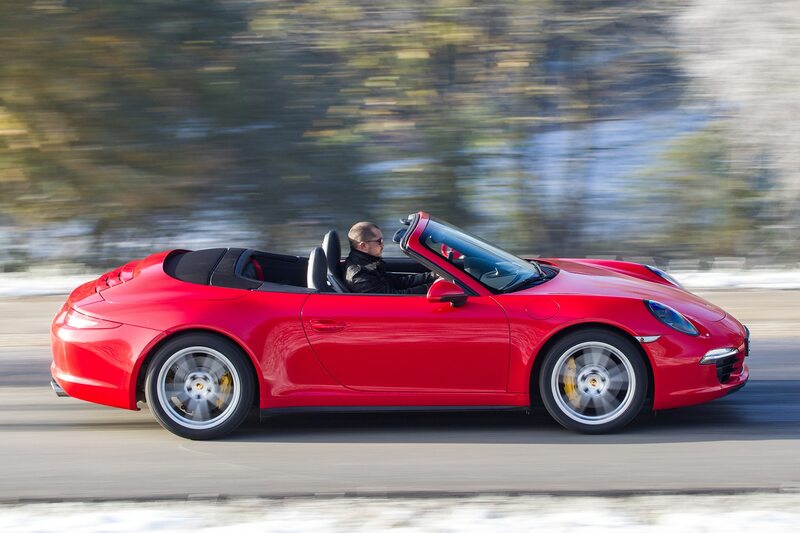 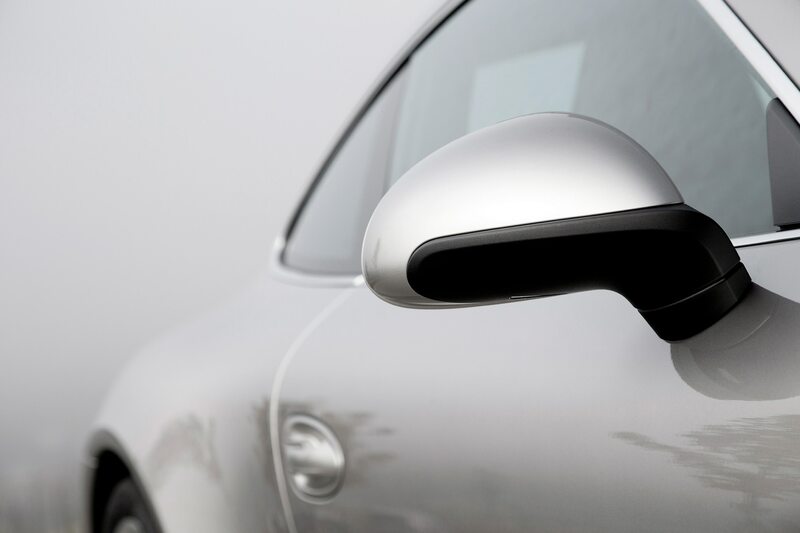 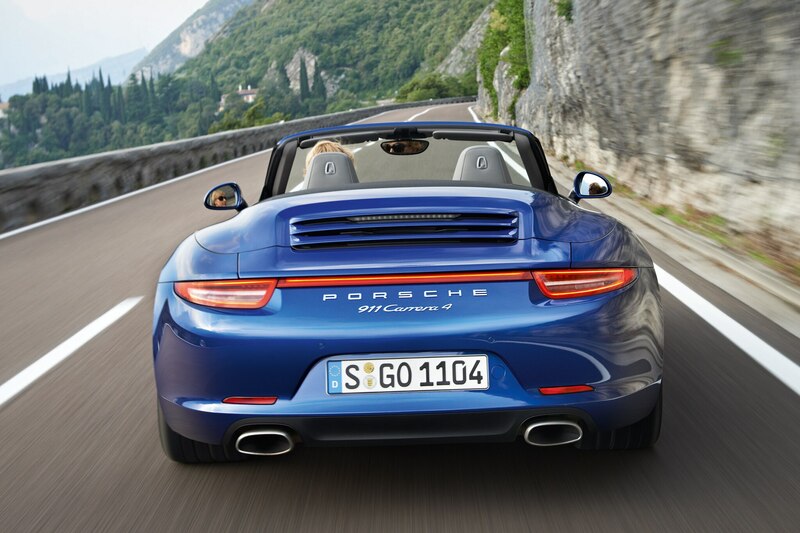 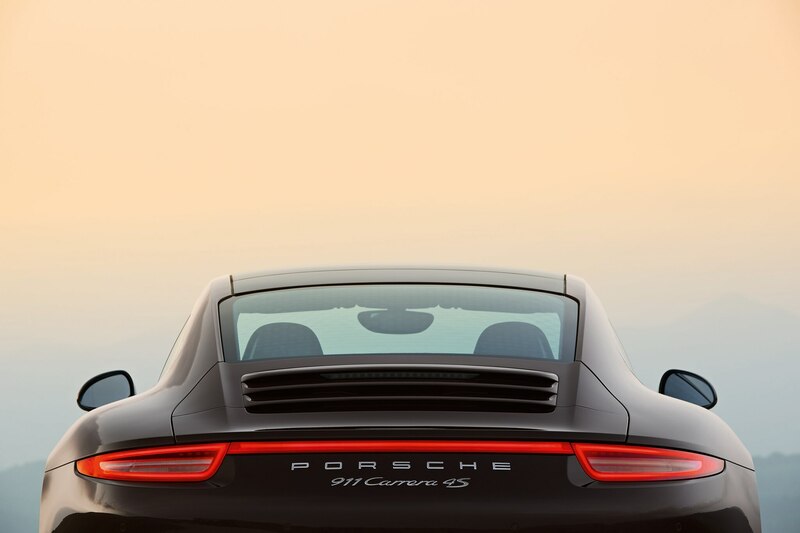 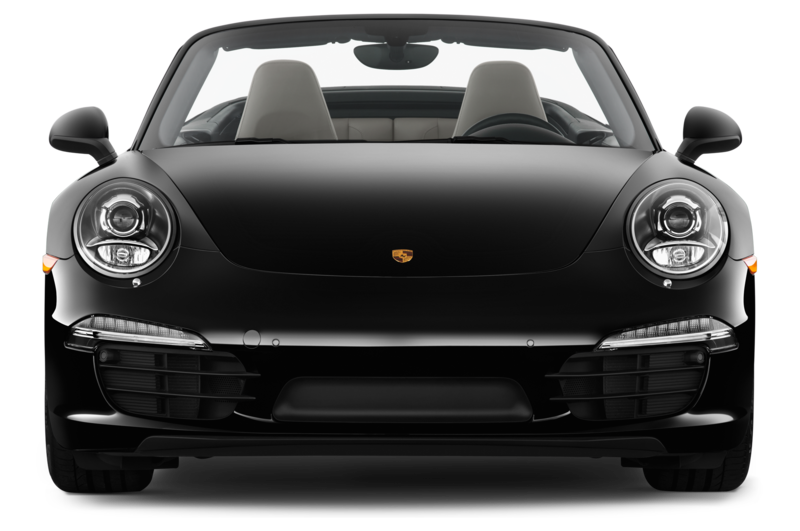 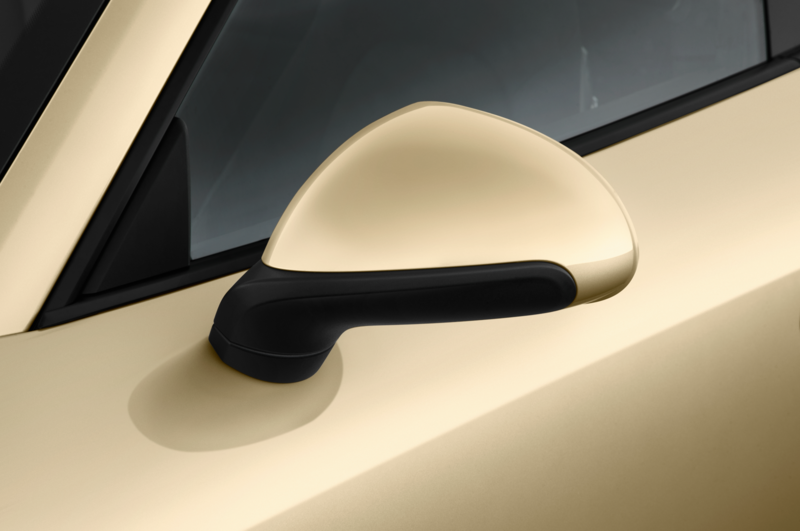 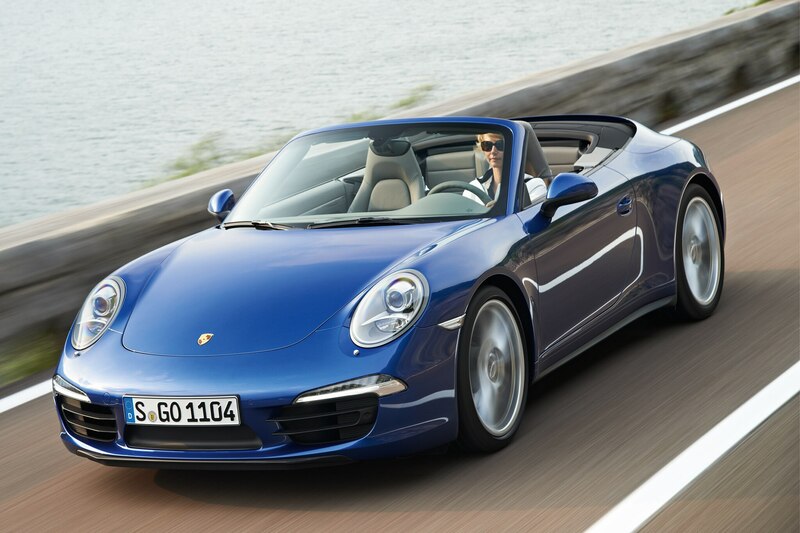 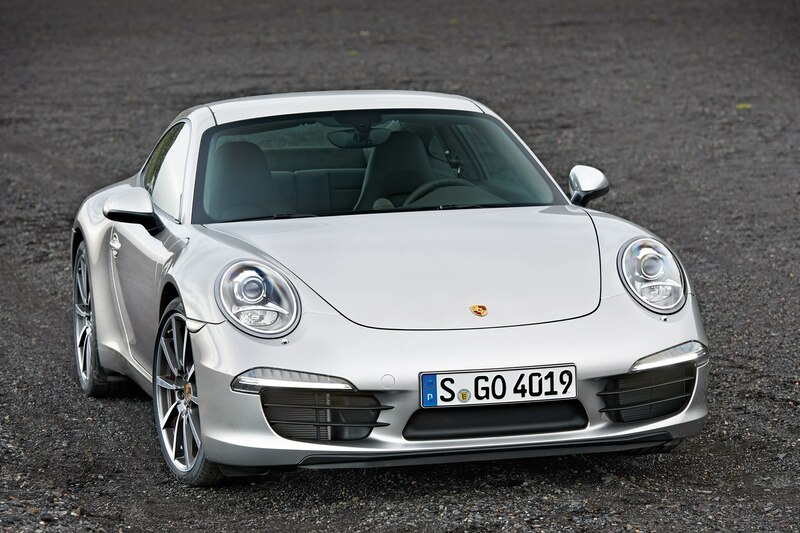 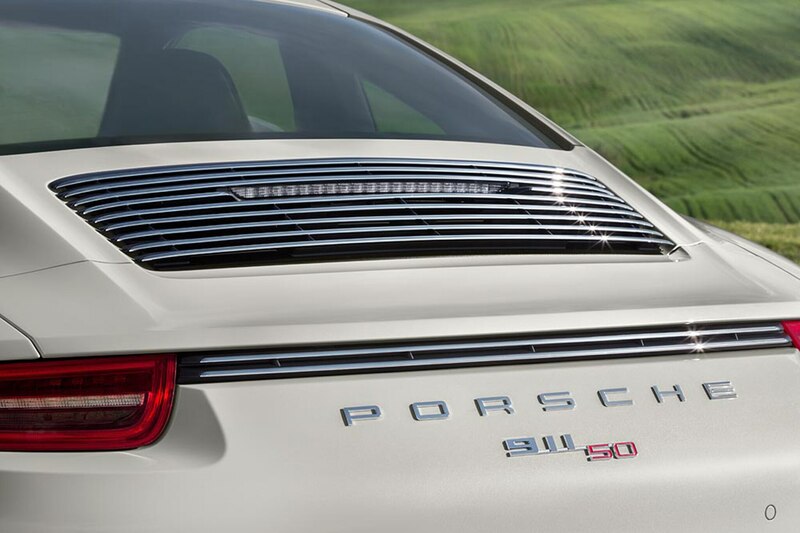 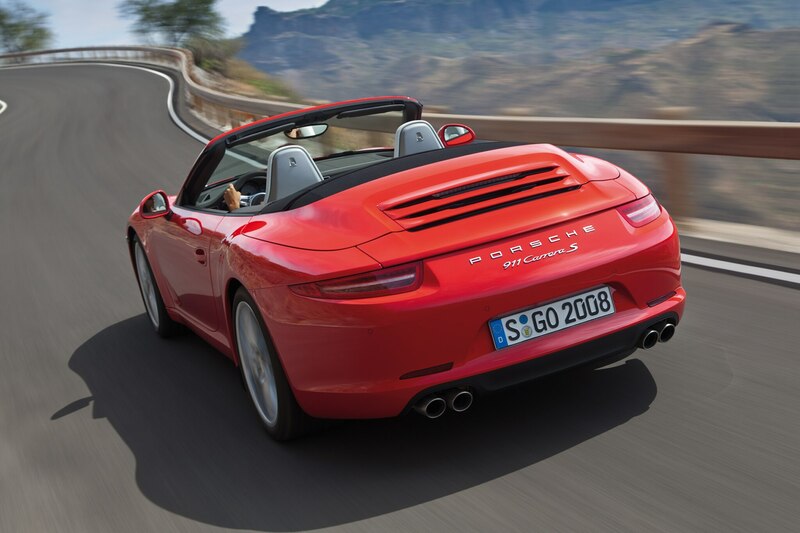 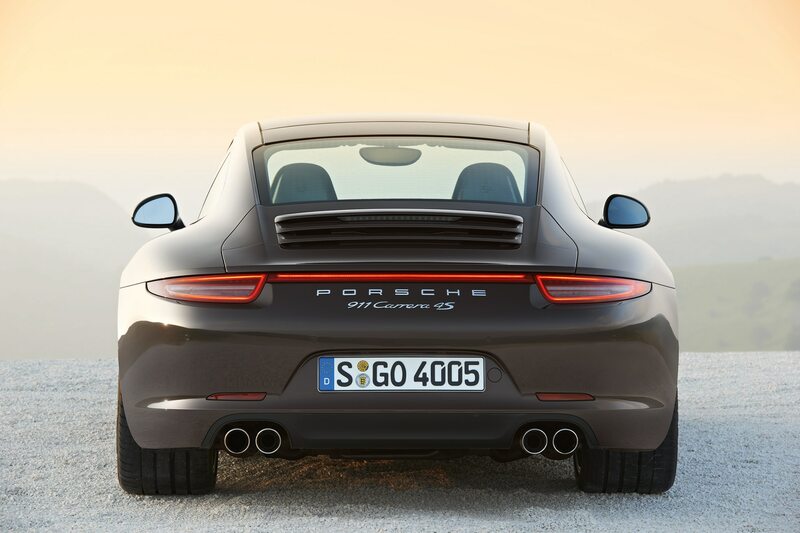 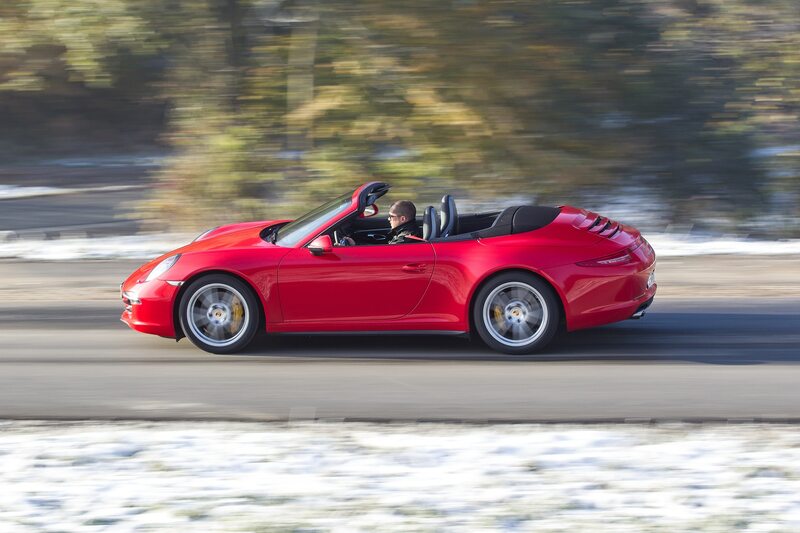 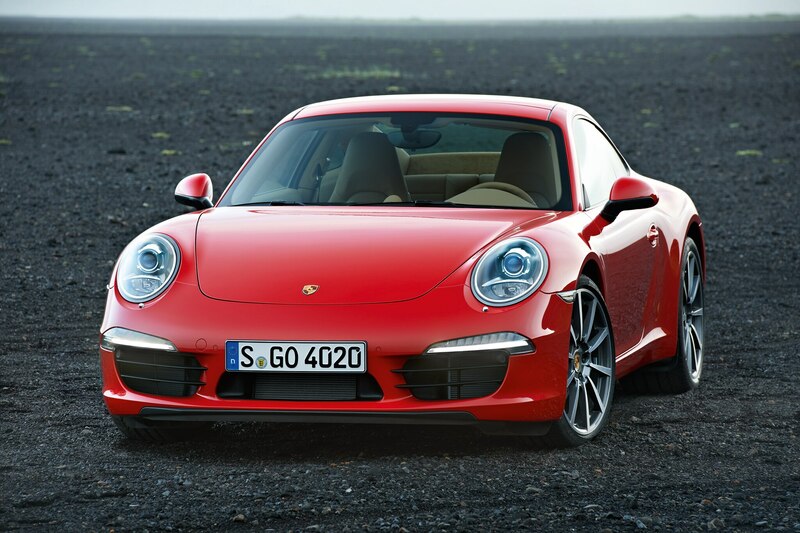 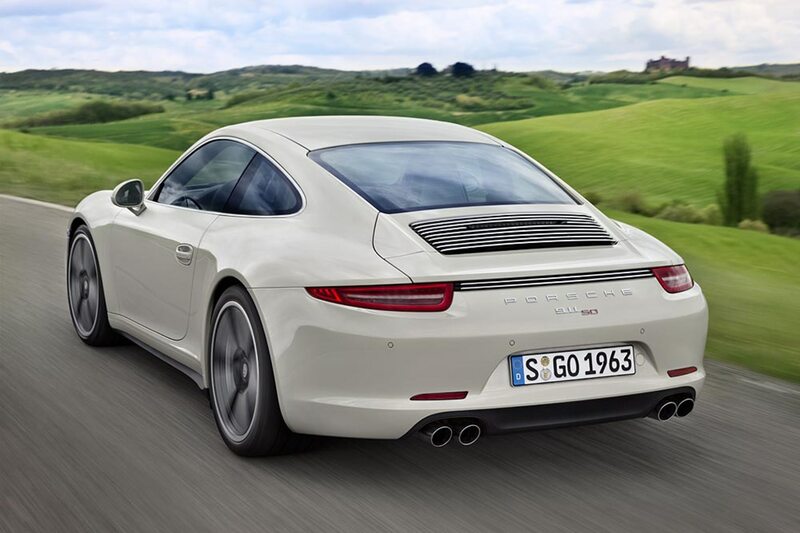 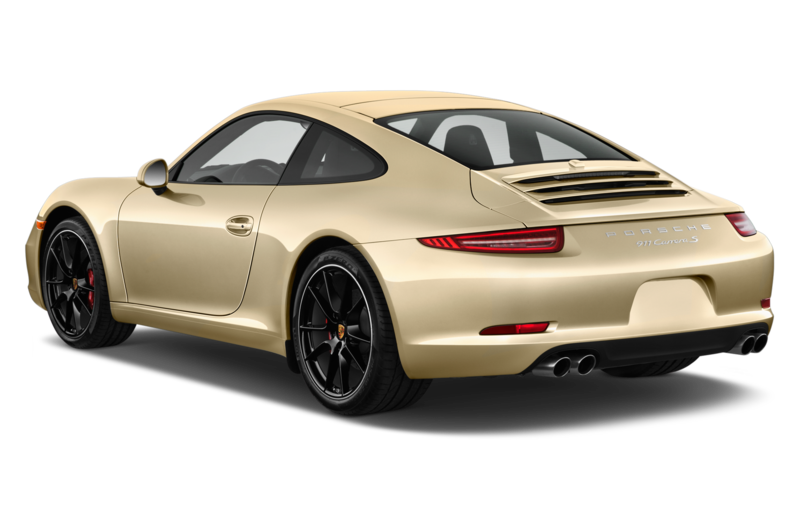 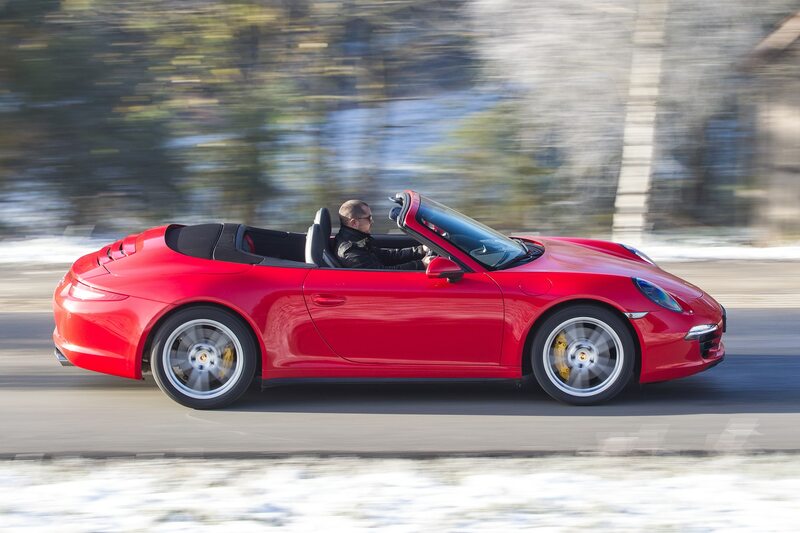 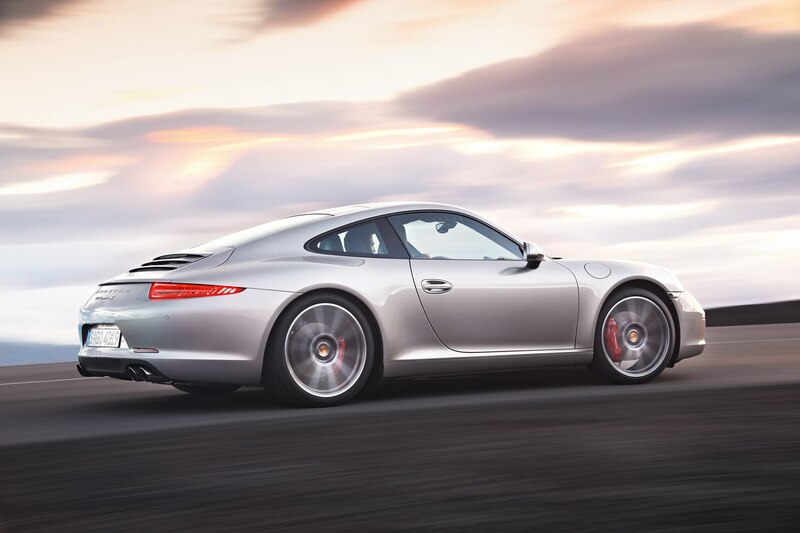 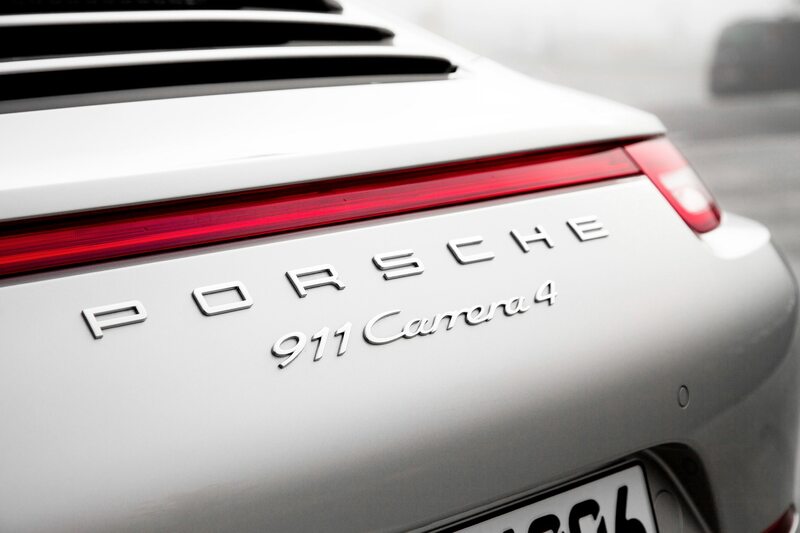 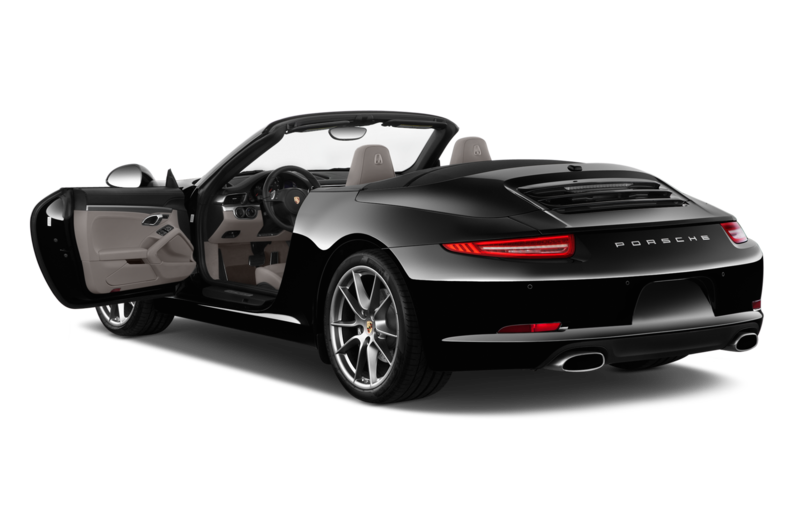 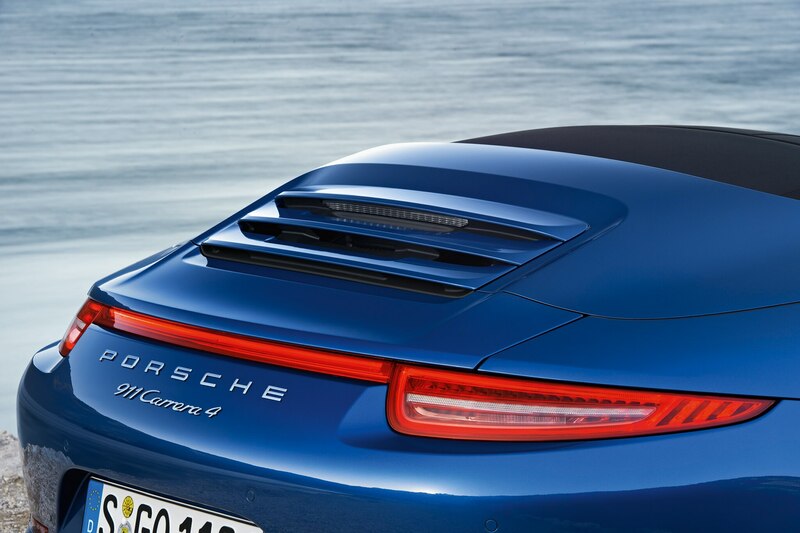 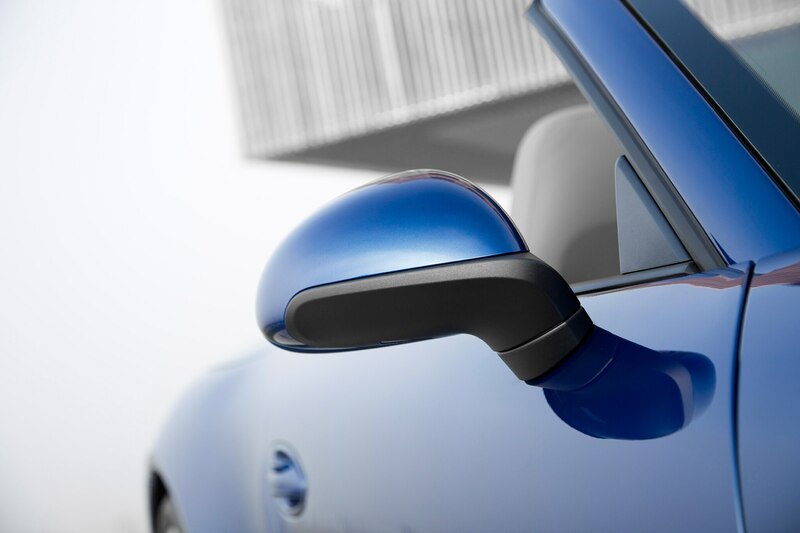 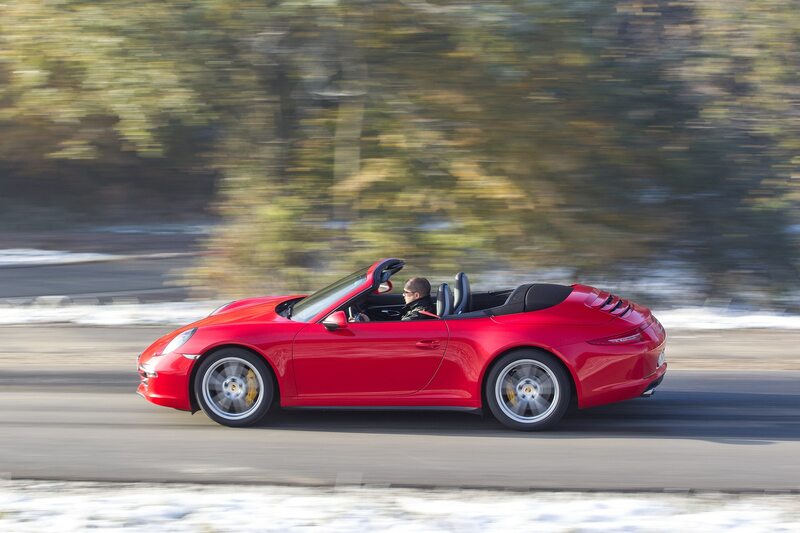 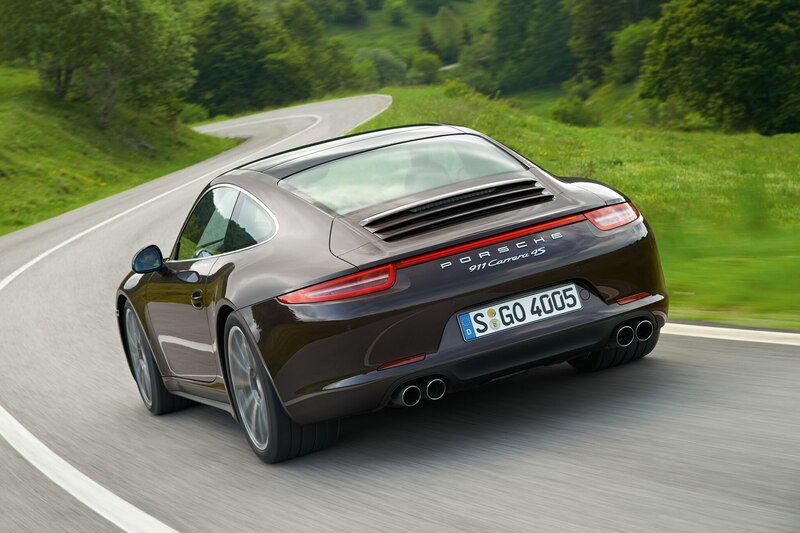 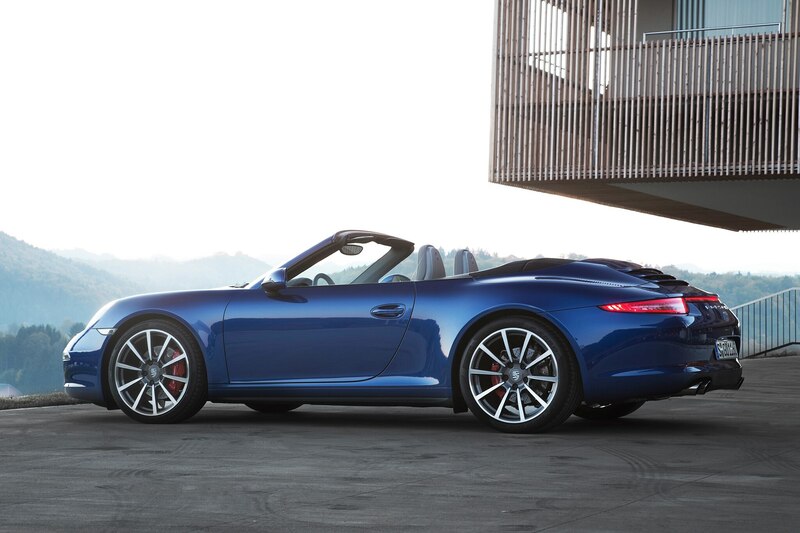 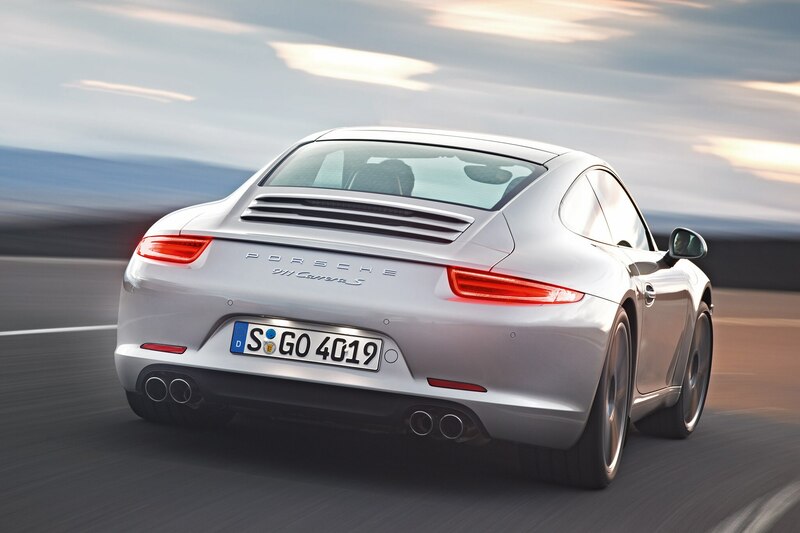 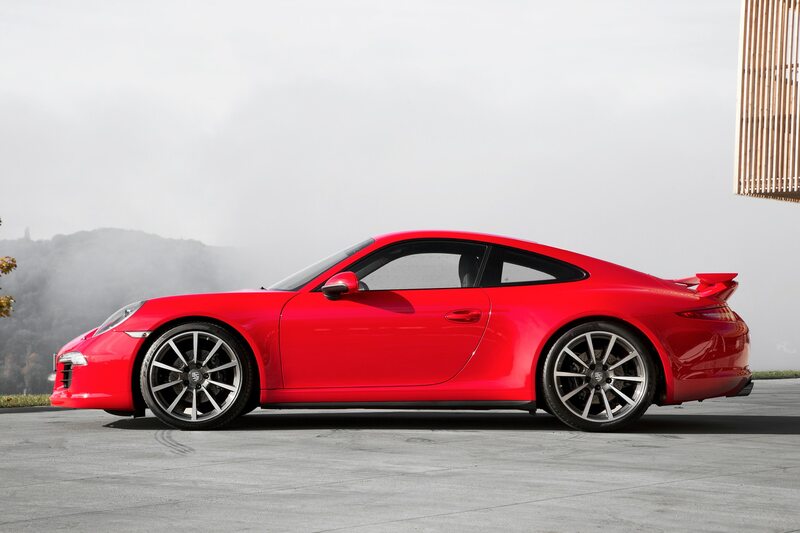 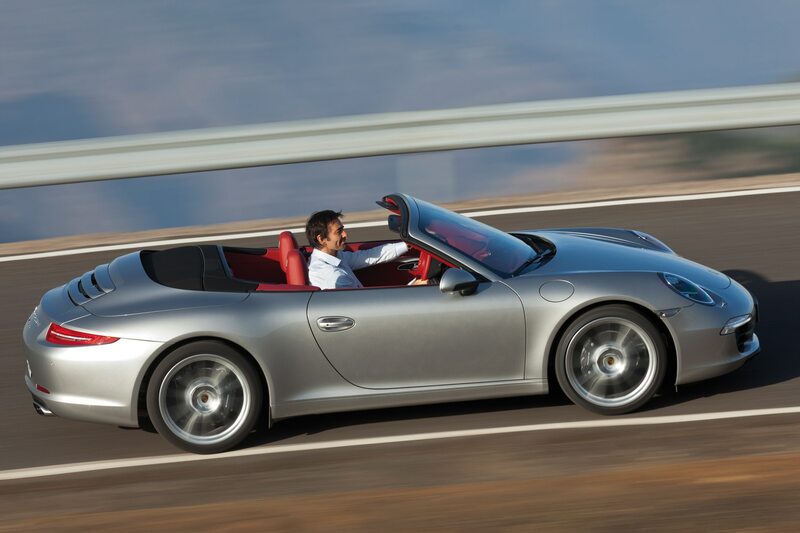 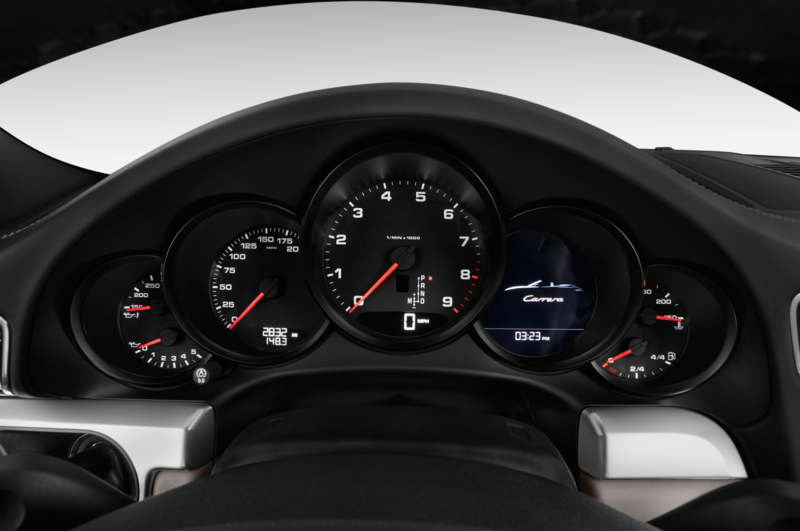 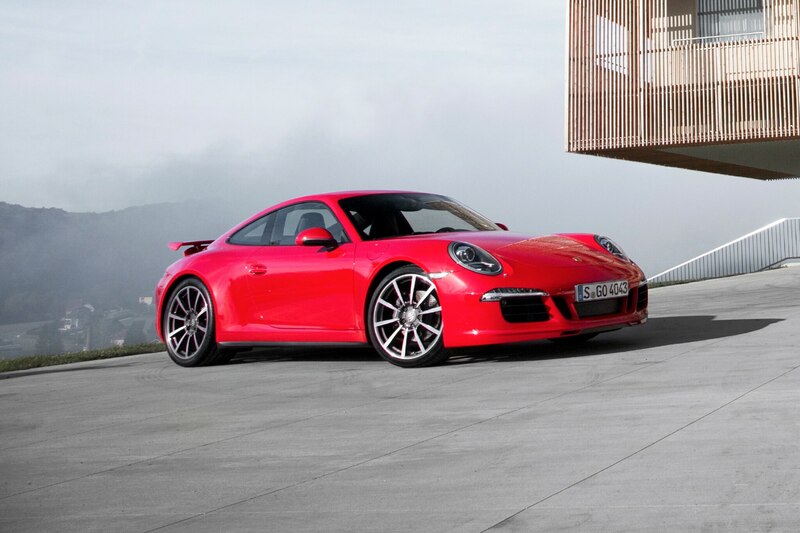 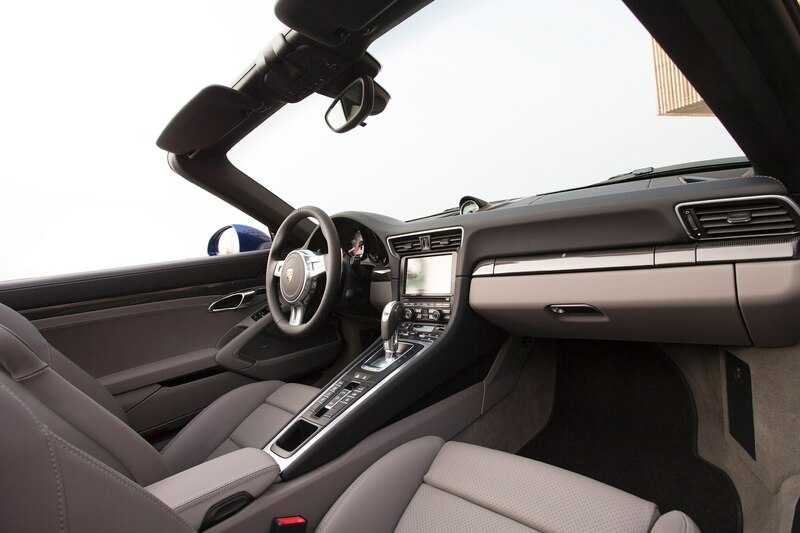 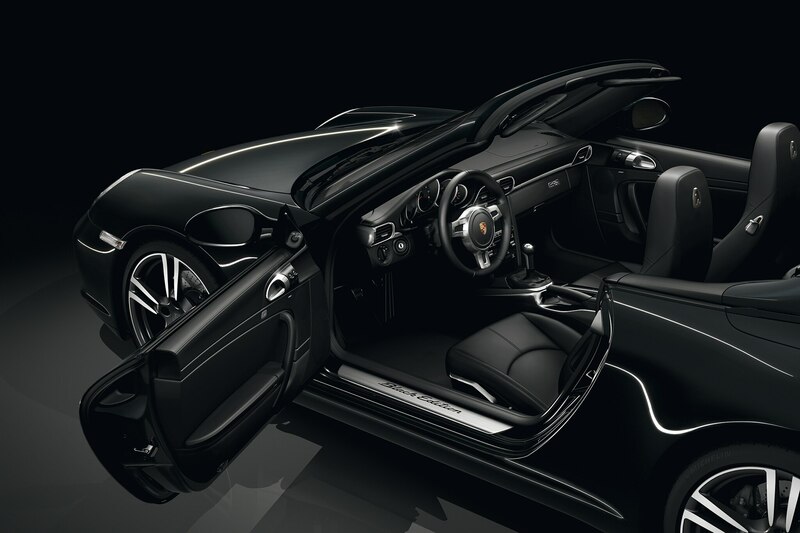 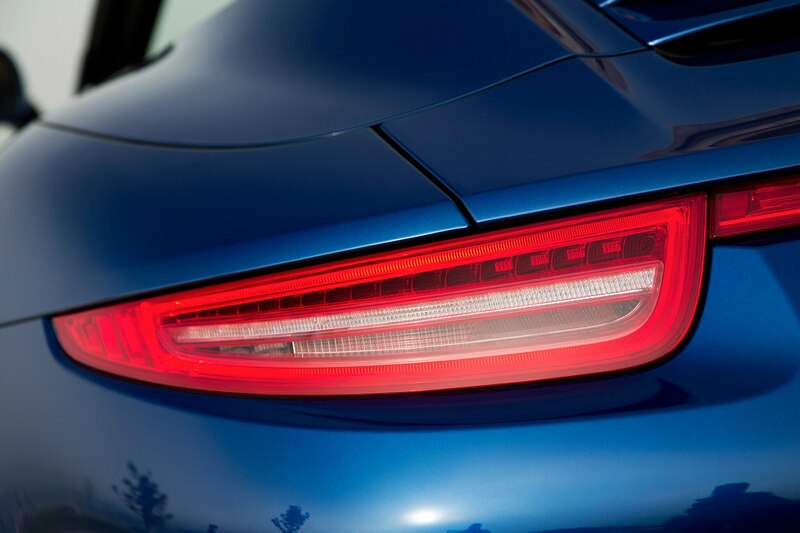 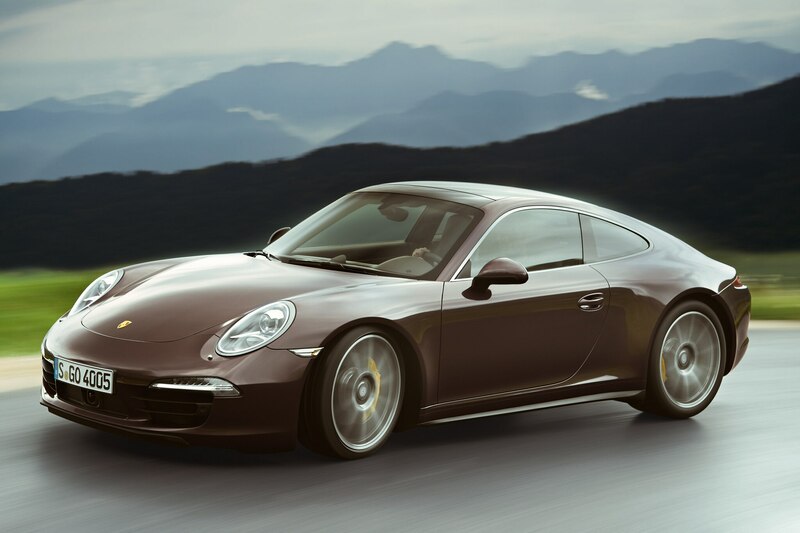 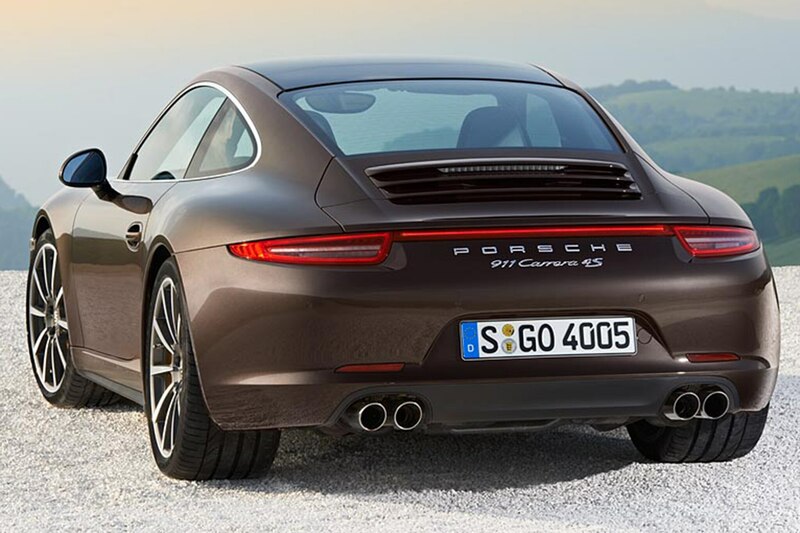 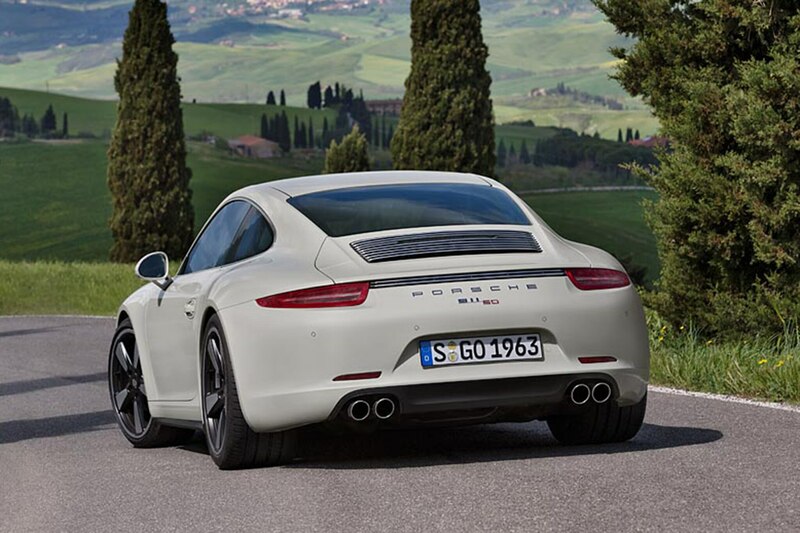 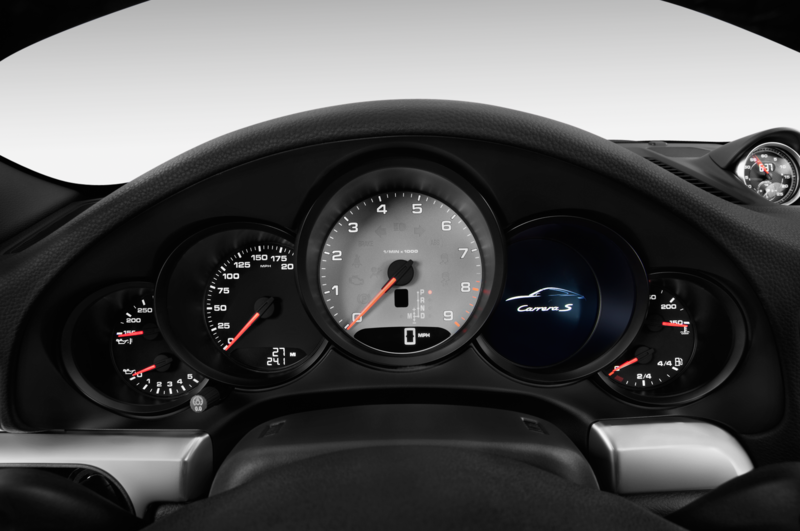 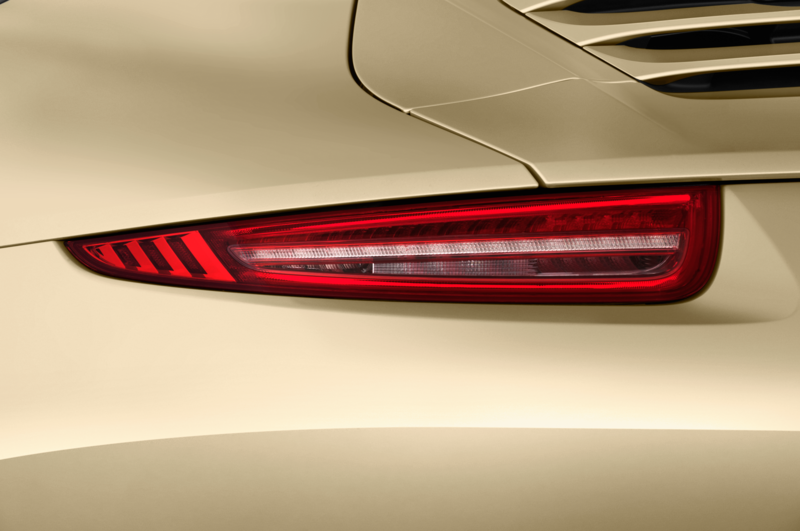 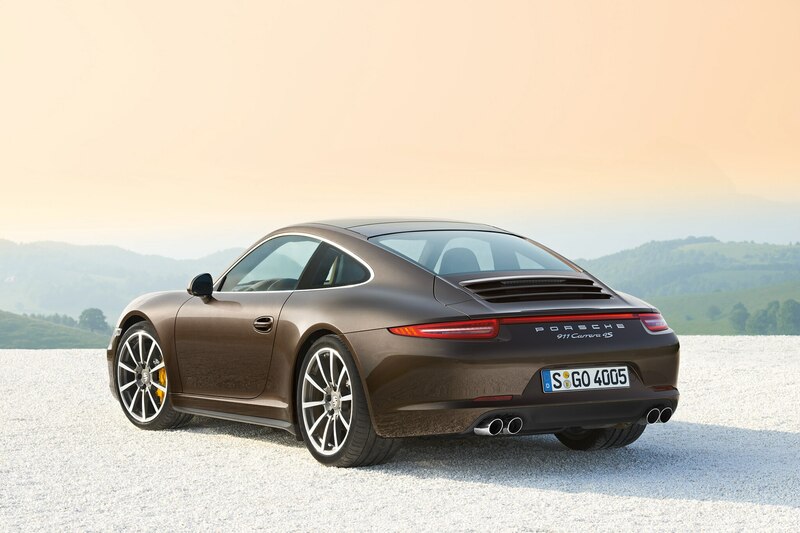 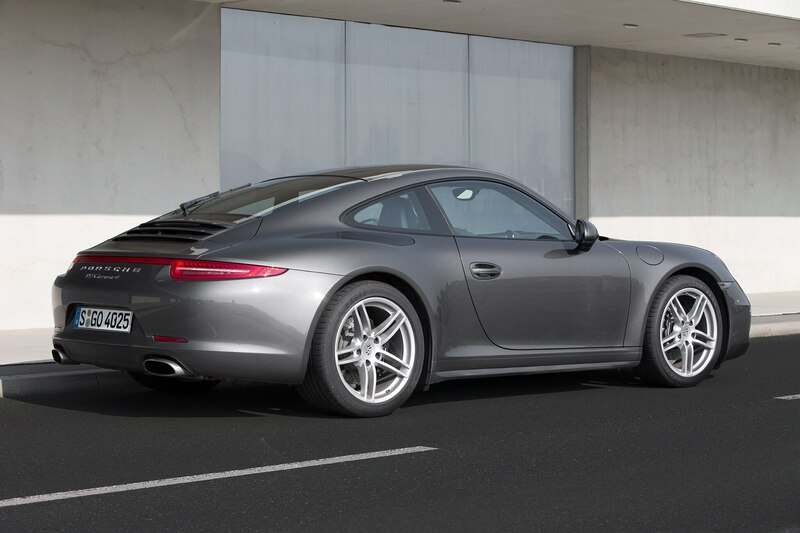 The 911 Carrera S has 50 more hp and 38 more lb-ft of torque than the 911 Carrera. 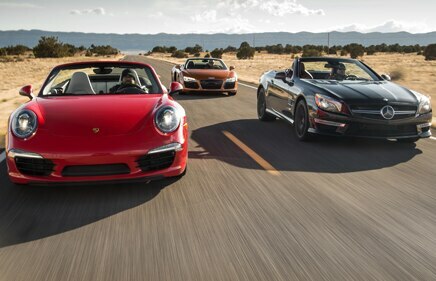 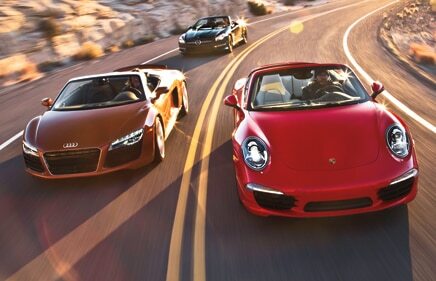 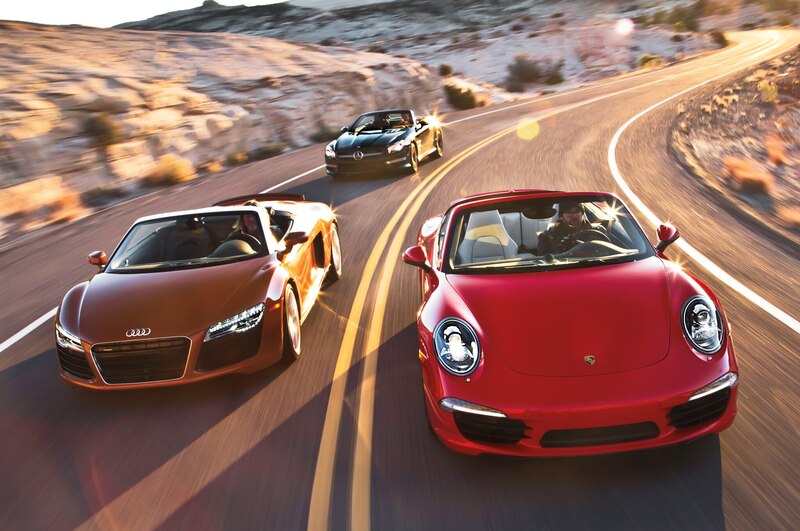 911 C4S takes on Corvette, Ferrari. 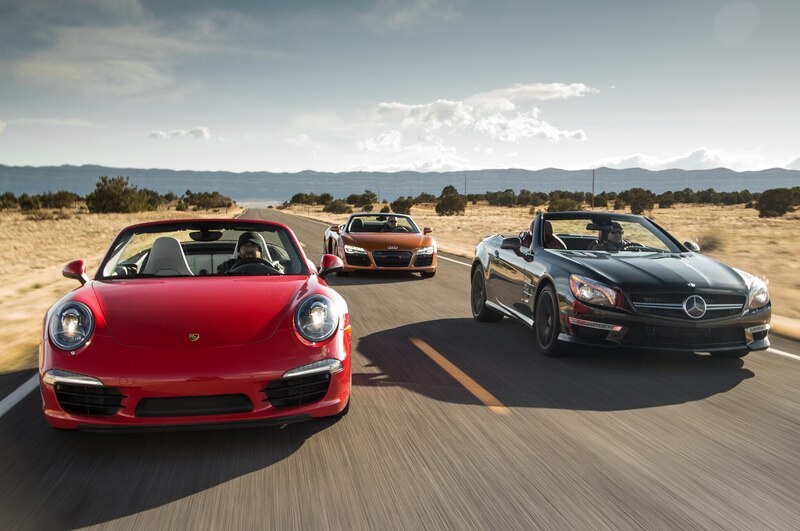 Our friends at Motor Trend have staged another epic drag race, and their most recent 12-car battle was the biggest yet with a combined 82 cylinders, 5171 hp, 4144 lb-ft of torque, and a total vehicle cost of $1,686,294.